In January 2019 my annual visit to Tibet was on the program. 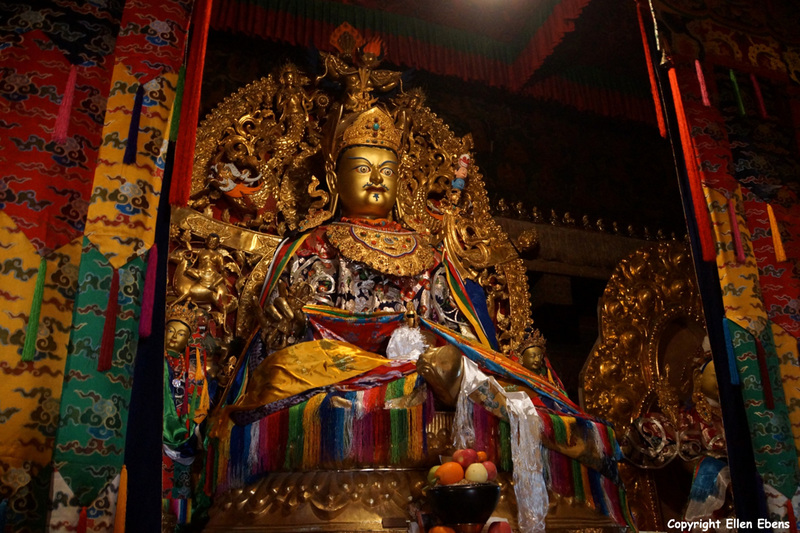 It would be my 13th visit to Tibet. 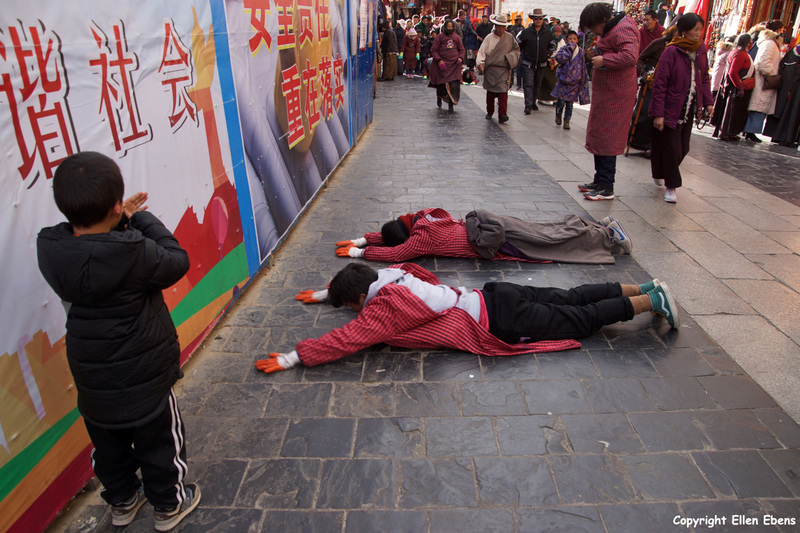 Every time I try to do or see some new things in Tibet. 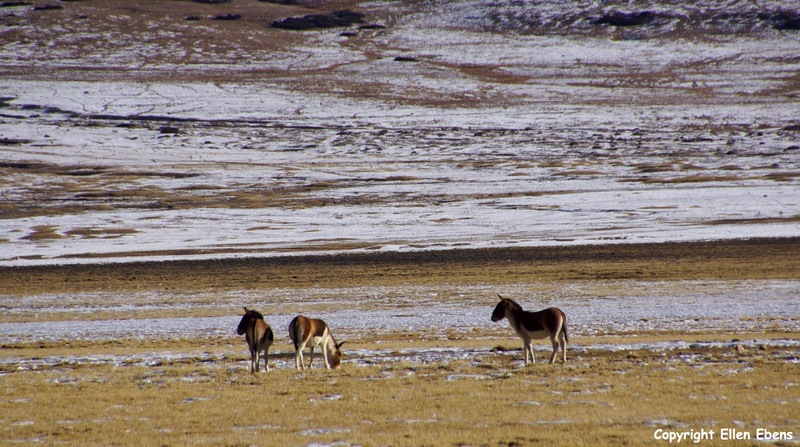 But every year it gets harder because I have already seen so much of Tibet. 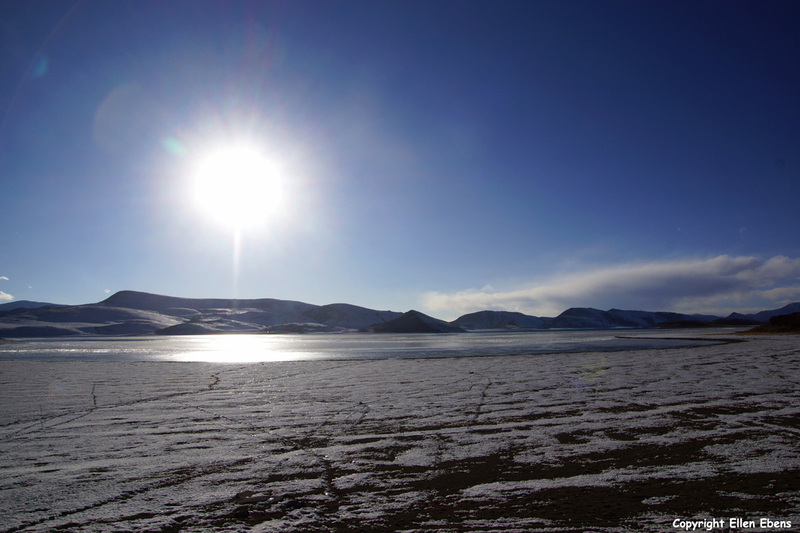 This time I wanted to have some easy days in Lhasa. But there was something on my bucket list I already wanted to do for some years. 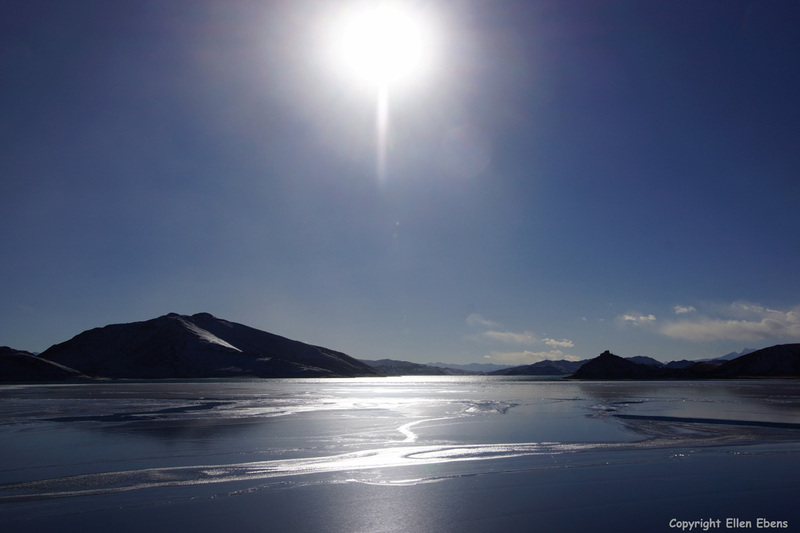 I think everybody who has been / goes traveling in Tibet will have seen / will see the Yamdrok Tso Lake on their way from Lhasa to Gyantse and Shigatse. 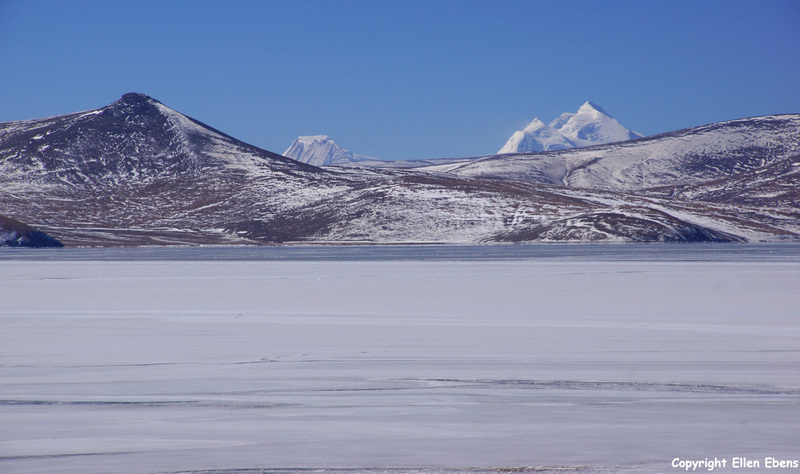 Who doesn’t know the pictures taken on the Kamba La pass of the Yamdrok Tso Lake with behind it the big ice mountain Nojin Kangsang? 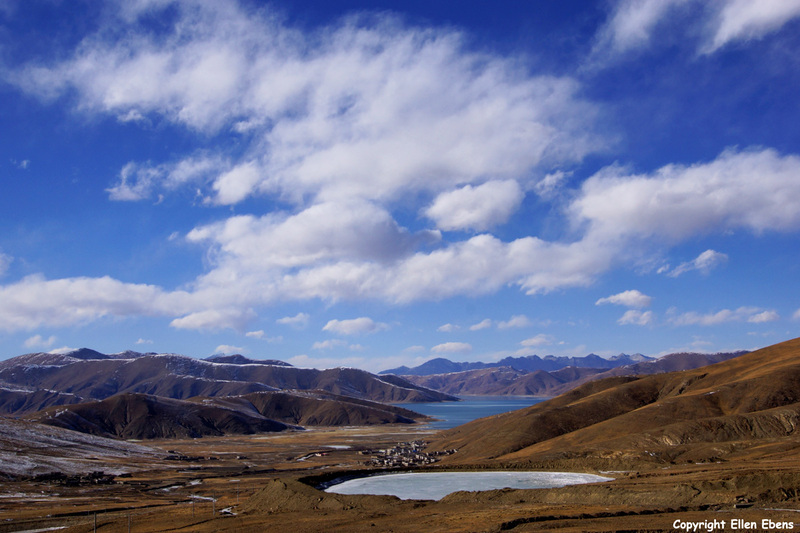 It’s one of the most well known pictures of Tibet. And of course I have also seen that many times. 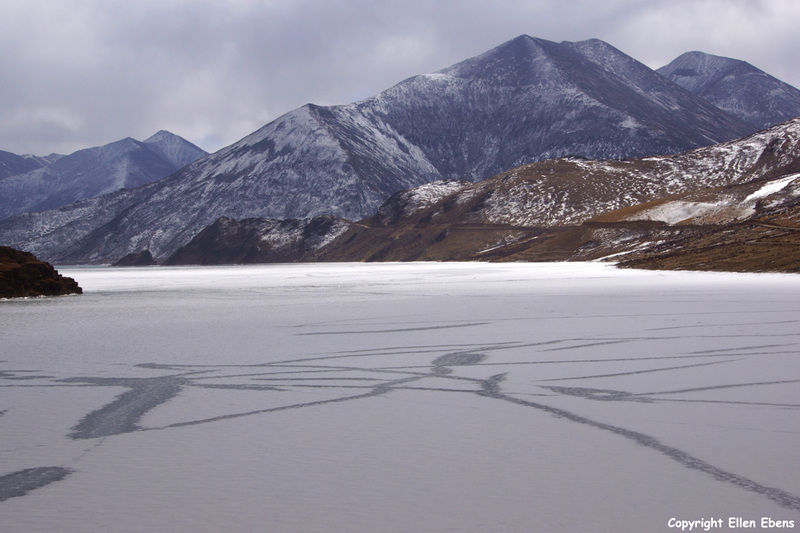 But doing a kora (driving around) around Yamdrok Tso Lake, that was already a long time on my bucket list and now it would become reality. And it was so great! So many beautiful landscapes and views. 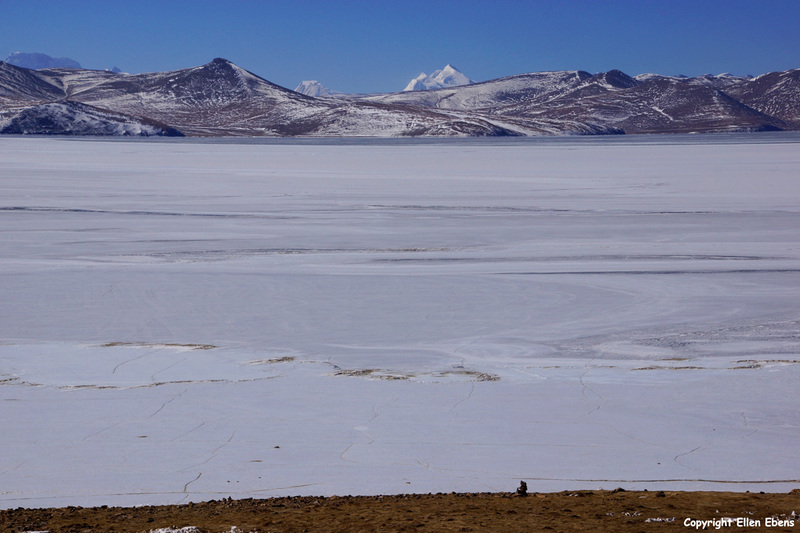 Read this blog to find out more about my travel to Tibet in January 2019 and this kora around Yamdrok Tso Lake. 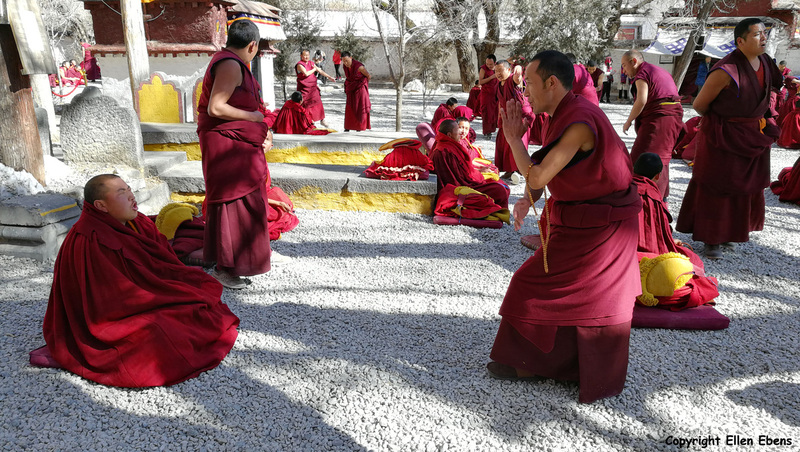 New for me were also some monasteries I visited during this trip: Gongkar Chöde Monastery, Ralung Monastery and two some smaller monasteries at the city of Tsedang, the Ganden Chökhorling Monastery and Nedong Monastery. 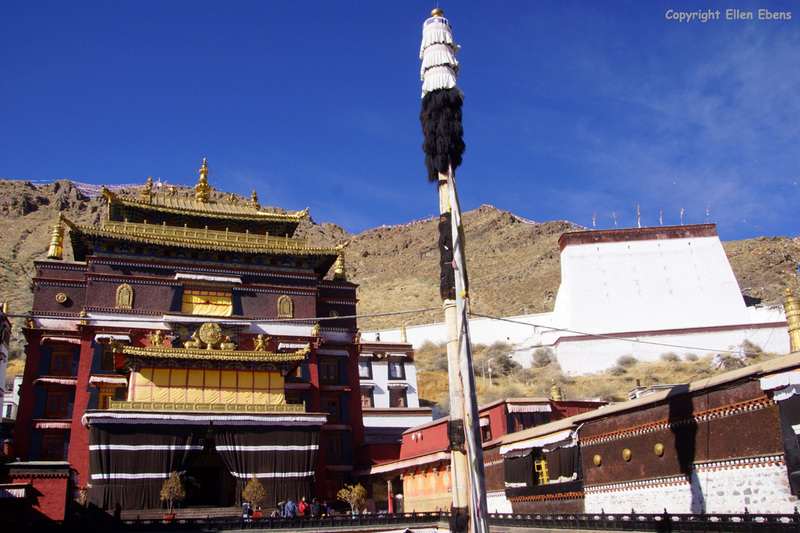 And I visited Garu Nunnery in the mountains behind Lhasa. 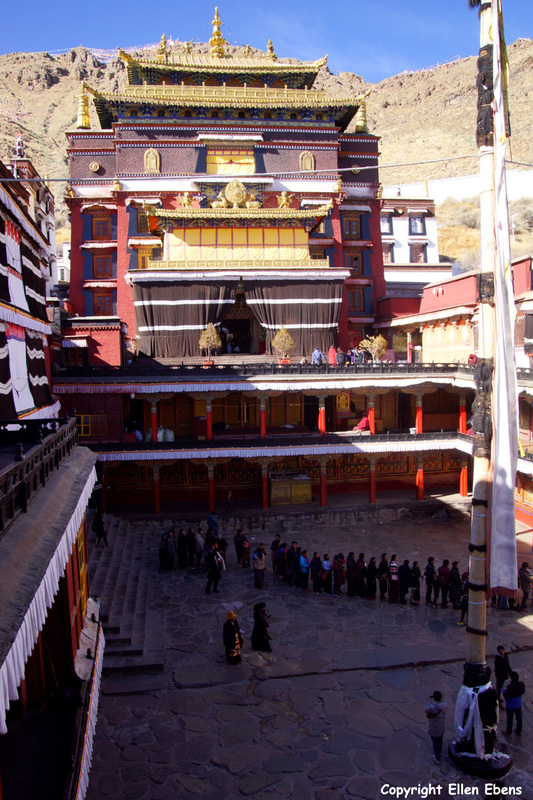 After flying from Holland to Chengdu and buying a Chinese Sim card there, I flew the next day very early to Lhasa. 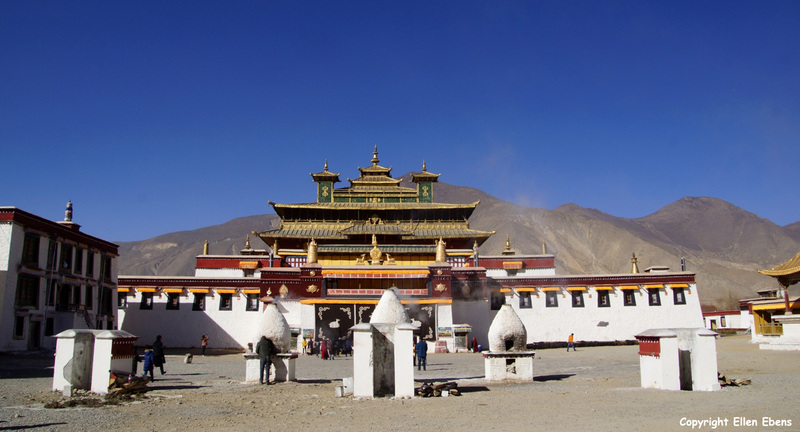 In fact my flight to Lhasa left a half hour before schedule. 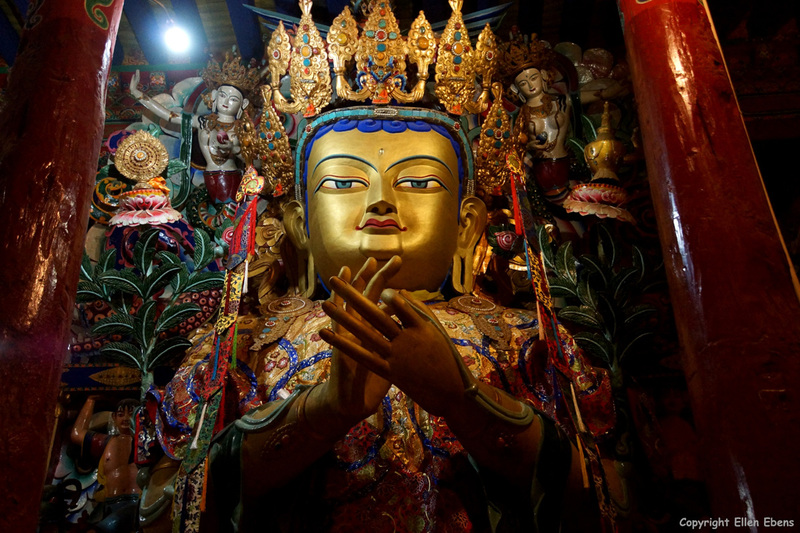 So I already landed at Gongkar Lhasa Airport at 9.00 AM. There I was greeted by my guide and driver. 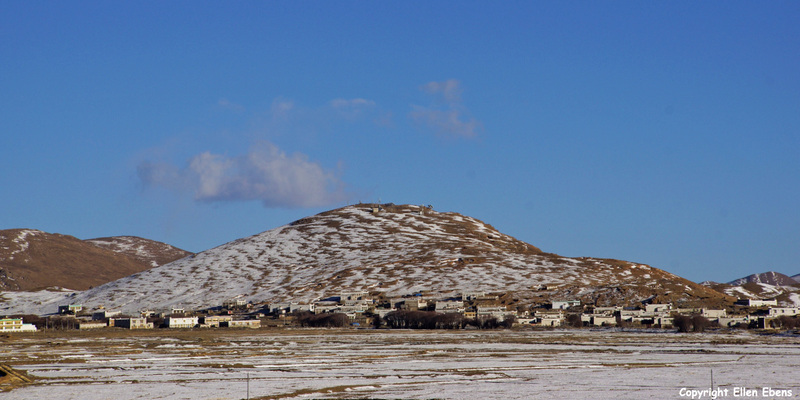 After a nice noodle soup with sweet tea at a local restaurant at the village at the airport, it went to Lhasa. 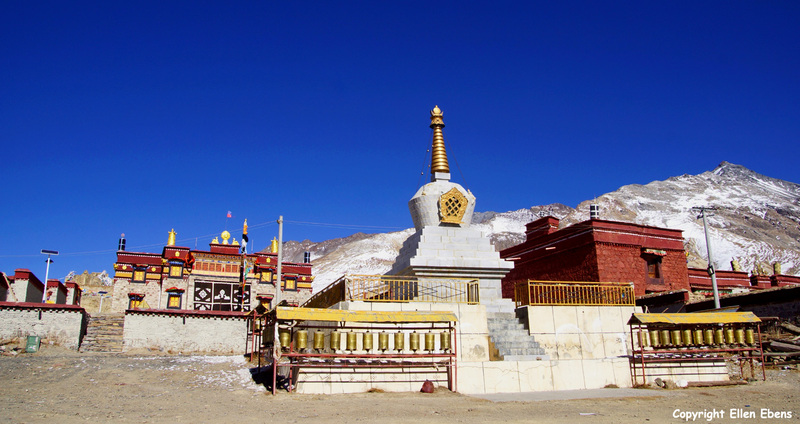 Like every trip to Tibet I started with some days at Lhasa. 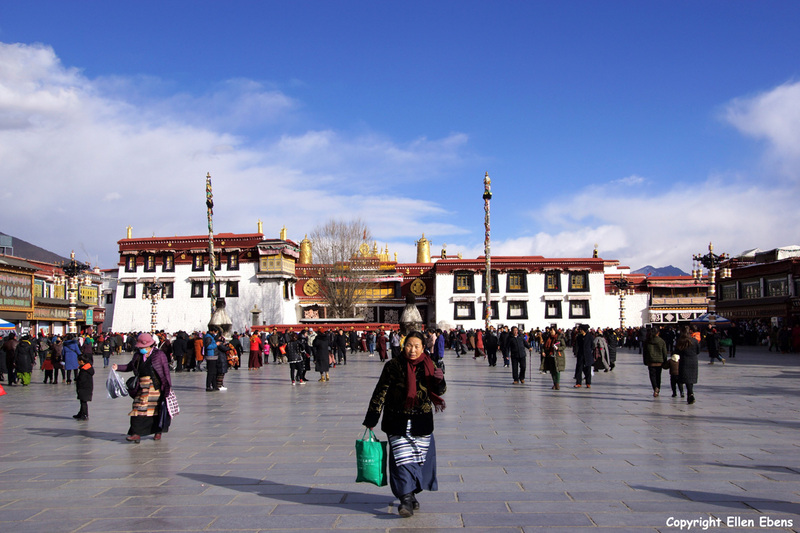 Firstly, it’s necessary to have some days in Lhasa before you start traveling around to let your body get used to the high altitude. 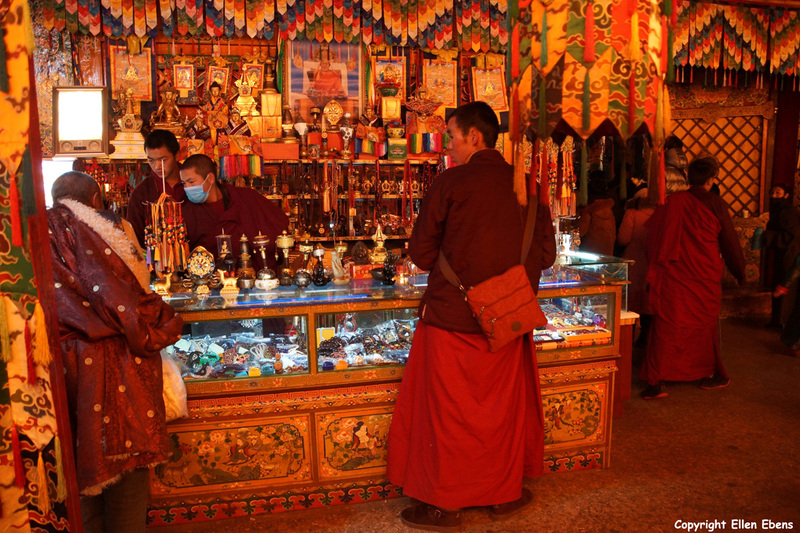 And secondly, there is so much to see in Lhasa. 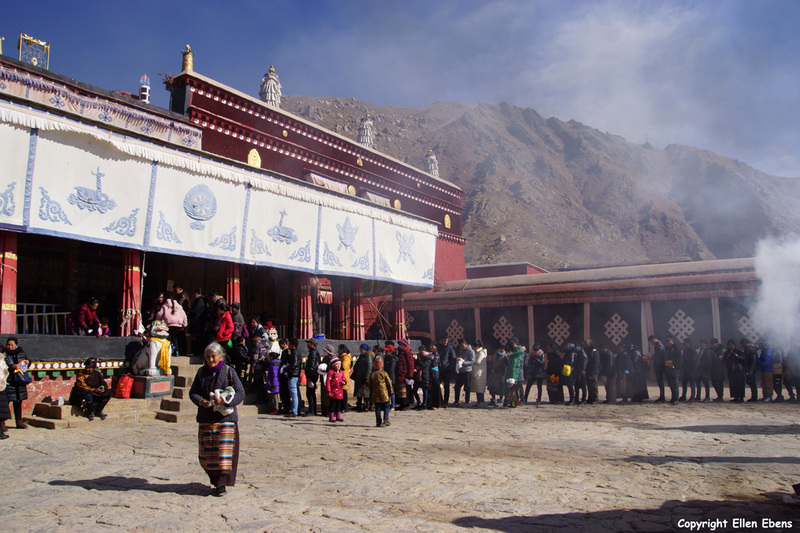 Especially in January when there are so many pilgrims from far away corners of Tibet (also from Amdo and Kham) visiting the holy places. 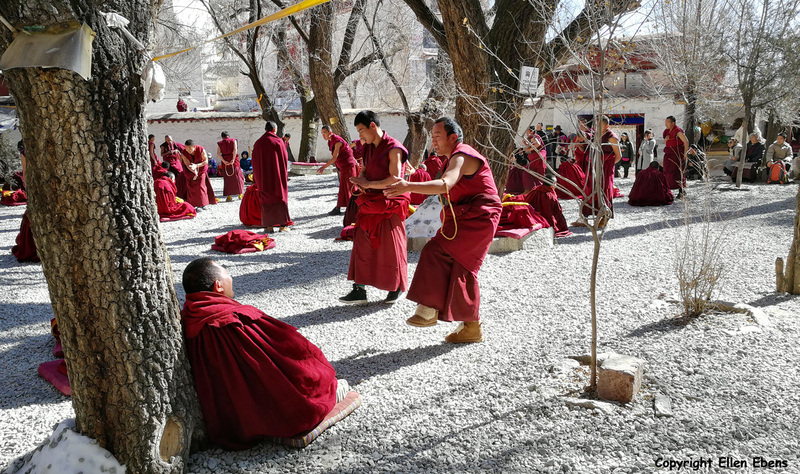 While everything is frozen, the nomads and farmers have time for traveling and go to Lhasa and other places in Tibet in anticipation to the Tibetan New Year (in 2019 starting on February 5th). 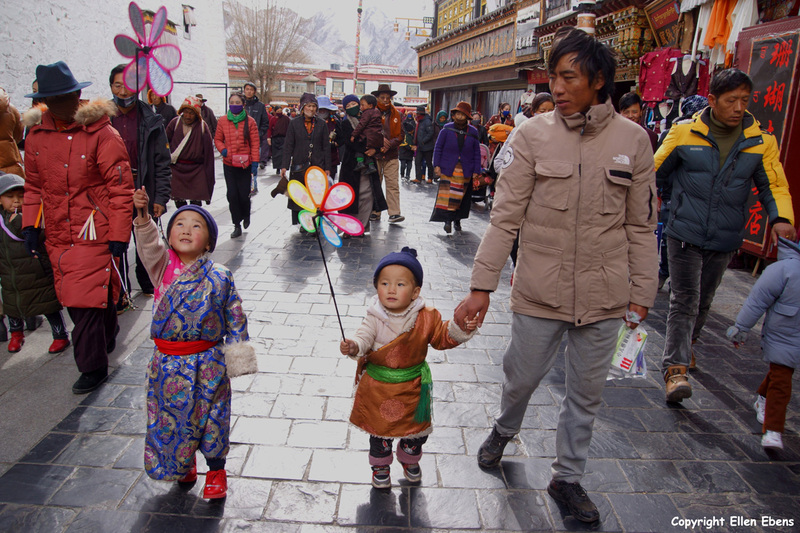 My favorite spot to be in Lhasa is the Jokhang Temple because the many pilgrims walk their koras around this temple. It’s also called walking the Barkhor. 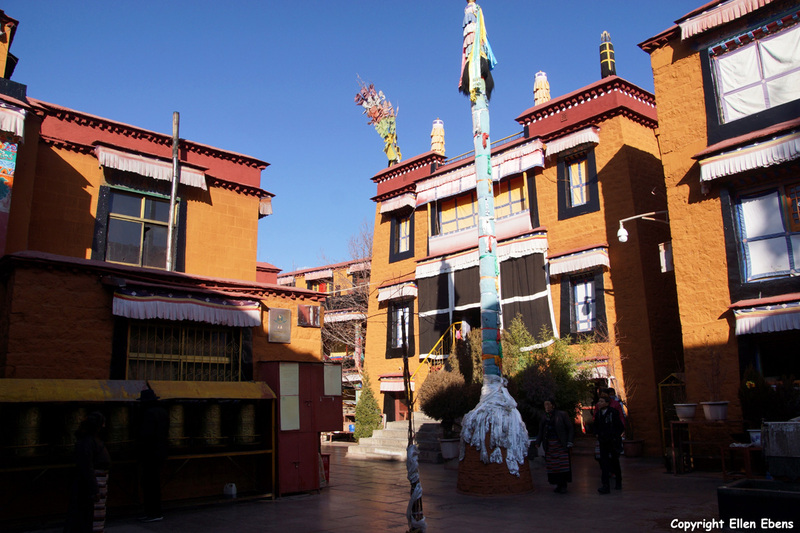 The Barkhor is the pedestrian street around the Jokhang Temple and some buildings behind it. The walk is about one kilometer long. I enjoy walking there with the pilgrims so much. And the advantage of January is, that there are almost no (foreign) tourists. So you really walk there with the many pilgrims. 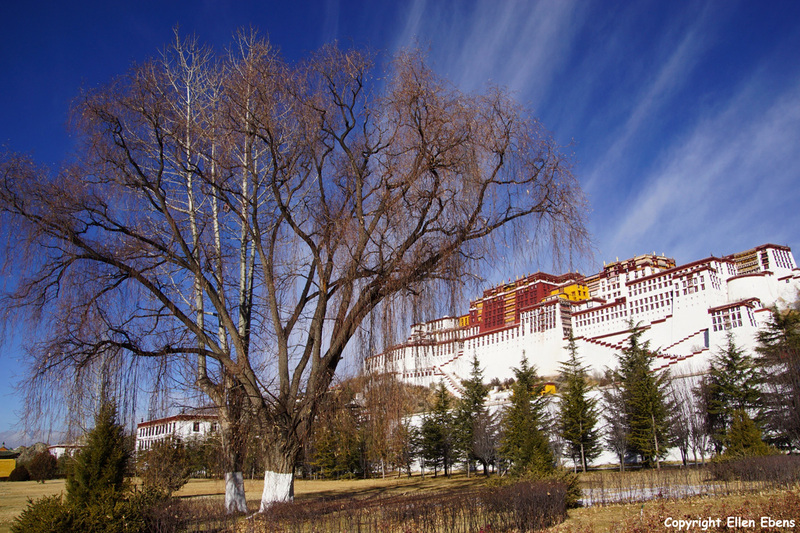 My stay in Lhasa was divided in before my round trip and after my round trip. 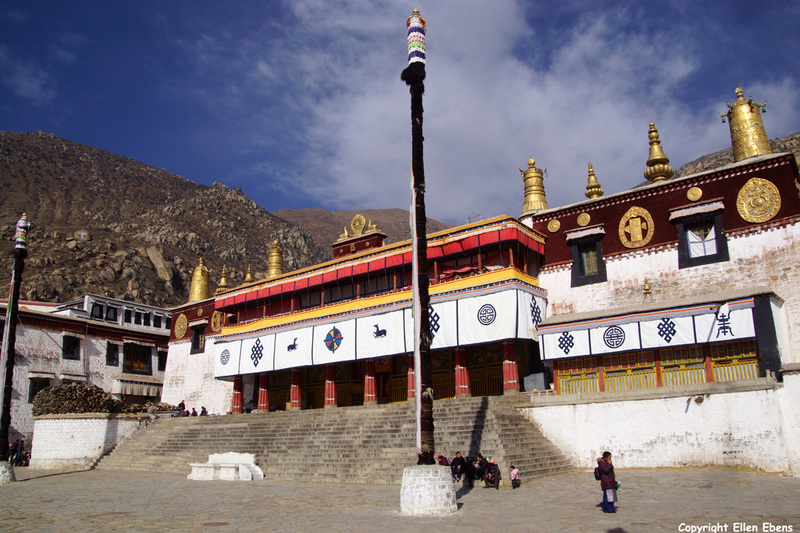 In the first days I visited the well known sites like the monasteries Drepung and Netchung on the outskirts of Lhasa, the Jokhang Temple, the Potala Palace and Norbulingka Summer Palace. 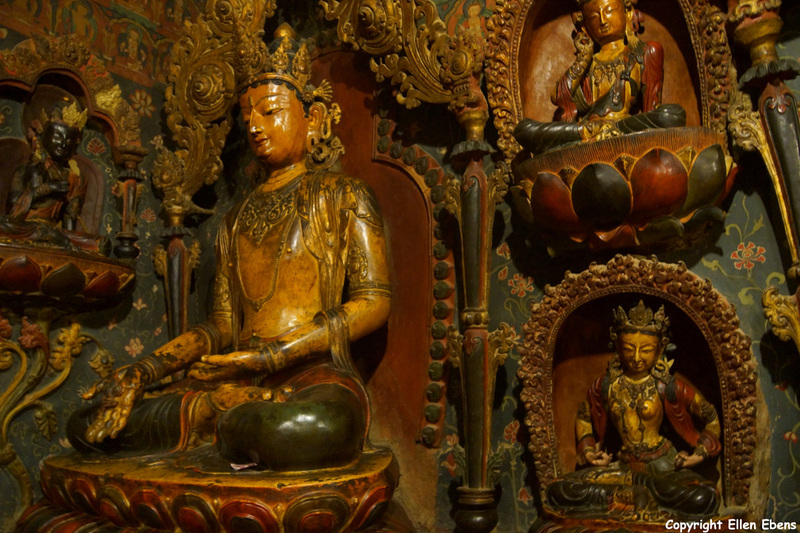 But I also visited a kind of private museum/ art studio with a lot of thankas, statues, stones and so on. The art there was of a more modern kind, but of course the base was the traditional religious art. Very nice to see. But sorry, no pictures were allowed. 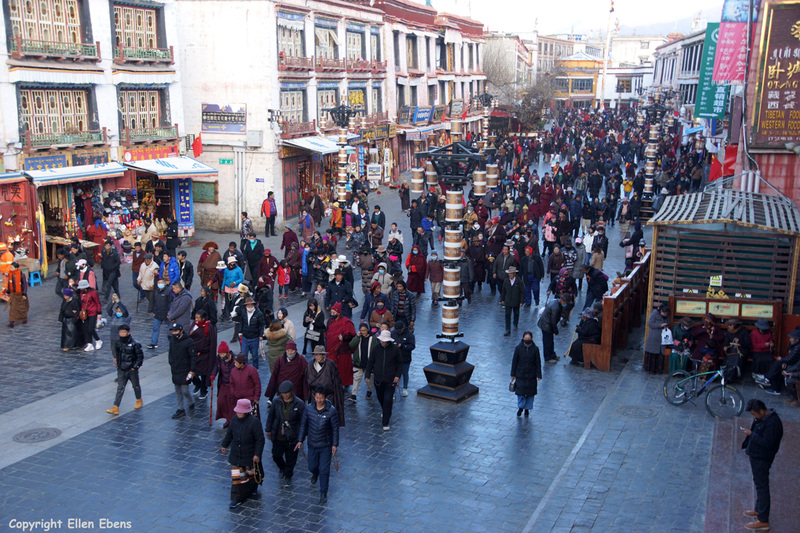 Lhasa was so crowded with pilgrims! 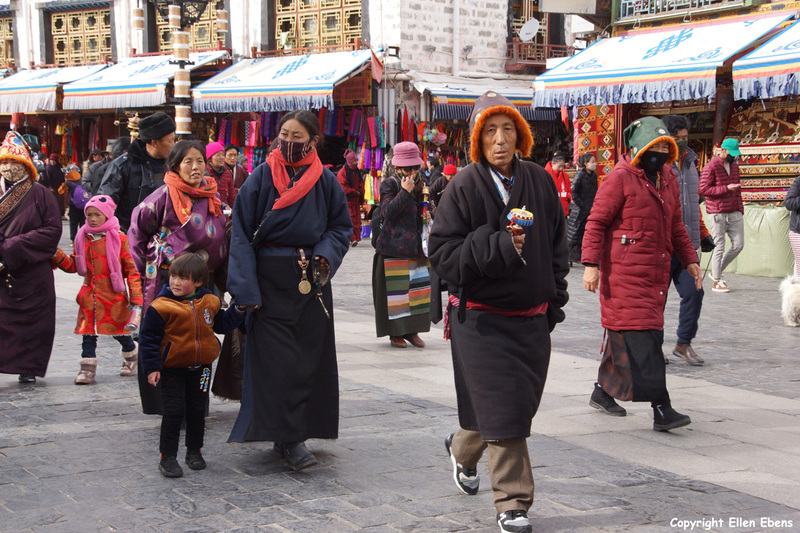 Every year in January I see more pilgrims in Lhasa. 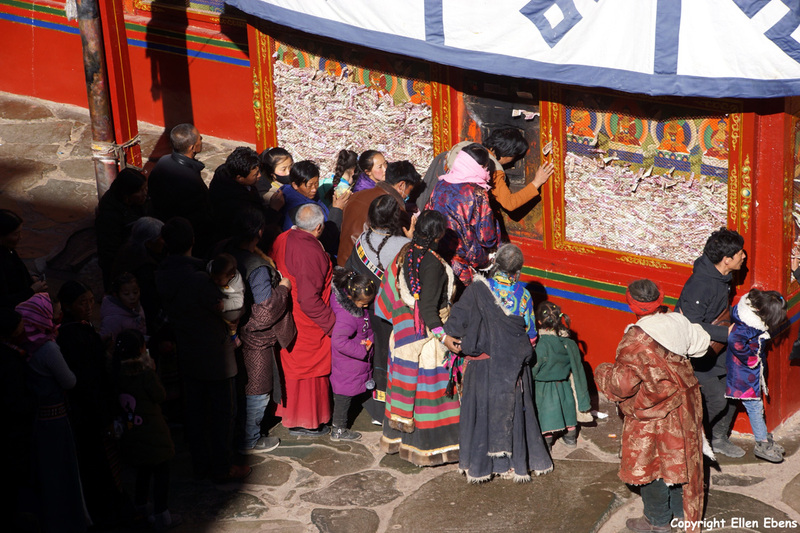 One explanation for this is probably that economically seen the life Tibetan people is getting better every year and many Tibetans have cars nowadays. So they can go traveling more easy. 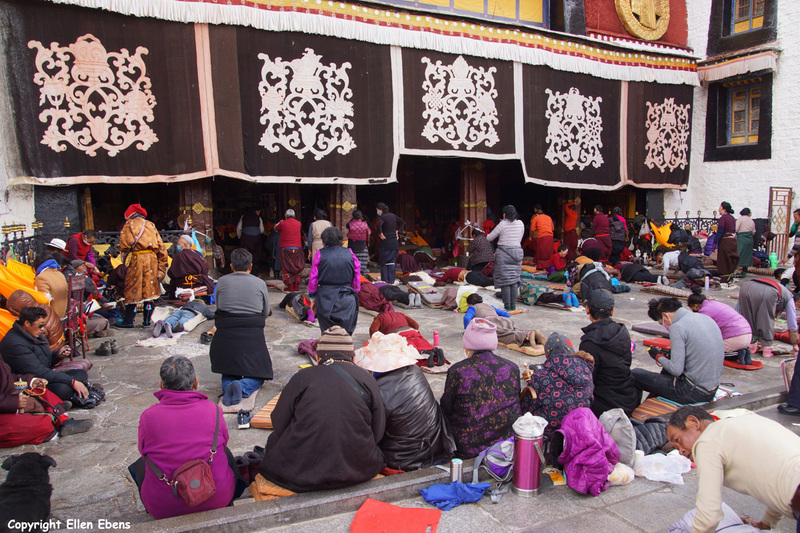 The Barkhor around the Jokhang Temple is crowded with people walking their koras from very early in the morning till late in the evening. 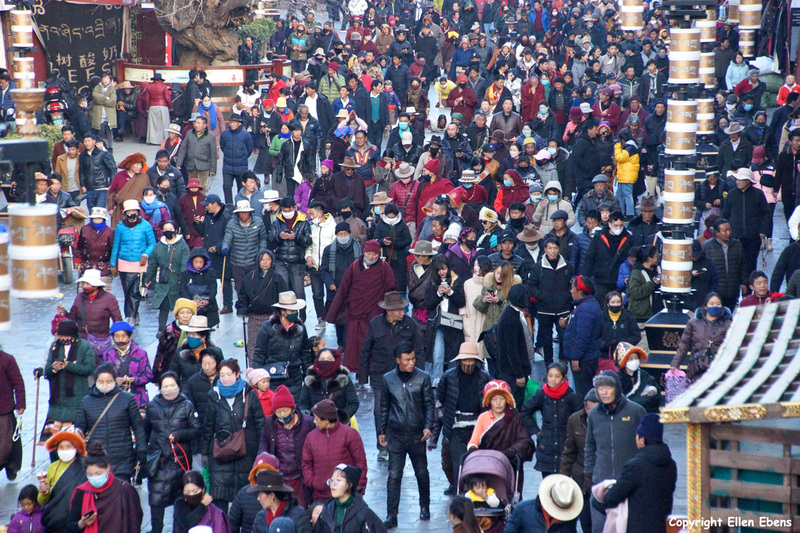 And every day there was a long line of pilgrims waiting to get into the Jokhang Temple. 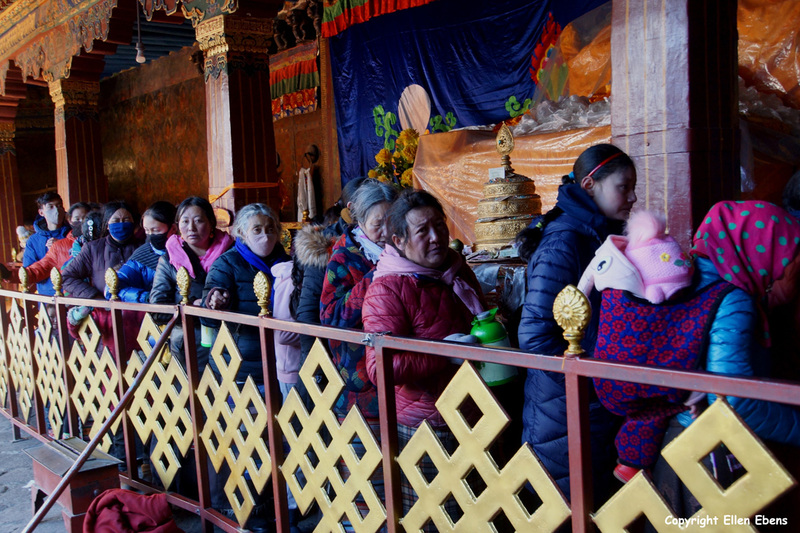 When I visited the Jokhang Temple it was so crowded inside that it was very difficult visiting the many little chapels inside the Jokhang. All the chapels on the first and the second floor were open and I managed to get inside all of them. 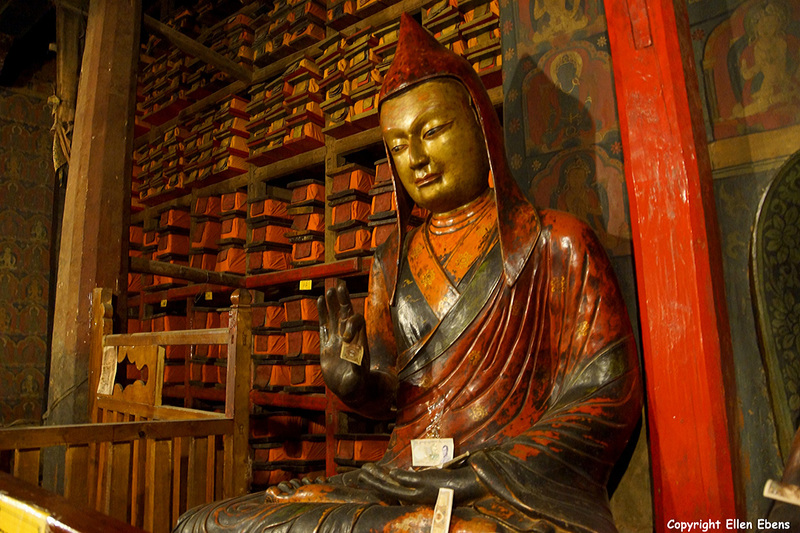 Including the chapel of the Jowo Sakyamuni. 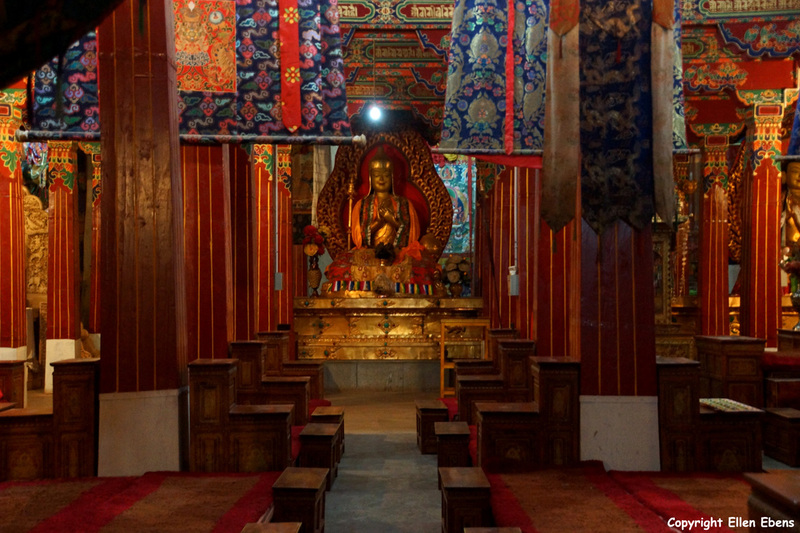 This chapel houses the statue of Sakyamuni Buddha at the age of 12 years old. 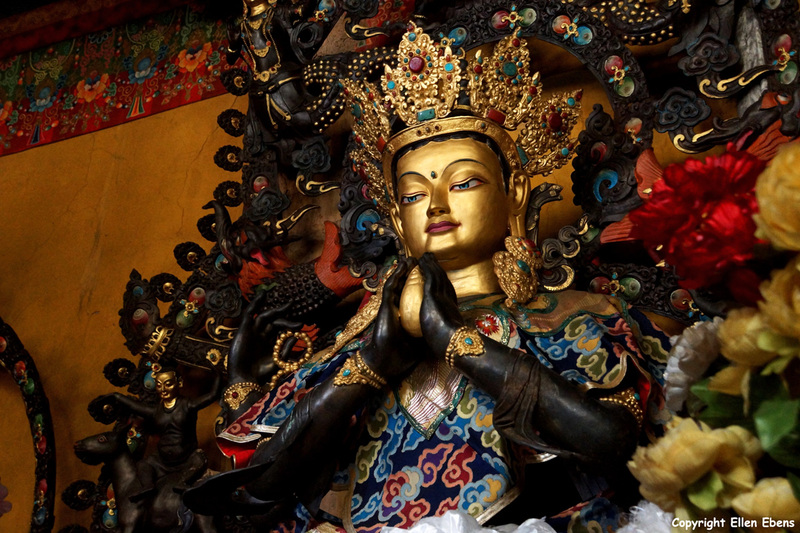 This statue was brought to Tibet by the Chinese princess Wencheng when she married Tibetan king Songtsen Gampo in the year 641. 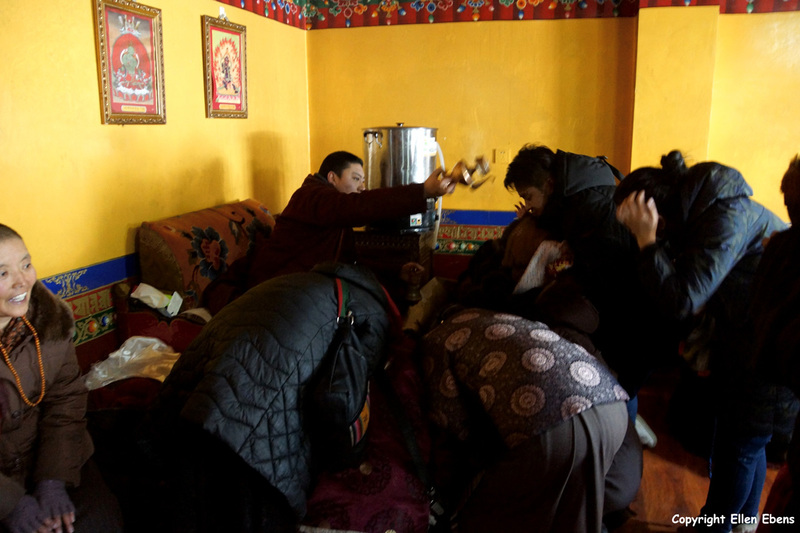 In the chapel of the Jowo Sakyamuni I received, like the other pilgrims, the blessing of a monk. 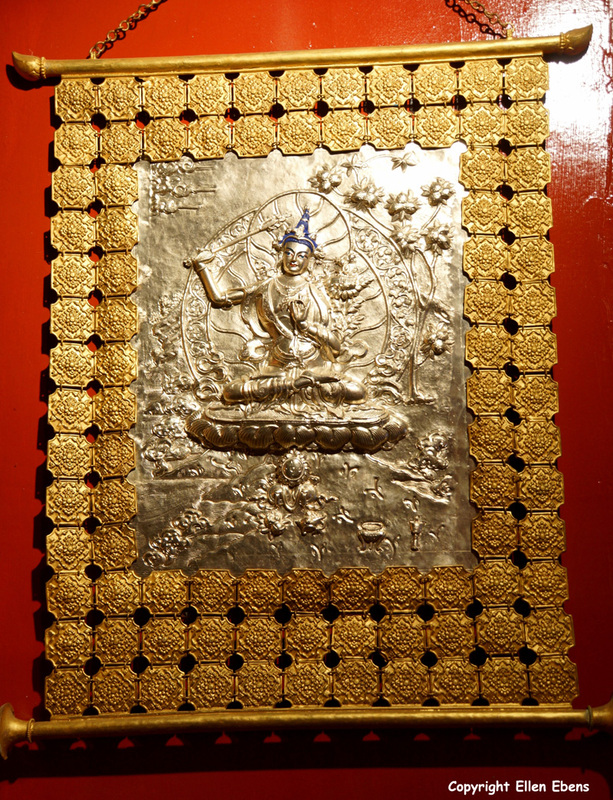 Also special was that during my rounds around the Jokhang Temple I met a Tibetan artist and teacher for Tibetan religious art. 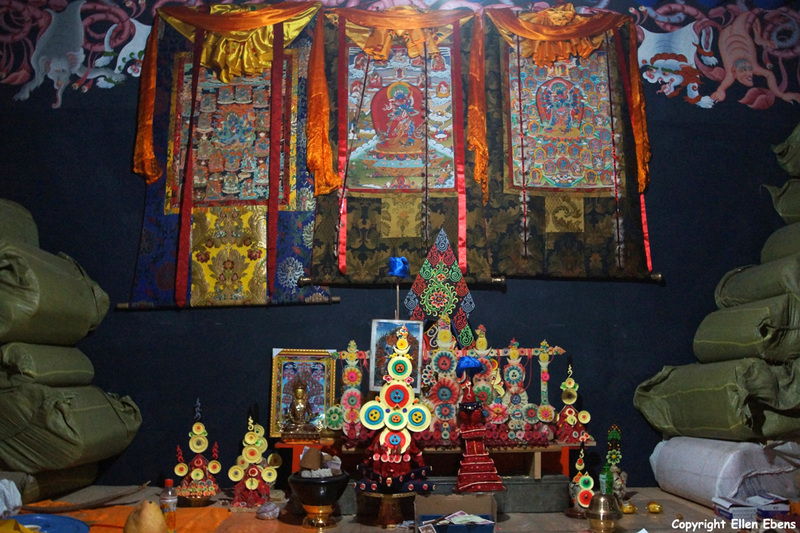 He and his students make thangkas (not only painted but also of bronze) and bronze statues of the Buddhas and other Tibetan deities. And they help renovating statues and monasteries. 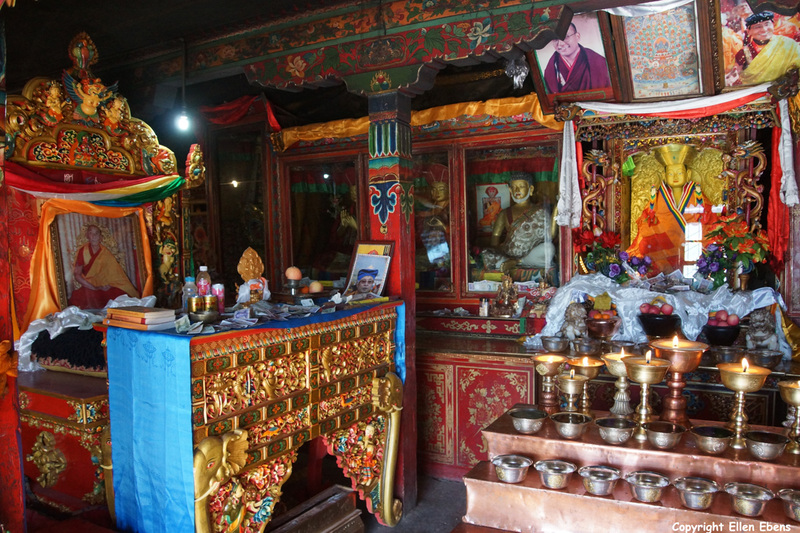 He took me along to some not well known small monasteries around the Jokhang Temple and gave a lot of explanations. I met him a few days later again and at that time he took me to his workshop. Such a special encounter. 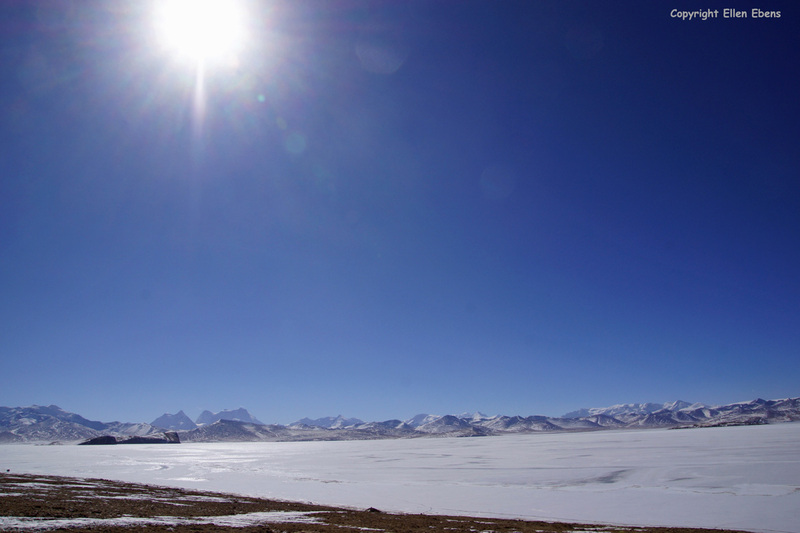 On the fifth day after arriving at Lhasa, I started my round trip. 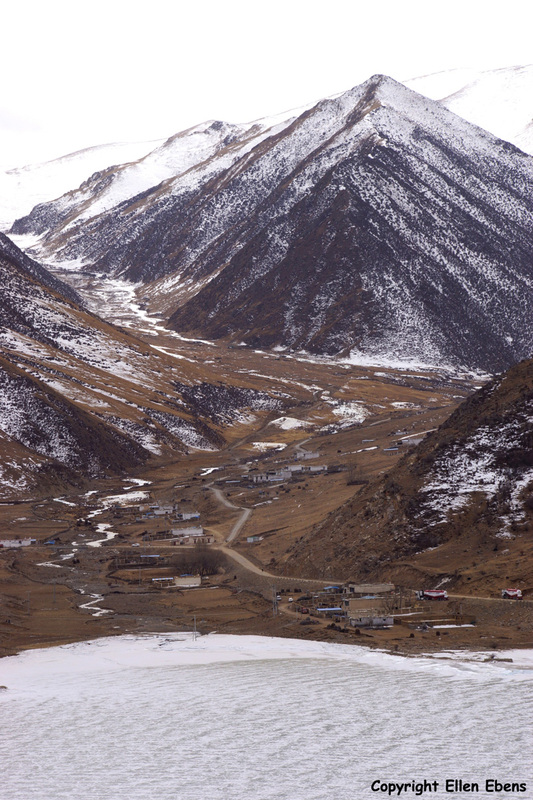 This round trip first took me to the Yarlung Tsangpo River valley. 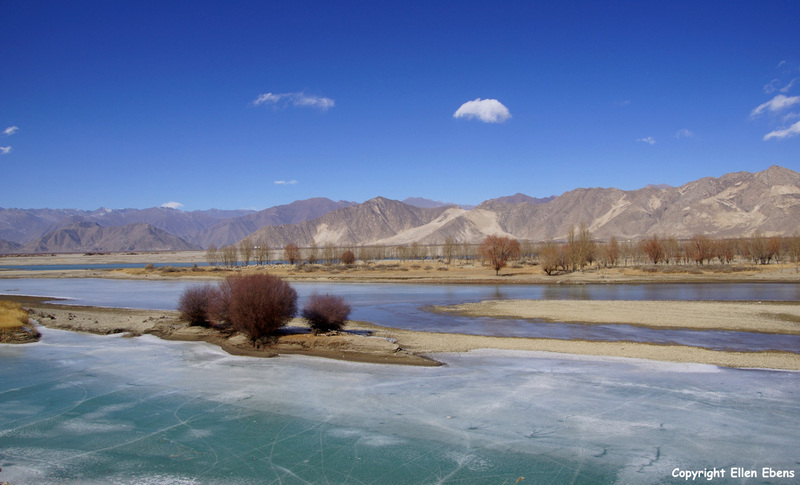 The Yarlung Tsangpo river becomes in India the well known Brahmaputra river. Our trip that day went to the city of Tsedang, where we visited the bureau of the PSB (public security bureau) because my guide had to get there another permit for my trip. After lunch we visited the Tandruk Temple, 7 km south of Tsedang. 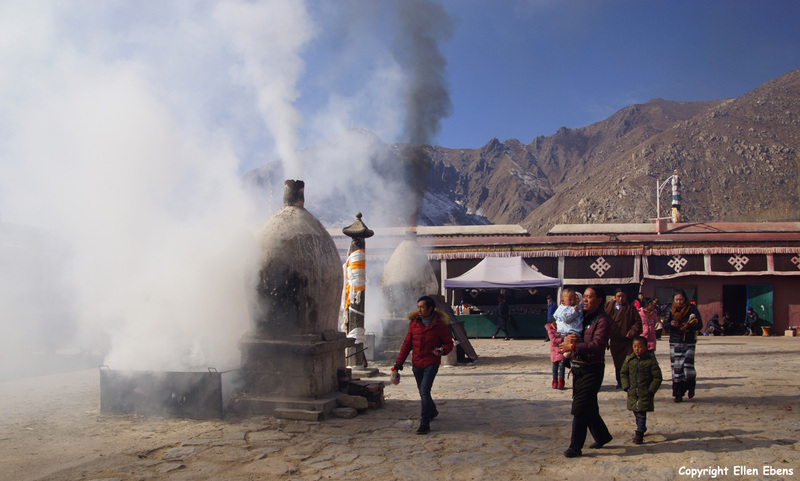 This temple dates back to the 7th century and is always nice to visit. 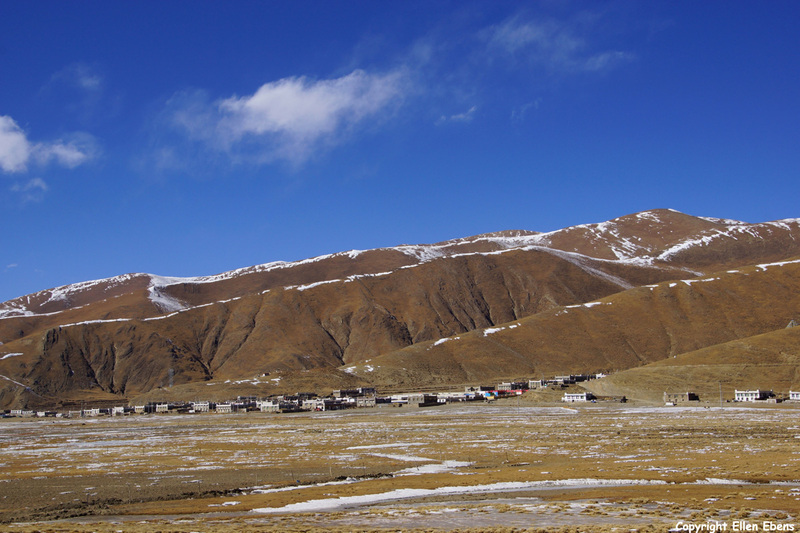 I remark that this region is historically very important for Tibet because Tibetan civilization started here. 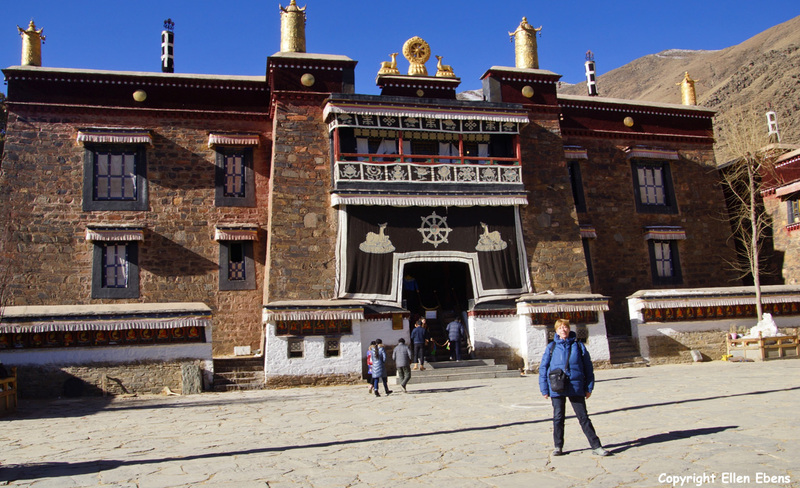 In Tsedang I visited another two smaller and lesser known monasteries: Ganden Chökhorling Monastery and Nedong Monastery. The first monastery I couldn’t visit inside because they were renovating. The second one was an old and historically interesting monastery. But it isn’t visited very often anymore because it’s a little bit away from the main road. 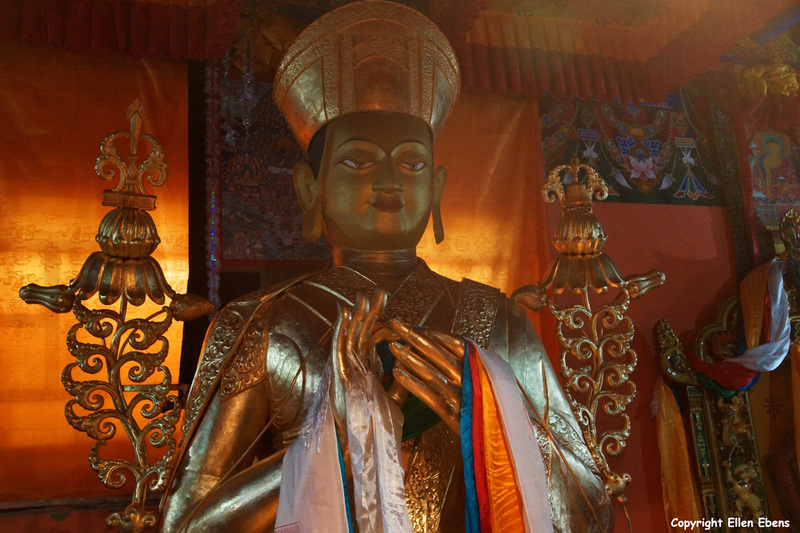 The next day it went to Samye. 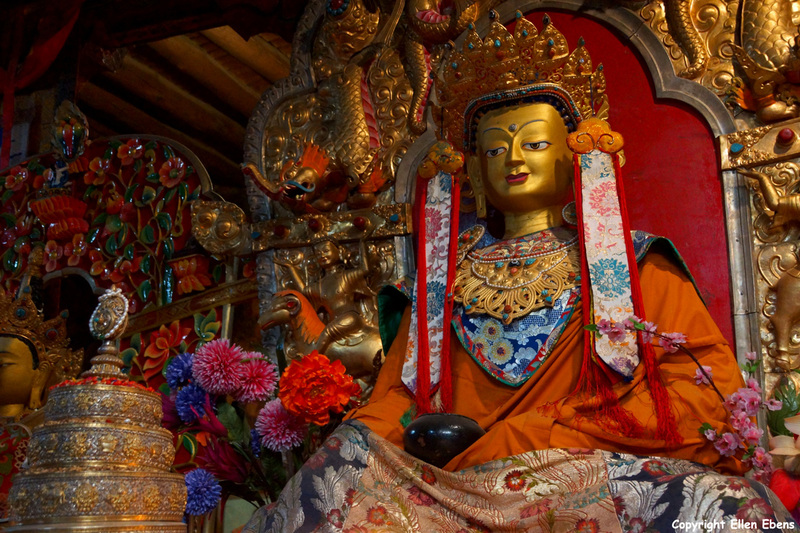 In Samye is of course the very first and oldest Buddhist monastery of Tibet. 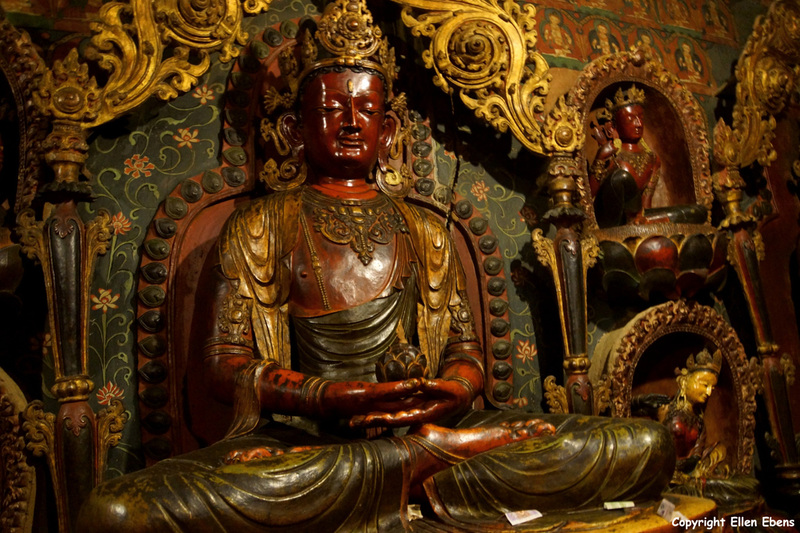 It was founded in in the period 765 – 780 by Tibetan king Trisong Detsen. 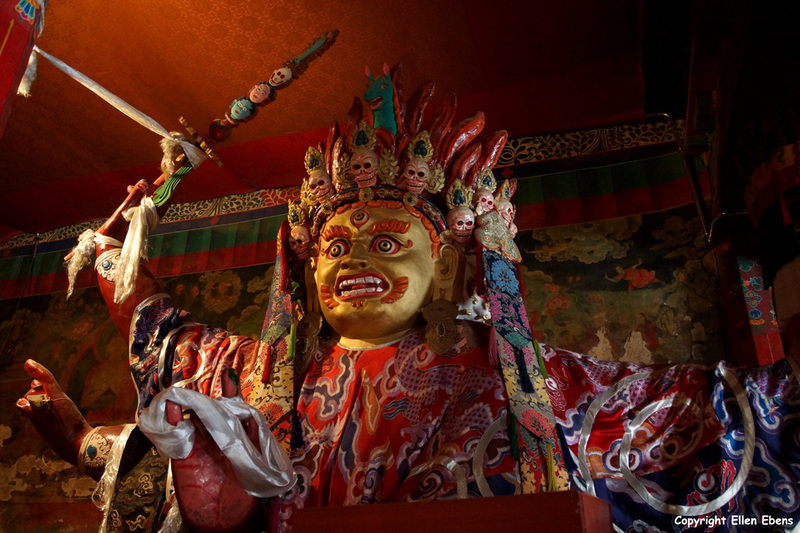 At that time everything that was build at daytime was destroyed again every night by the gods (demons) of the old Bön religion of Tibet. 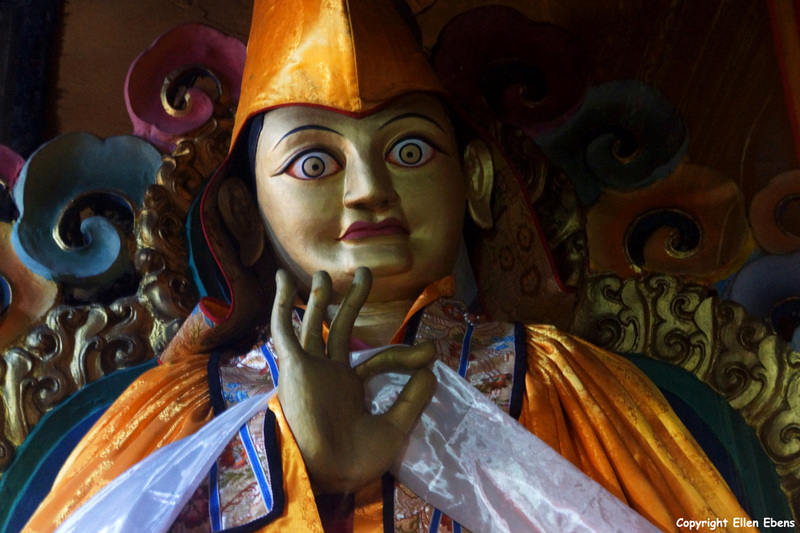 So king Trisong Detsen asked for the help of the Indian master Padmasambhava (Guru Rinpoche) and Padmasambhava subdued the power of Bön demons. 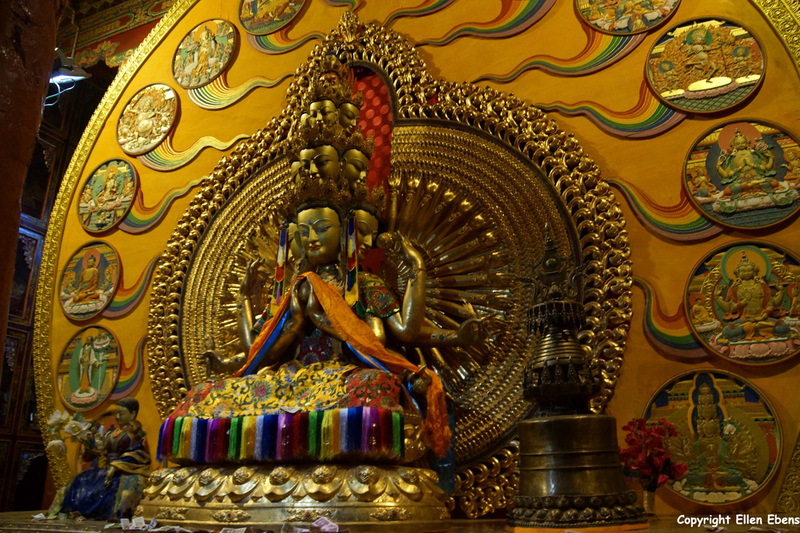 Samye monastery was build and the Bön deities were incorporated into Tibetan Buddhism as protectors. 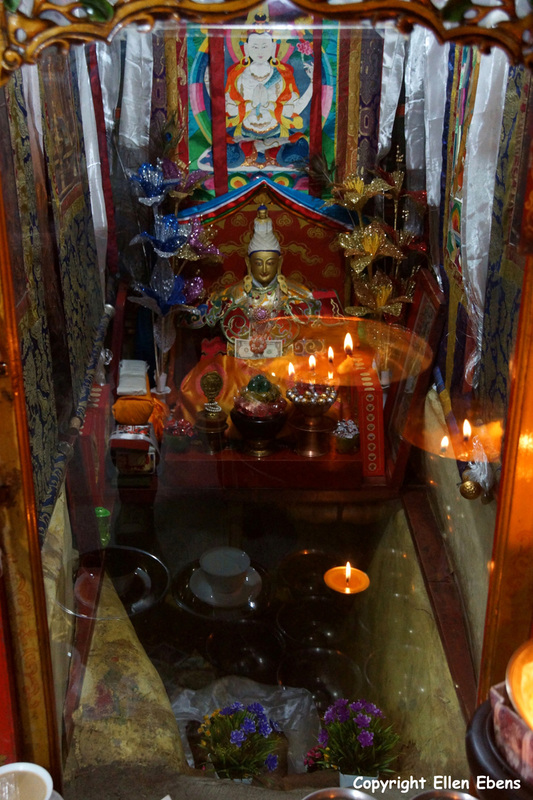 At Samye I had a special task to fulfill for an American lady who had contacted me on the internet and had asked me to deliver an e-book with photos she made about Samye Monastery to a monk at this monastery. I had only a photo of this monk. 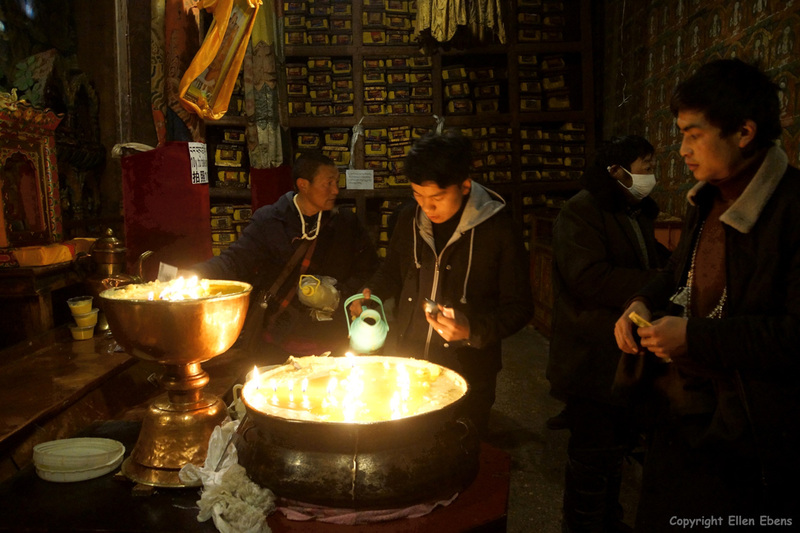 But with the help of my guide I located this monk, who was attending the butter lamp offerings by the pilgrims in the main hall of the monastery. And through my guide I could explain to him the gift and hand it over to him (a USB-stick). As proof I delivered it to the monk, I had a picture of us taken. 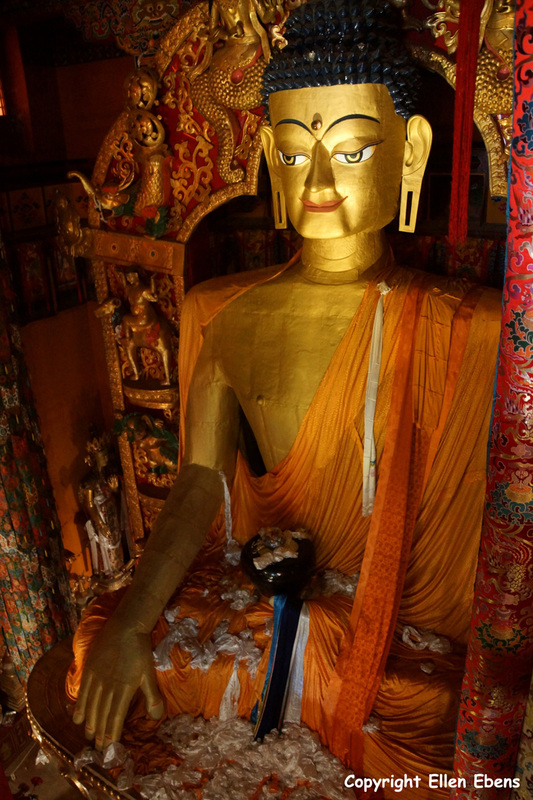 The next day we drove for some hours through the Yarlung Tsangpo River Valley and visited two monasteries. 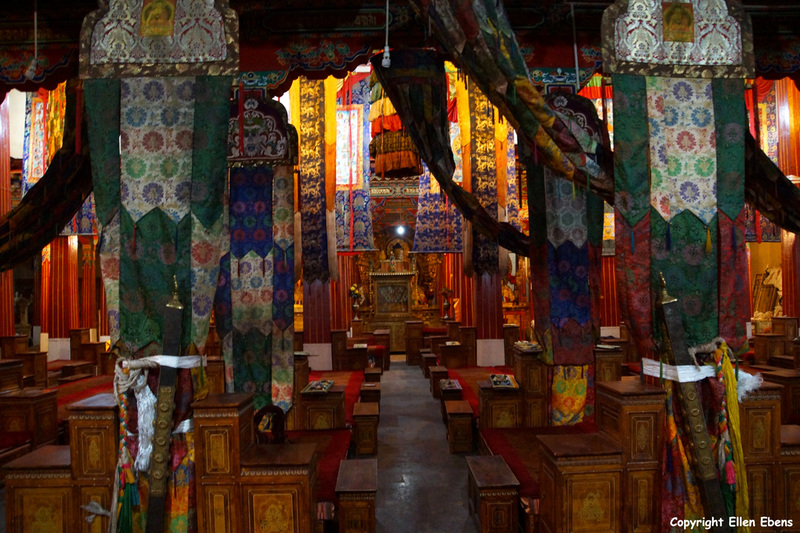 The first one was Mindrolling Monastery, one of the six major monasteries of the Nyingma sect of Tibetan Buddhism. 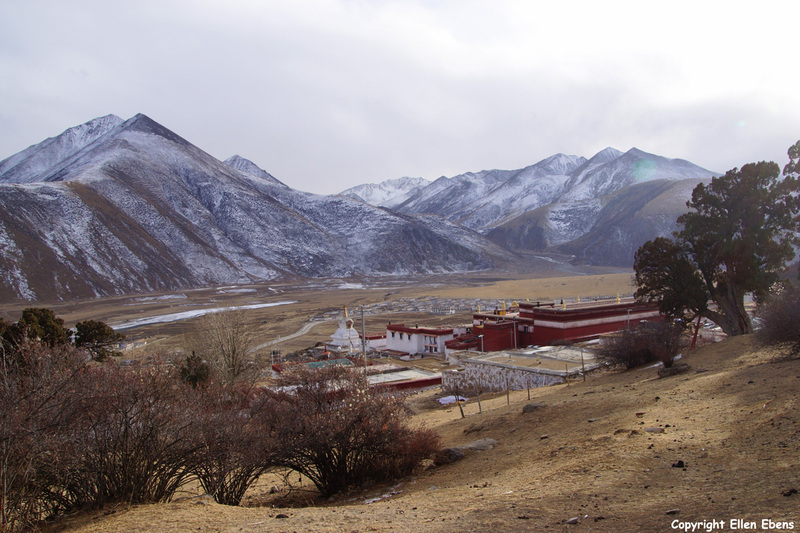 I once visited this monastery before in the autumn of 2013. It was good to revisit. The second monastery was new for me. 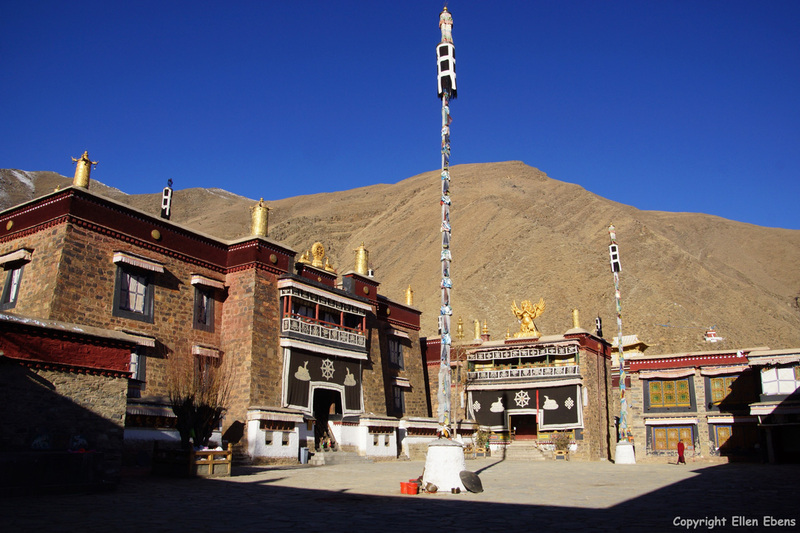 It was Gongkar Chöde Monastery, a monastery of the Sakya sect of Tibetan Buddhism. It was also a very nice monastery to visit. 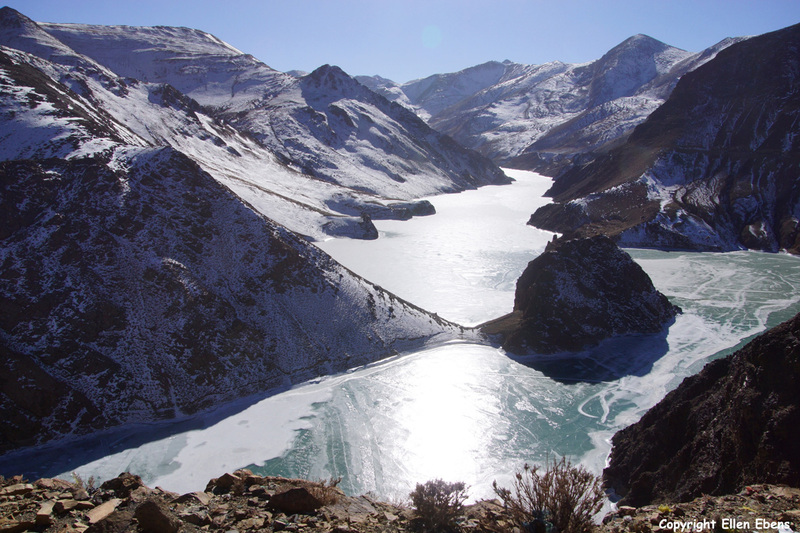 After these visits we left the Yarlung Tsangpo River Valley and went over a high pass to Yamdrok Tso Lake. 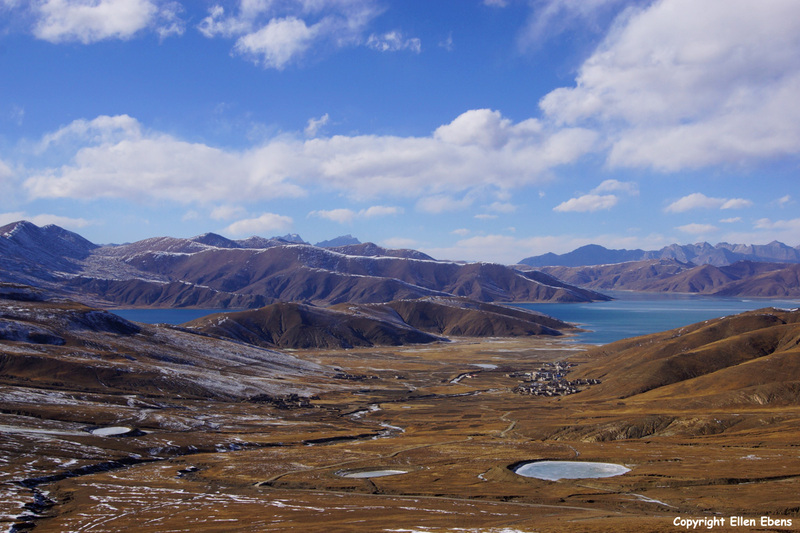 So we went over a high pass to Yamdrok Tso Lake. This pass was not the Kamba La pass but a pass “before” the Kamba La pass. 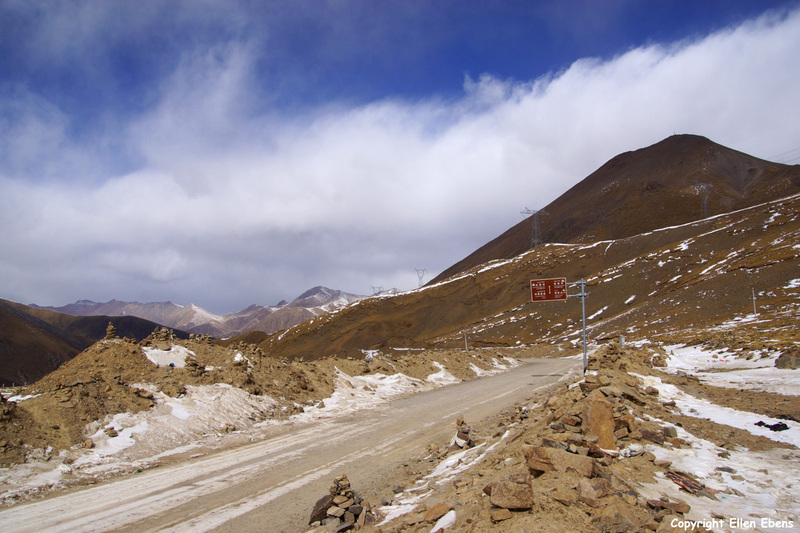 The altitude of the pass was 4,838 meter. 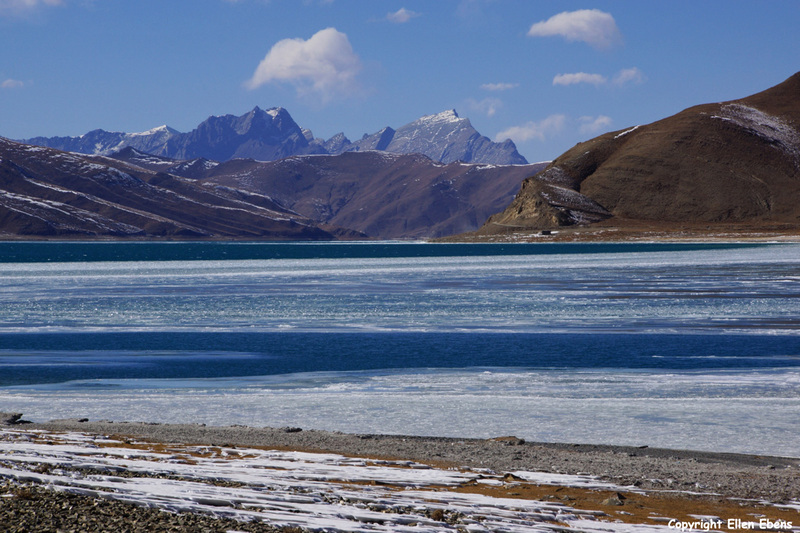 After the pass we drove down to the Yamdrok Tso Lake. 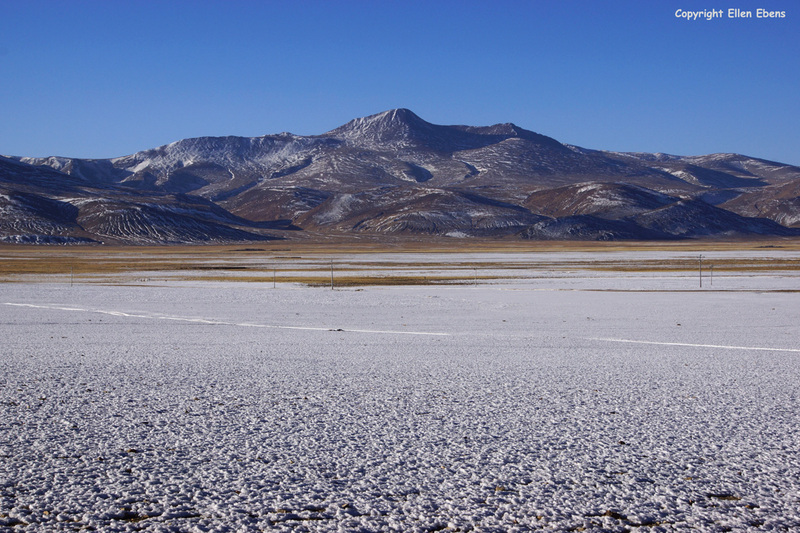 It had snowed in Tibet around Christmas (2018) and the snow was still there on a lot of mountains. 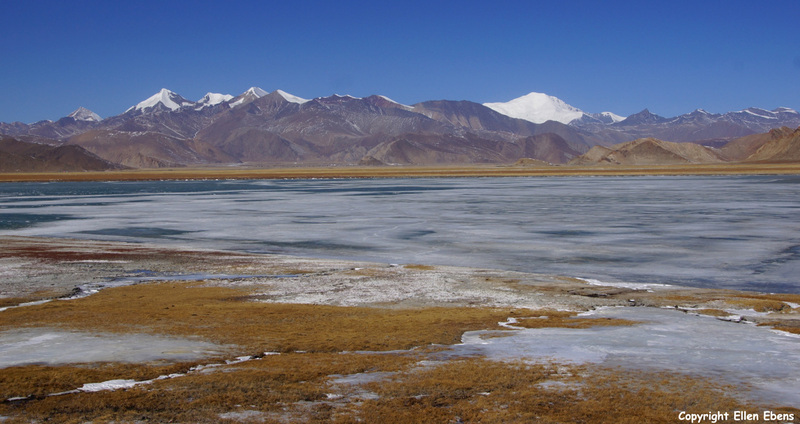 Yamdrok Tso Lake looks like a scorpion from the sky. This means there is no spot on which you can see the whole lake. From every spot you see a different segment of the lake. That makes the kora around this lake so special in my opinion. 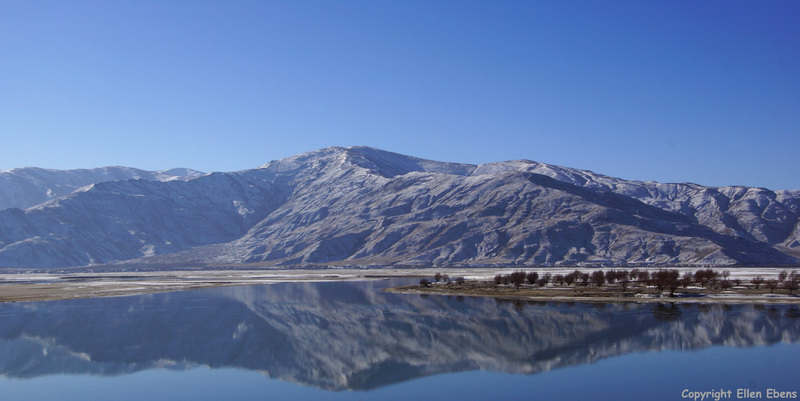 You turn a corner and the lake shows a different form with different surrounding mountains. 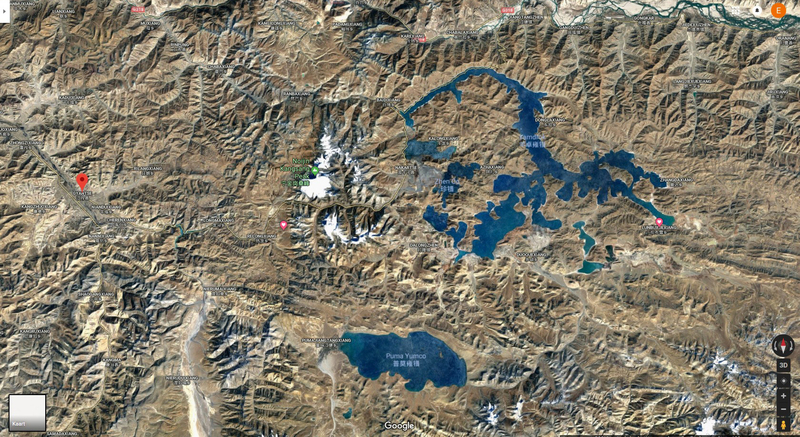 I made a print screen from google maps of the lake (map and satellite) on which the form of the lake is clearly visible. I also marked (roughly) the route we drove on the map. So it will give you an idea of my route. 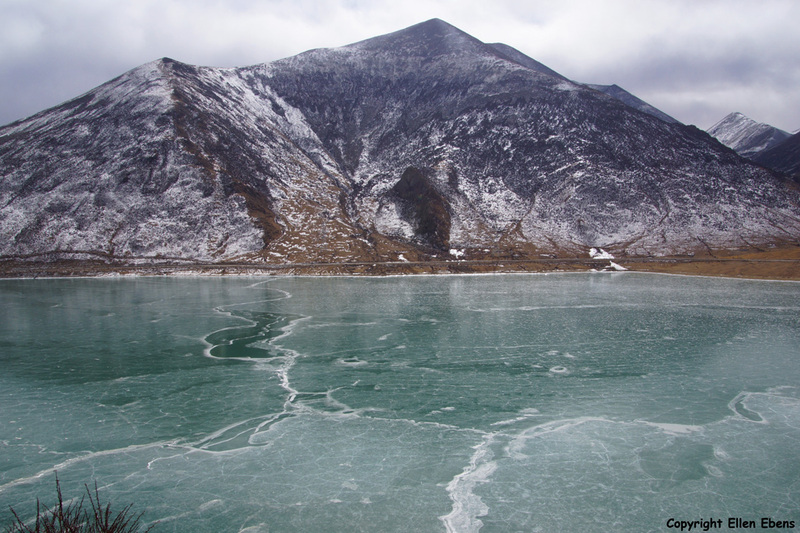 During my trip Yamdrok Tso was a mostly frozen lake with snow on the surrounding mountains. 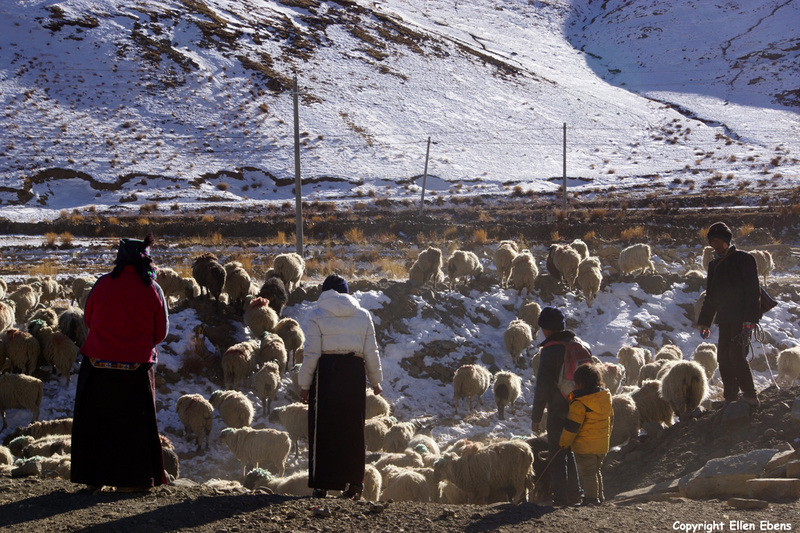 We drove over a small road trough some villages and saw local Tibetans taking care for their flog of sheep etc. I enjoyed it so much. It was a long day driving. At about 19.00 PM we arrived at the small village Lhunboxoi (Lunbuxuexiang op Google maps), where we stayed the night in a basic guesthouse. My room at the guesthouse had no heating and no sanitation. I think that night it froze outside about minus 20 degrees. 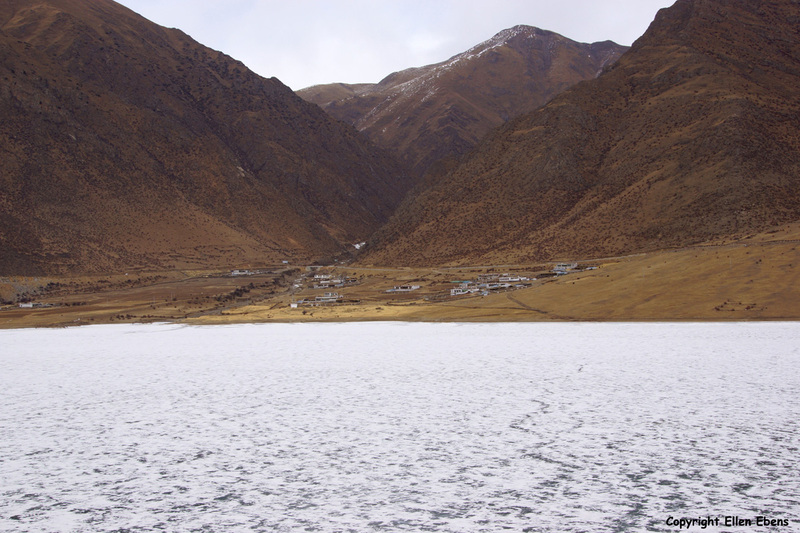 I was very happy with my warm down sleeping bag that I had brought with me to Tibet although I had also a quilt and some blankets on my bed. I slept well and warm. 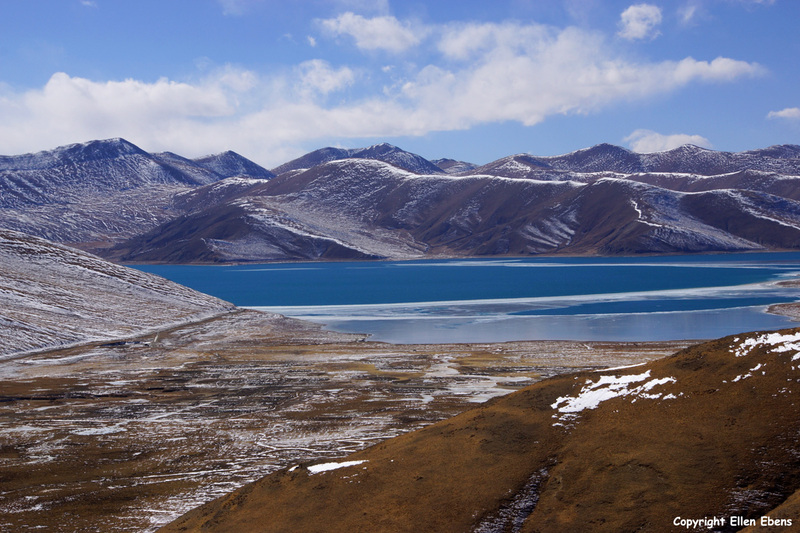 The next day we drove the second half of the kora around Lake Yamdrok Tso. A long time we didn’t drove over roads but merely over tracks. 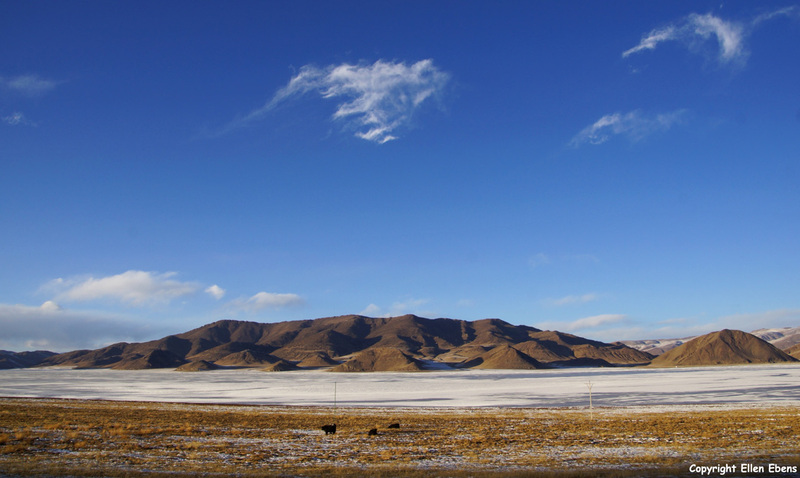 We drove over vast plains, totally empty and very cold. 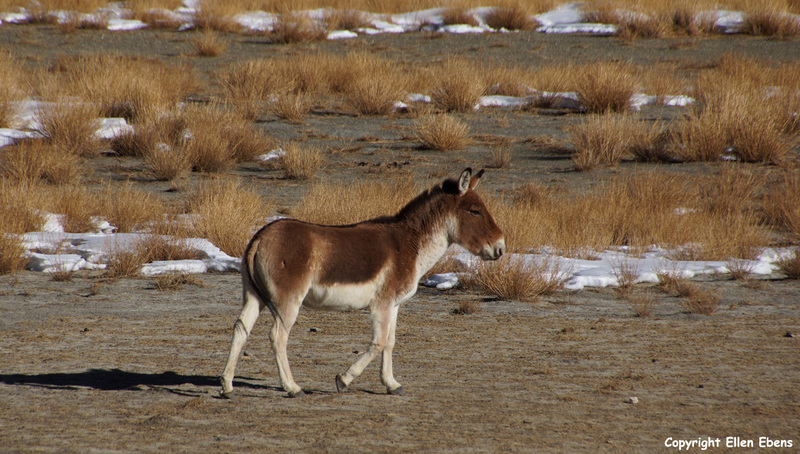 We saw kiangs, the Tibetan wild donkeys. Later we reached an asphalt road and then there were also again villages to be seen. 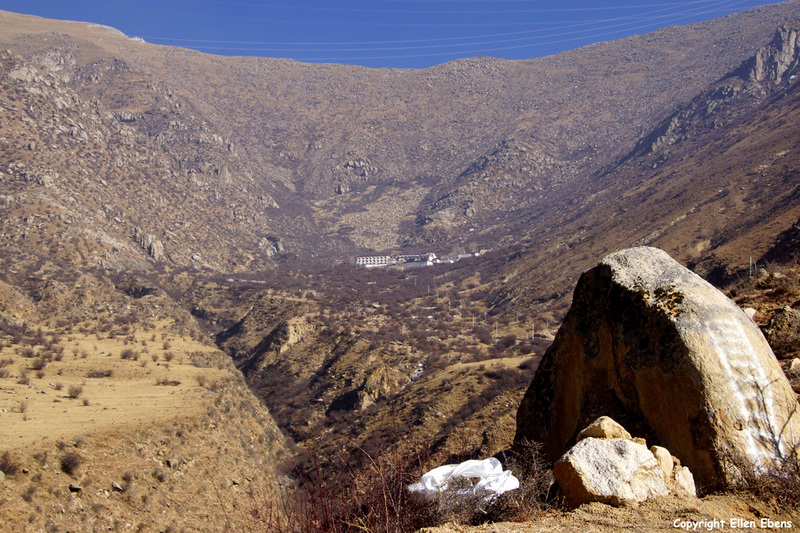 We drove the whole time of the kora above the 4,500 meter. 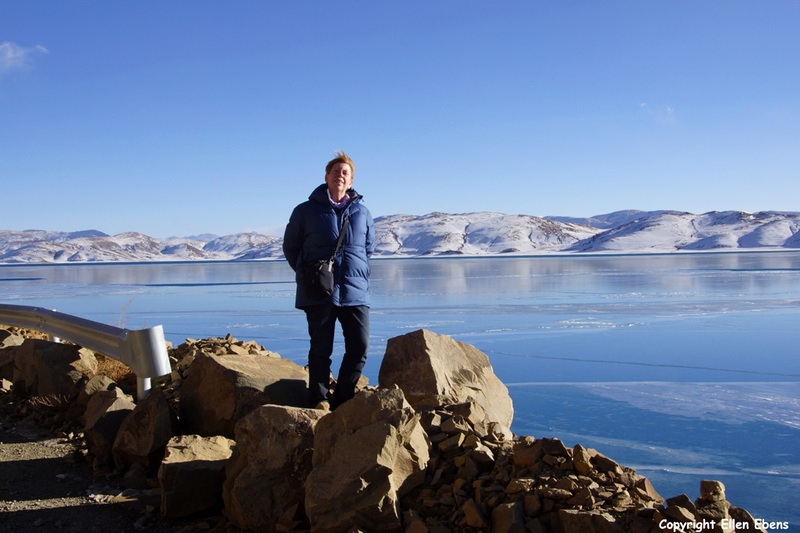 We made a side trip from the kora around Lake Yamdrok Tso. It was to the lake Puma Yumco. 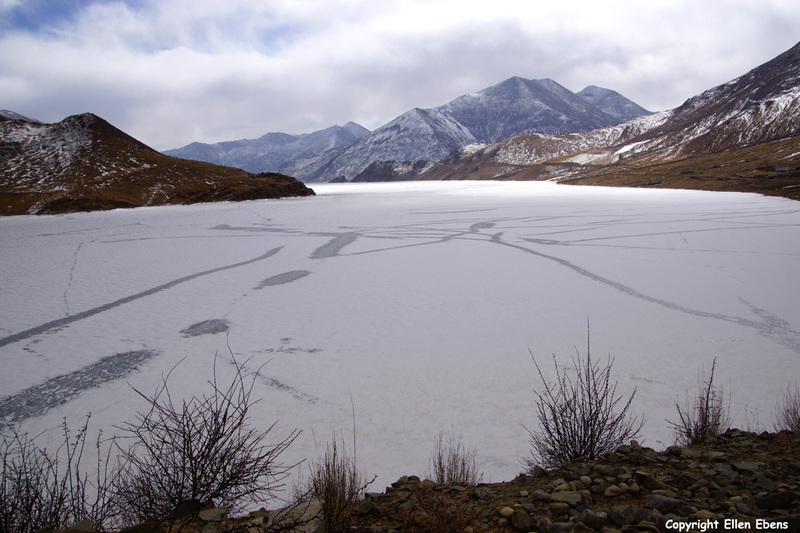 This lake is situated at an altitude of 5,030m. 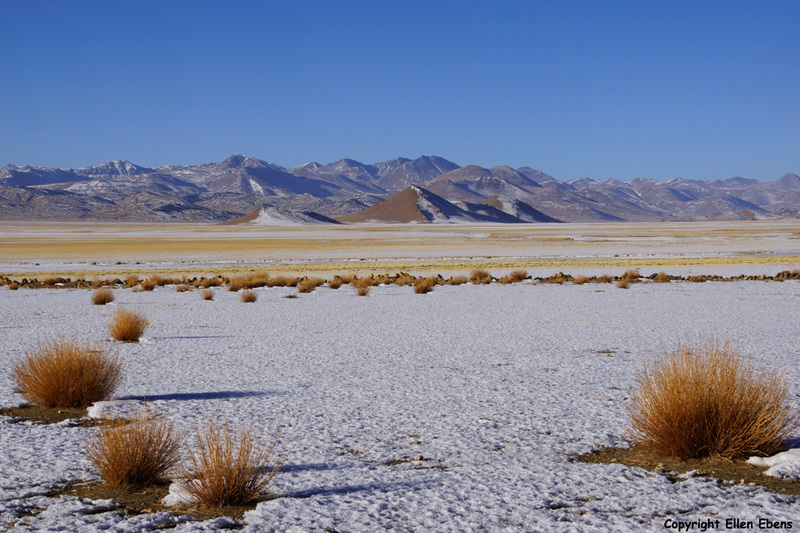 It was totally frozen and surrounded by white mountains. It was so very, very cold there. Puma Yumco literally means The Blue Jewel which is floating in the sky. We drove up to a high pass when driving to lake Puma Yumco. When we were at the top of the pass, we immediately saw the lake directly and very near in front of it. It indeed seem to float in the sky, but not a blue but white jewel. 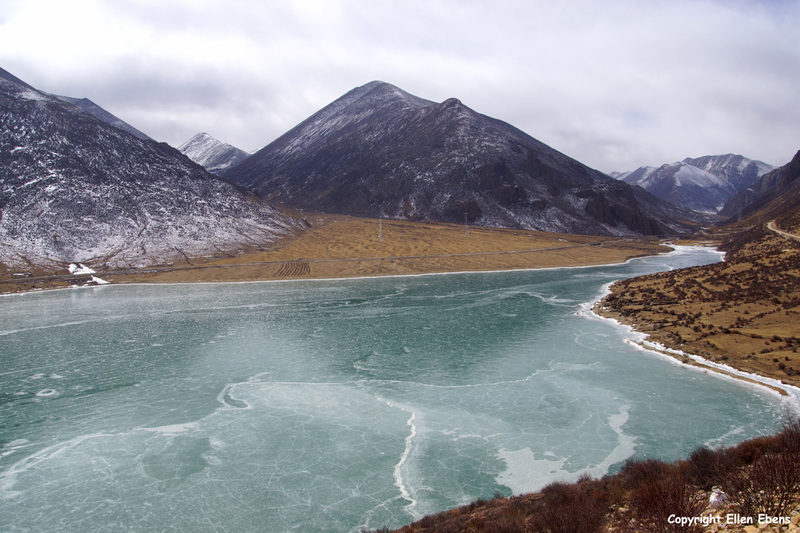 After visiting lake Puma Yumco it went back towards lake Yamdrok Tso and to the main road. 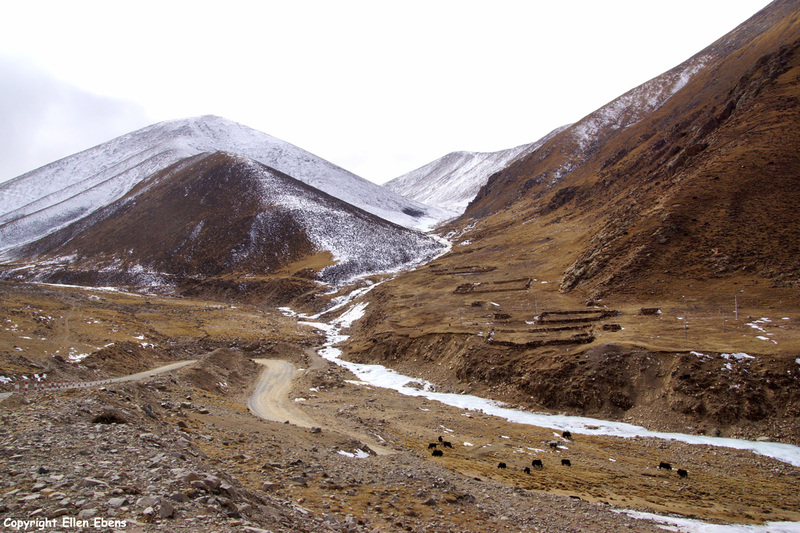 When we reached the main road, we went a little back in the direction of Lhasa to have lunch at Nagartse. 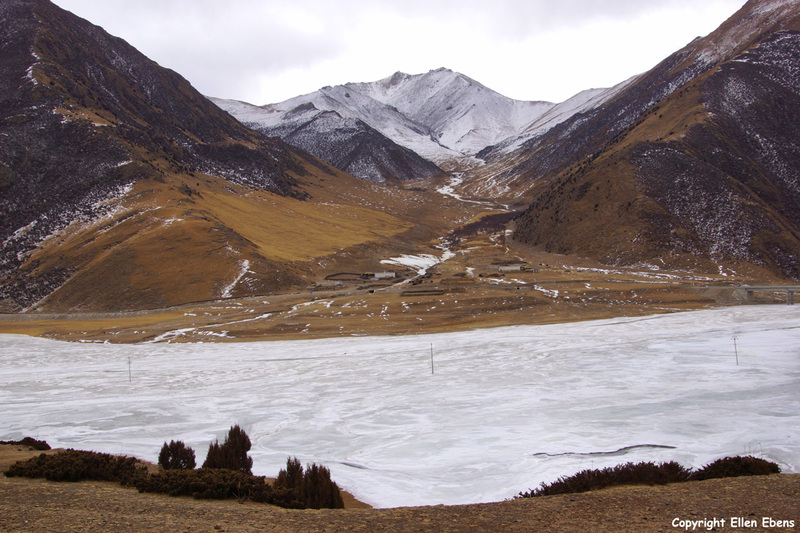 After lunch it went in the direction of the Karo La pass with the Nojin Kangsang glacier. I had been here already many times but I did have a stop to make some pictures. 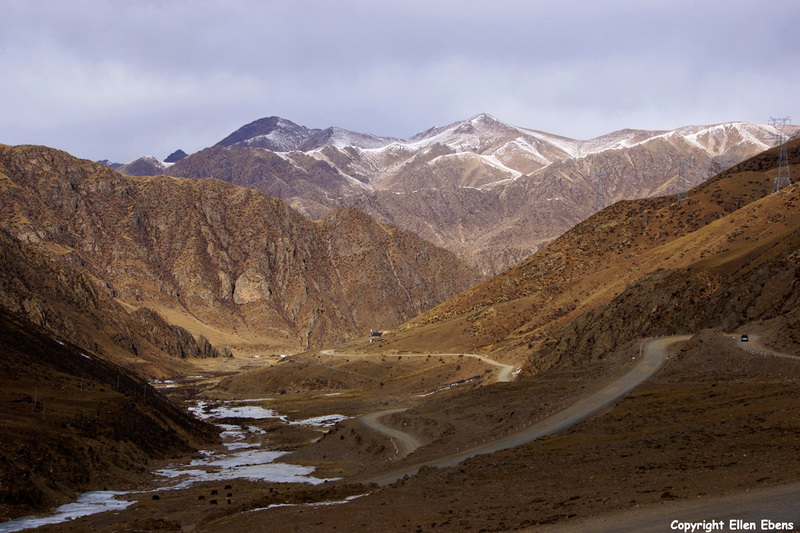 When we came down of the Karo La pass into a valley we almost immediately turned left onto a small dirt road that was covered with snow and ice. 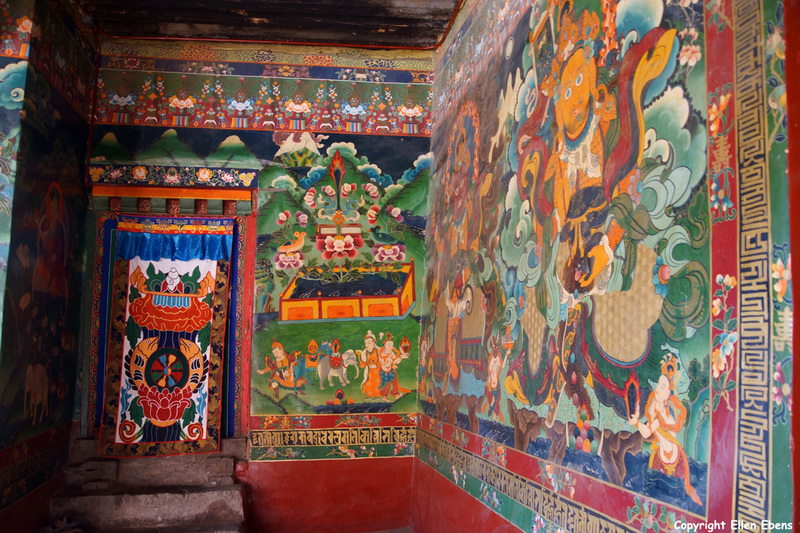 It went to Ralung Monastery. 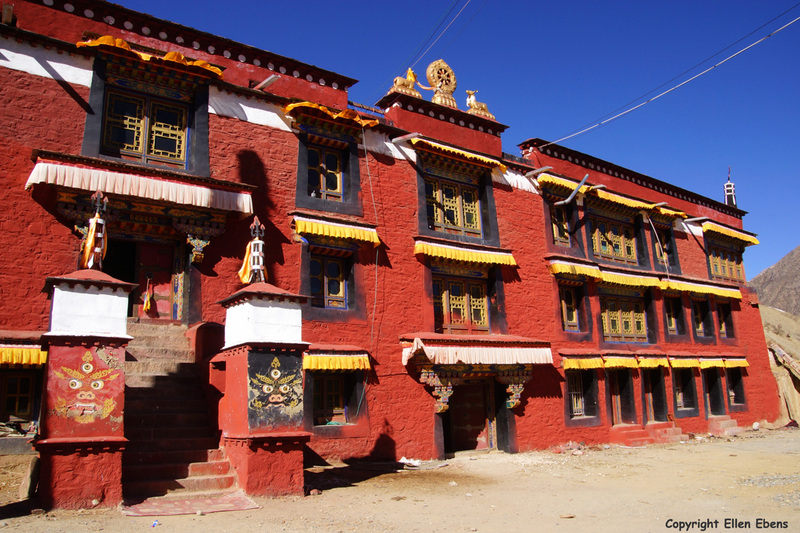 This is the most important monastery of the Drukpa Kagyu sect of Tibetan Buddhism. I didn’t visit this monastery before, so it was new for me. 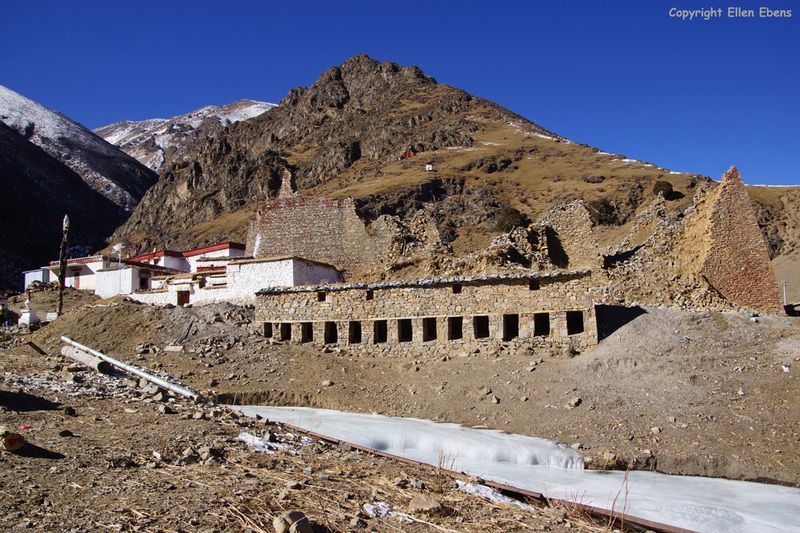 The monastery consists of on old building and a brand new assembly hall. This new hall was just finished last summer (2018).The monks opened all the buildings and chapels for us. It was a quite interesting visit. It’s worth the detour. 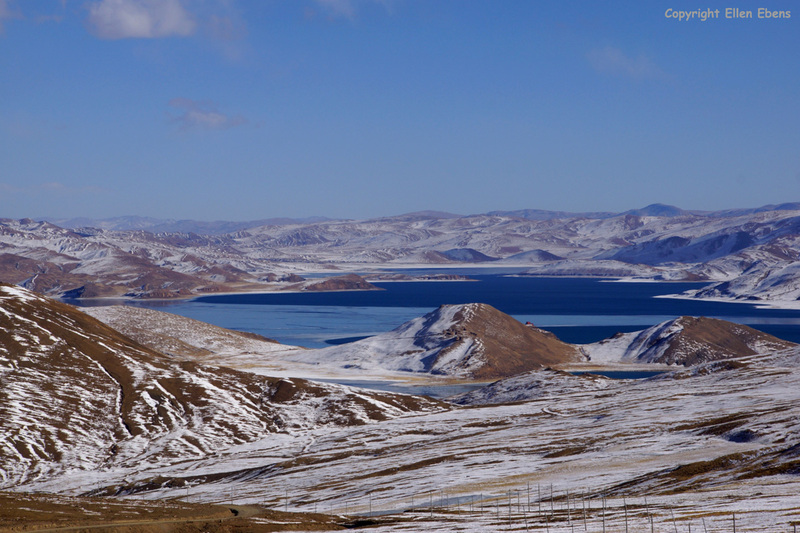 Before reaching the town of Gyantse we drove over the Simu La pass with the great view on the artificial lake (hydro electric power). At about 18.00 PM we were at our hotel at Gyantse. 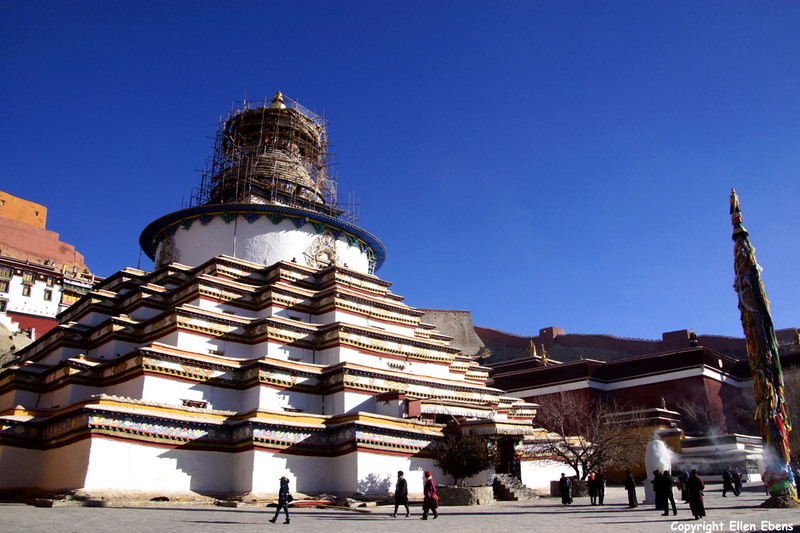 At almost every trip to Tibet, I visit the cities of Gyantse and Shigatse with their famous and beautiful monasteries. 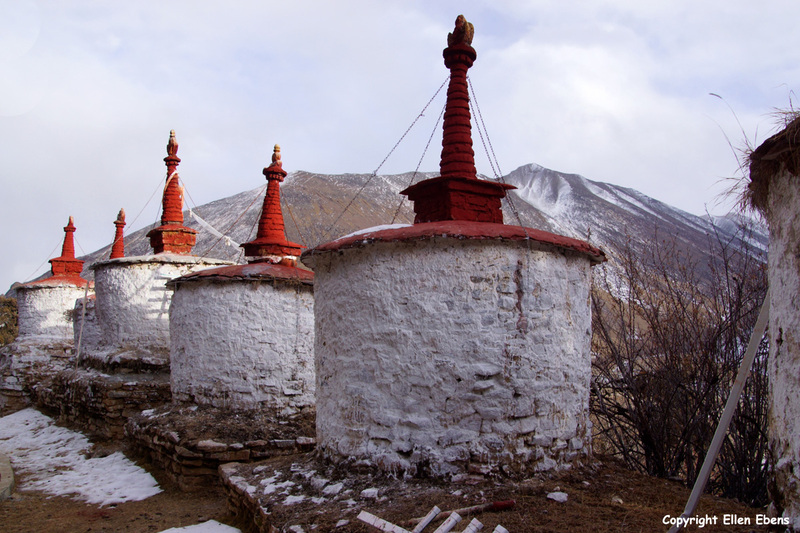 A visit to the Pelkor Chöde Monastery with the Kumbum Stupa at Gyantse is always a pleasure. 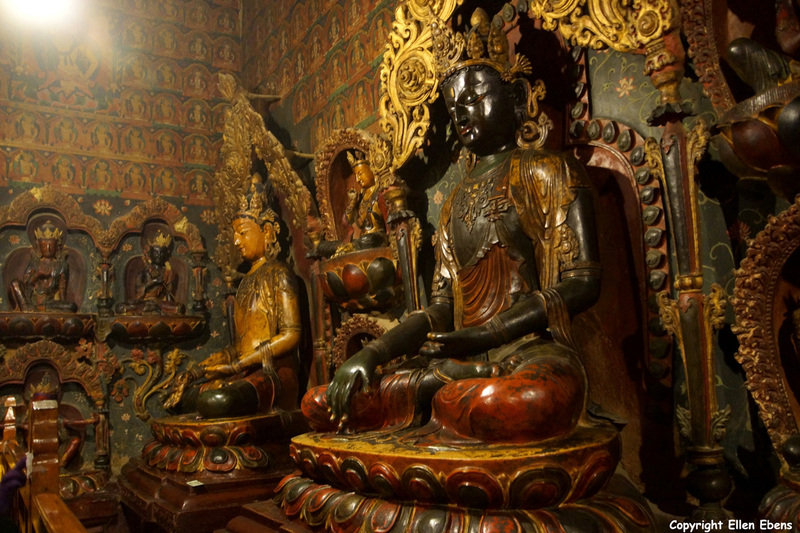 The statues in this monastery are special because they are made of wood. 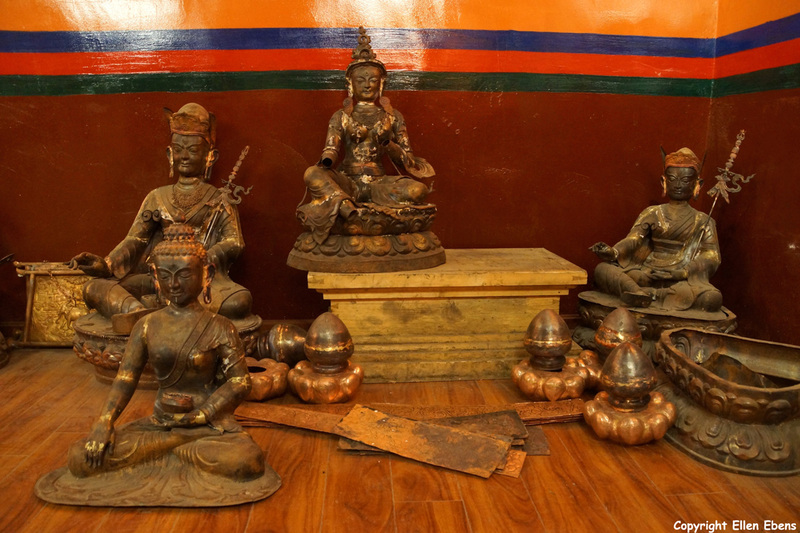 In all other monasteries the statues are made of bronze. 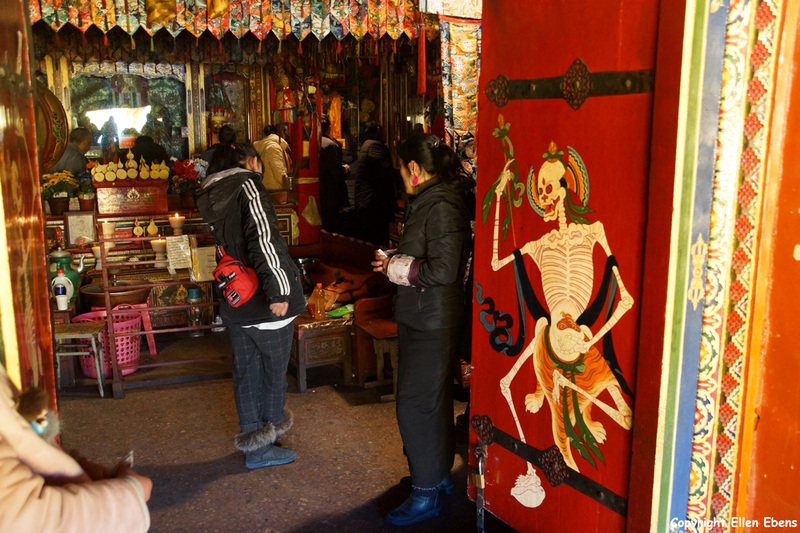 It’s also allowed to make pictures inside the halls and chapels although you have to pay 10 or 20 yuan for each chapel. 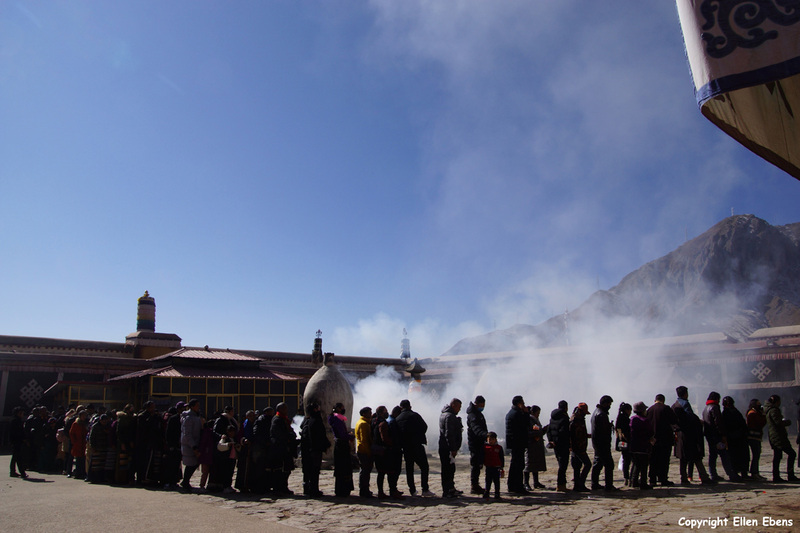 Also at this monastery there were a lot of pilgrims visiting. 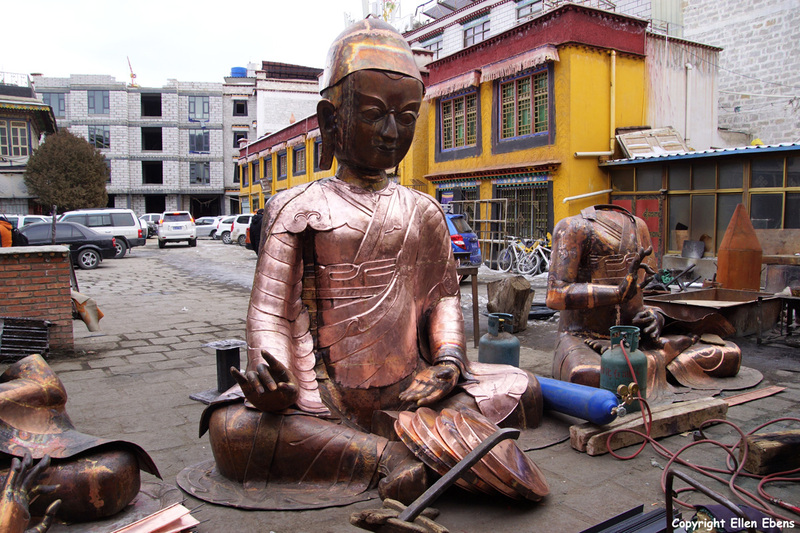 They were renovating the Kumbum Stupa but at the time of my visit most of the work was done. Only the top of the stupa was still in the scaffolding. 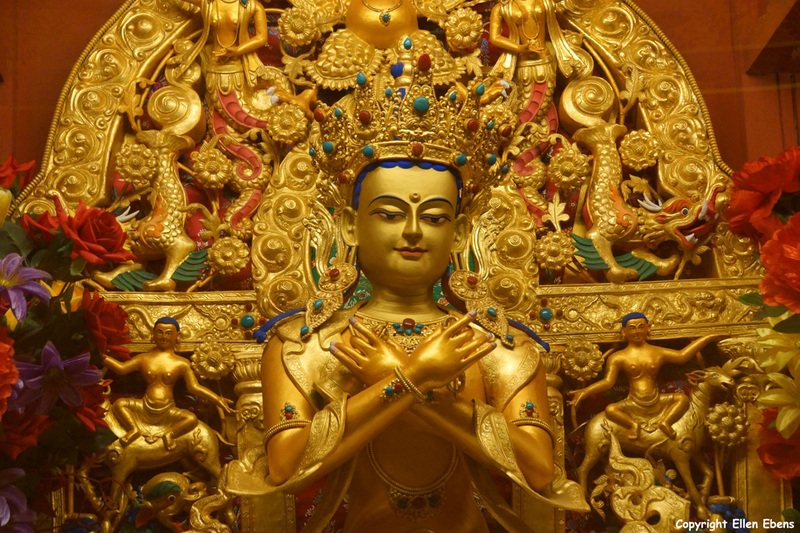 And it was no problem to visit all the chapels on all the floors of the stupa. But the light in many chapels didn’t burn and so you couldn’t have a good look at the statues and paintings inside. 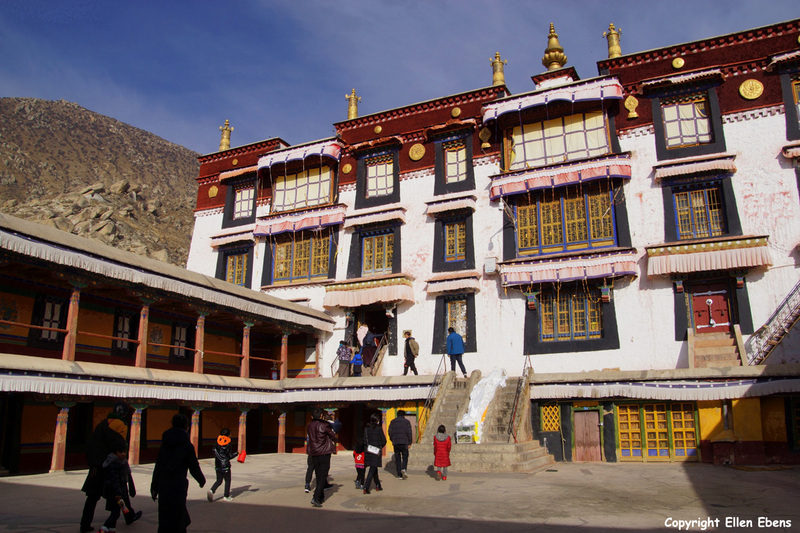 After the visit to the Pelkor Chöde Monastery we drove to Shigatse, where after lunch, we visited the big Tashilhunpo Monastery. Unfortunately it’s not allowed to take pictures inside (it’s allowed only if you pay a crazy high price for it). So I didn’t make many pictures at this monastery. 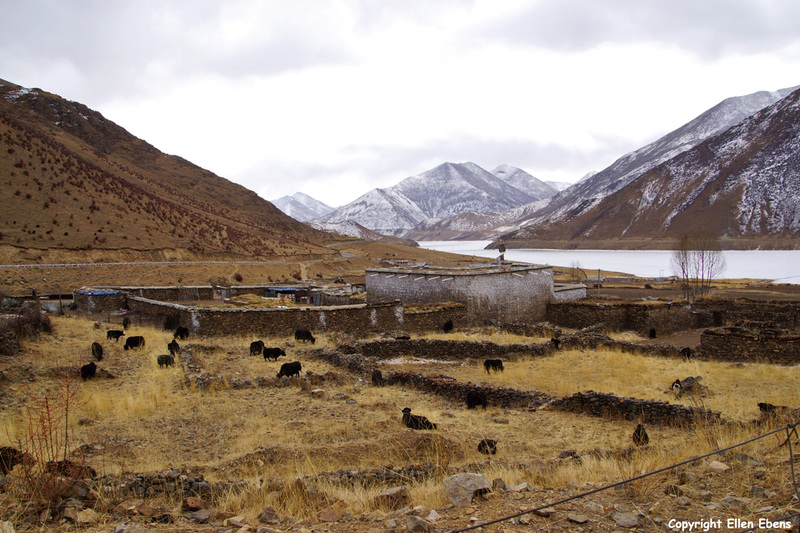 The next day it was back to Lhasa with a stop at the village and family house of my guide (in fact of his wife). That was really a very nice visit! 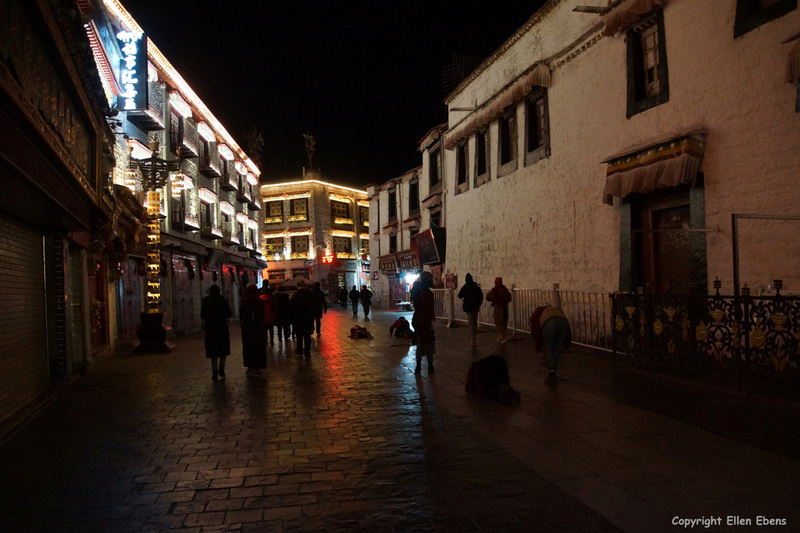 After coming back from Shigatse I stayed one night at my hotel at Lhasa. 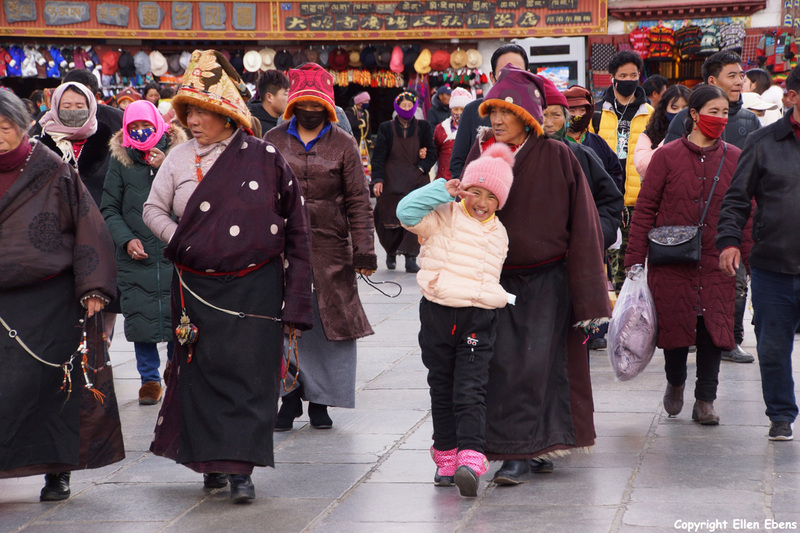 Of course I went to the Jokhang Temple again and walked some koras with the many pilgrims. I had nothing special planned for that evening. But it didn’t became a dull evening. Ihat evening I was asked to cooperate in a film shoot to promote tsampa biscuits. They needed a foreigner to cooperate and (only) I was available. Of course I said yes. And it was really fun. 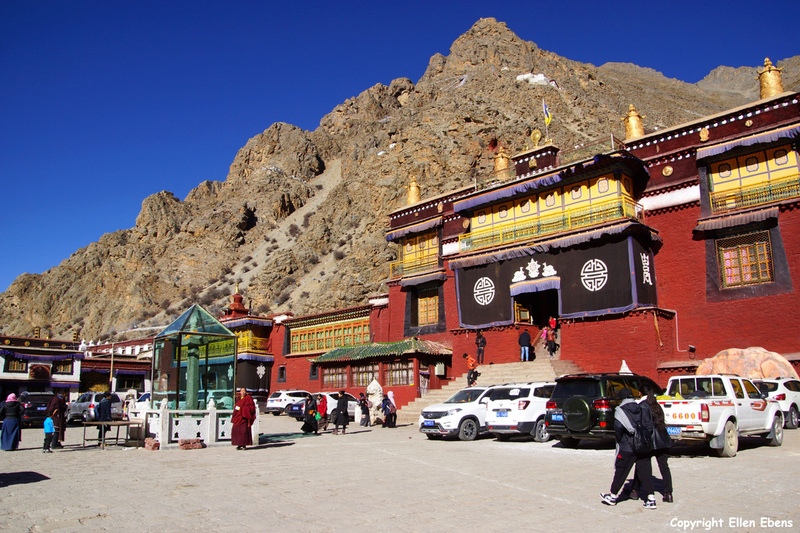 The next day I drove with four Tibetan men to Reting Monastery. 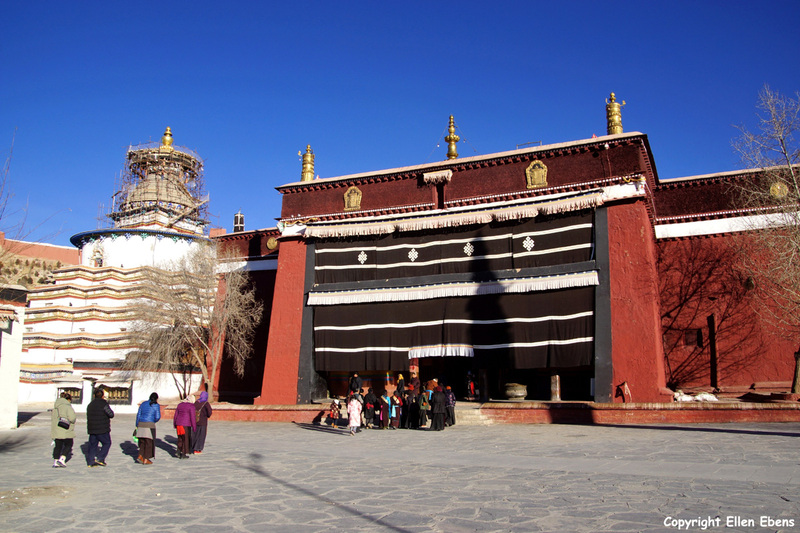 Reting Monastery is located to the east of Lhasa. So in an other direction than I had traveled till that moment. It was a very cold and clouded day. 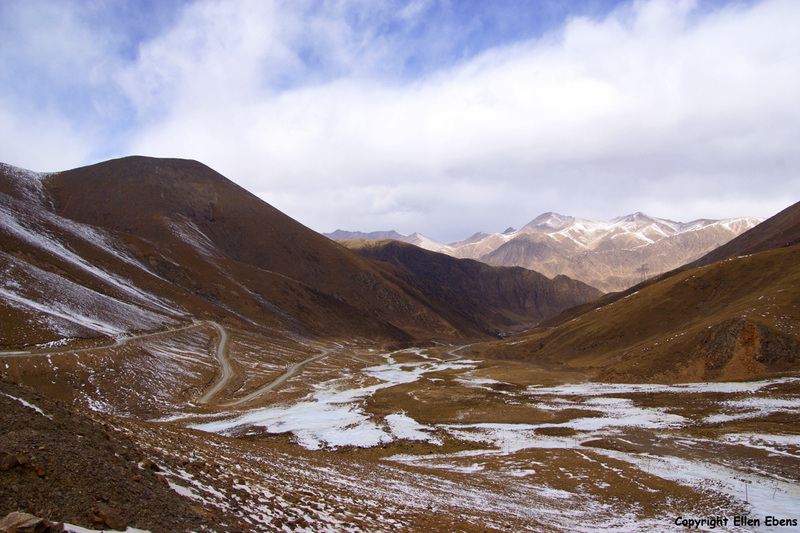 And we went over a high pass, the Chak La pass, at about 4,850 meter. 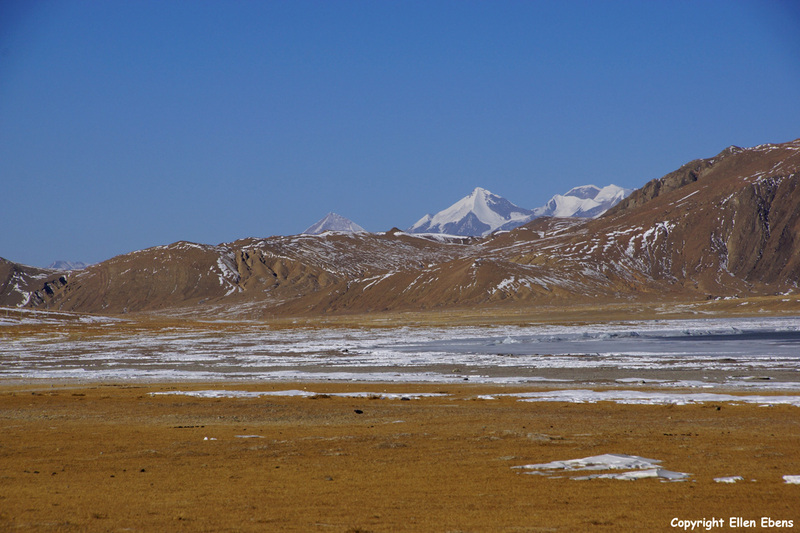 At the other side we came into the valley of the Lhasa River. But the river has become at this point an artificial lake because of a hydro electric power dam. The lake was almost frozen and looked so very beautiful. The weather was clouded but that was just fine for taking pictures. 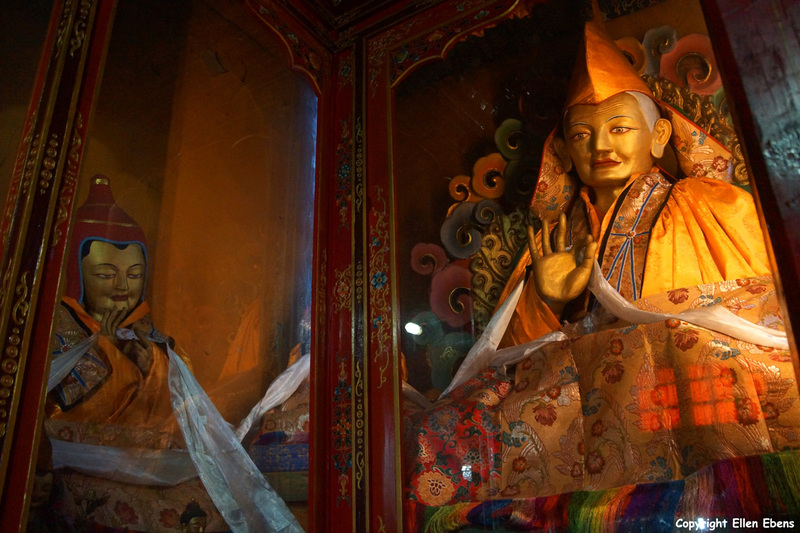 Reting Monastery was founded by Atisha’s chief disciple Dromtön in the year 1057 (Atisha is an important Buddhist master from Bangladesh). 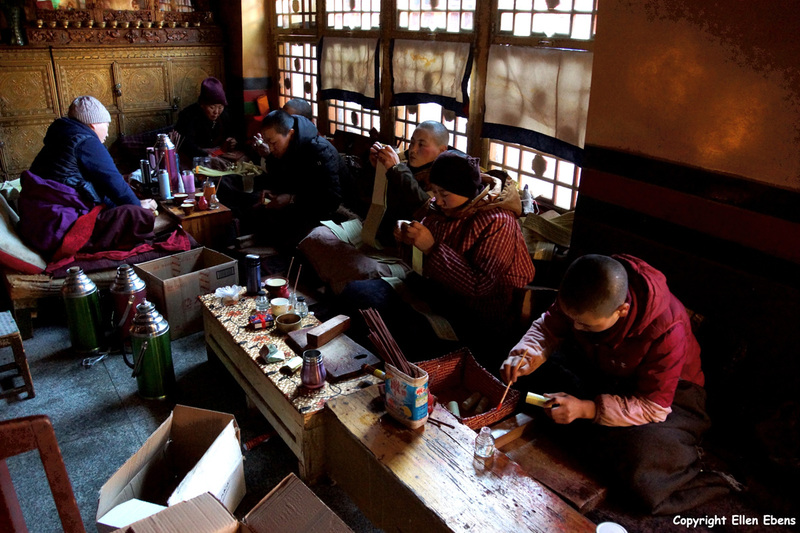 It’s a historically important monastery of the Gelug sect of Tibetan Buddhism. 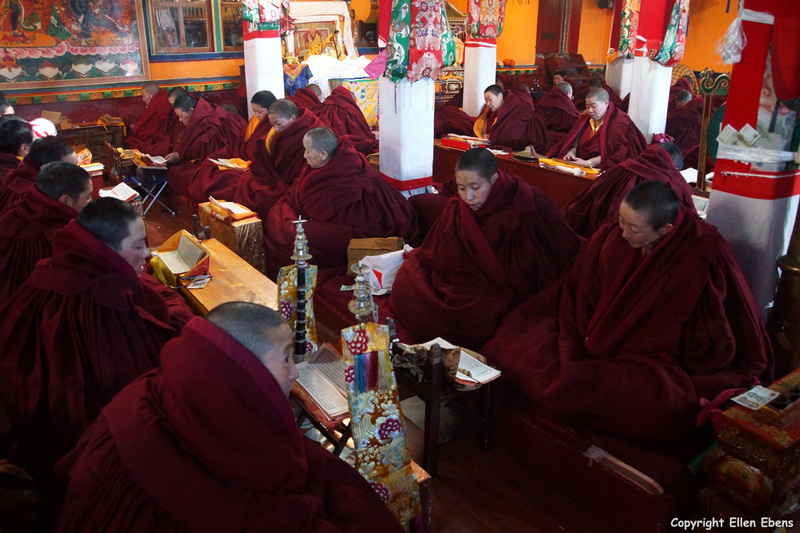 I had been to Reting Monastery several times before and last times they were renovating the main assembly hall. The hall still isn’t completely renovated yet but was looking already very nice. They are still painting inside the hall. 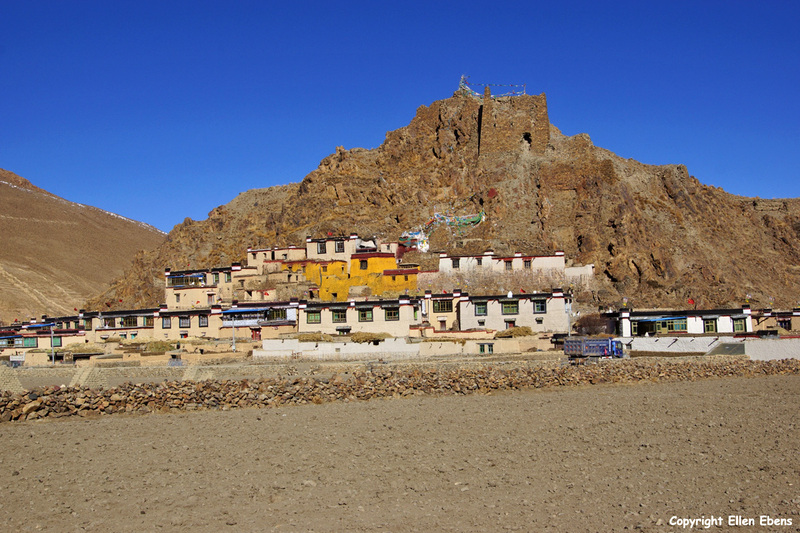 Reting Monastery is situated on the flank of a hill with a lot of Juniper trees. That makes the surrounding of Reting very lovely. Of course we walked a kora here. 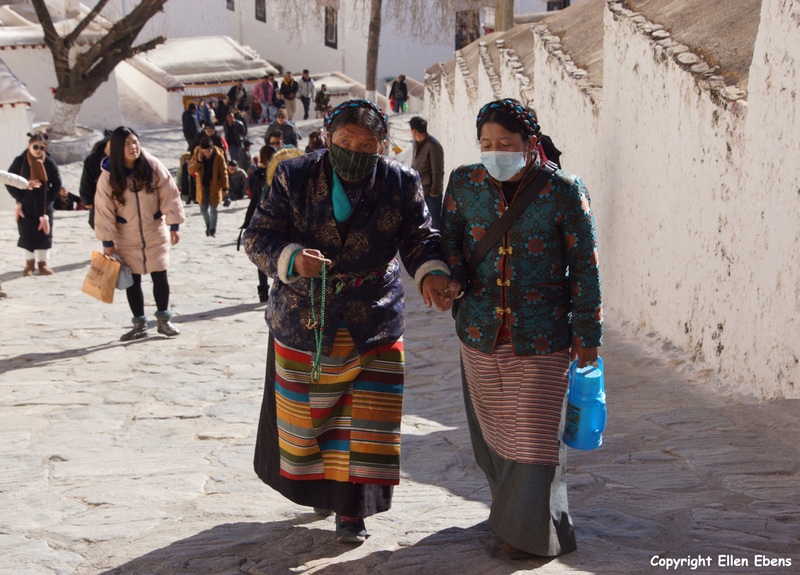 After a night (again about minus 20 degrees) in a basic guesthouse with again a cold room without sanitation but with a very nice and reasonable warm restaurant with some lovely landladies, we made our way back to Lhasa. The weather was now very sunny and blue sky. But I was happy with yesterdays clouds because the light today was so hard to make good pictures. 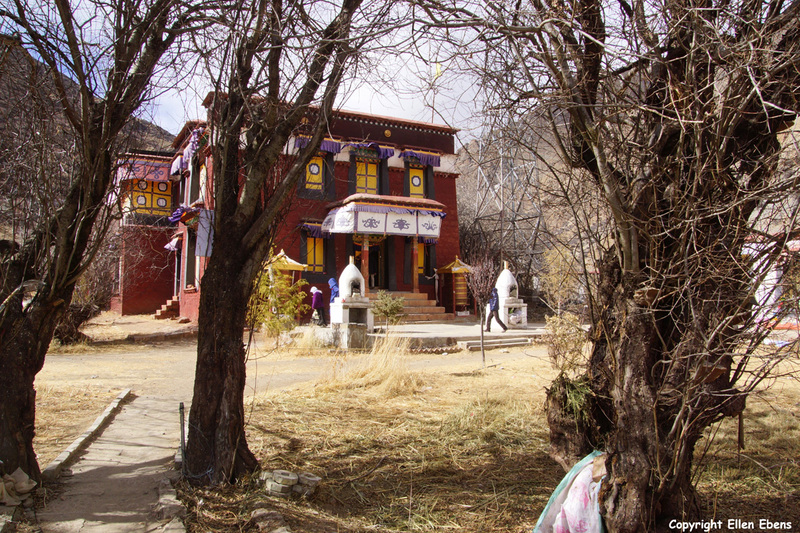 On the way back we visited Taklung Monastery. 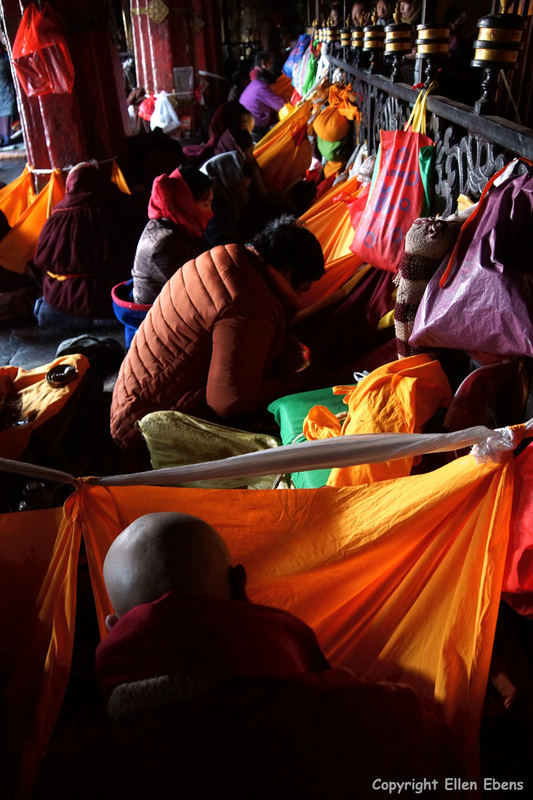 It’s the most important monastery of the Taklung Kagyu sect of Tibetan Buddhism. It’s also an old monastery, founded in the year 1180. 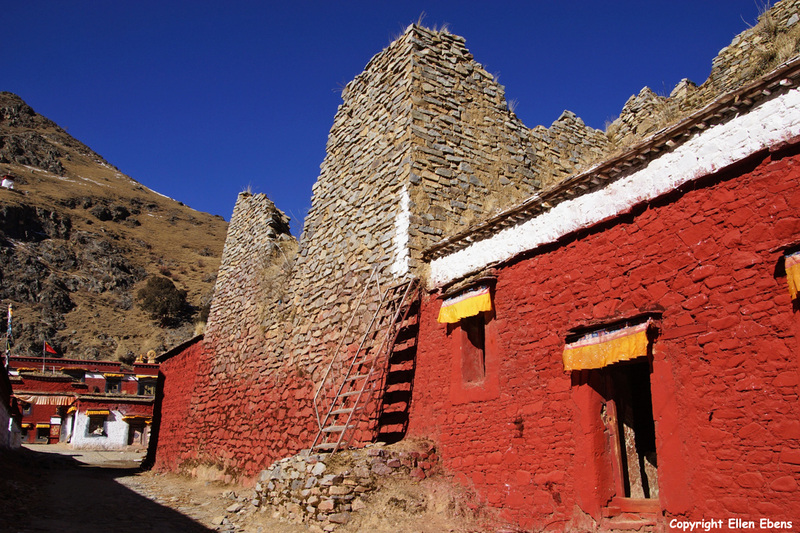 At Taklung Monastery you can still see the ruins that were the result of the damage done during the cultural revolution. 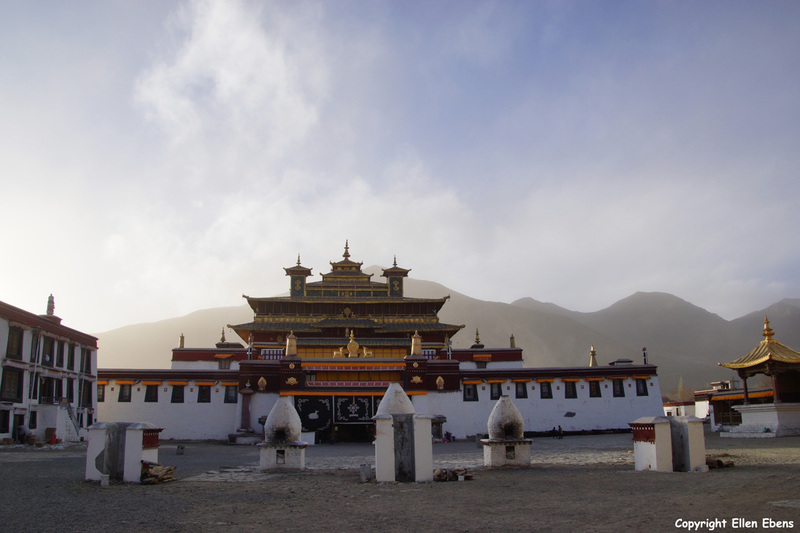 It was the second time I visited Taklung Monastery. 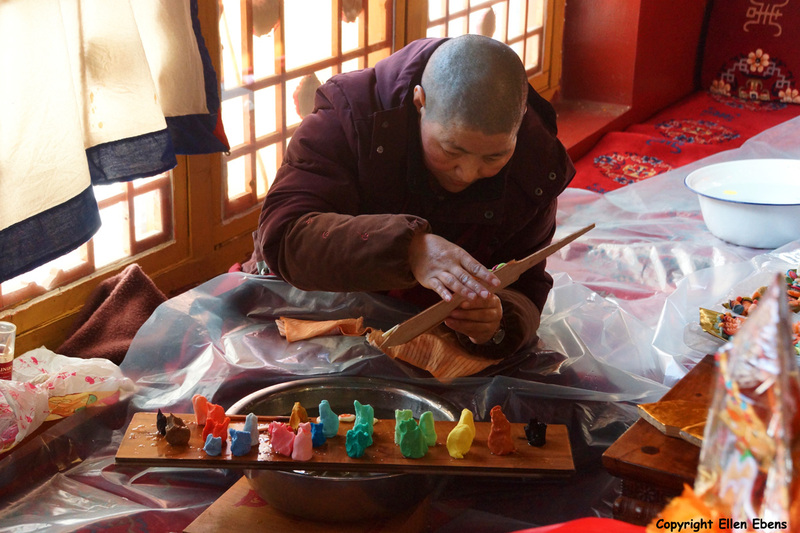 Next to the old monastery, a totally new complex of Taklung Monastery is build. 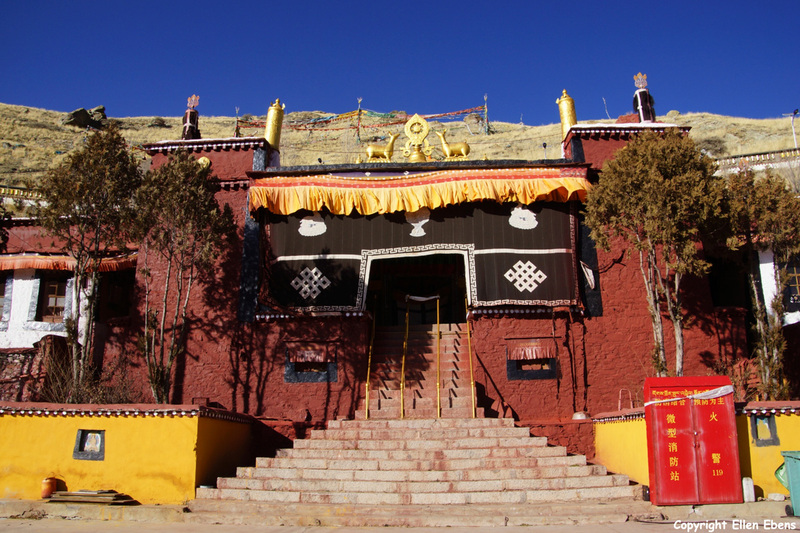 From Lhasa I made a day trip to Tsurphu Monastery. 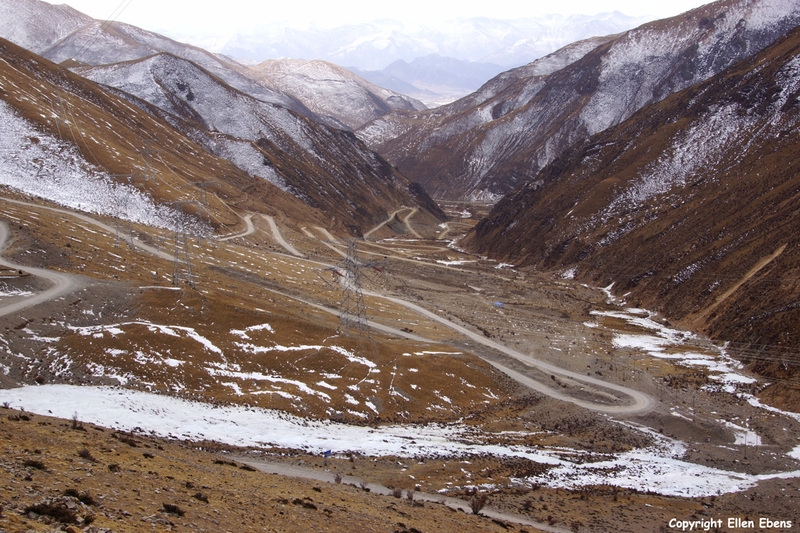 It’s now only a few hours driving from Lhasa because of the roads getting better and better. 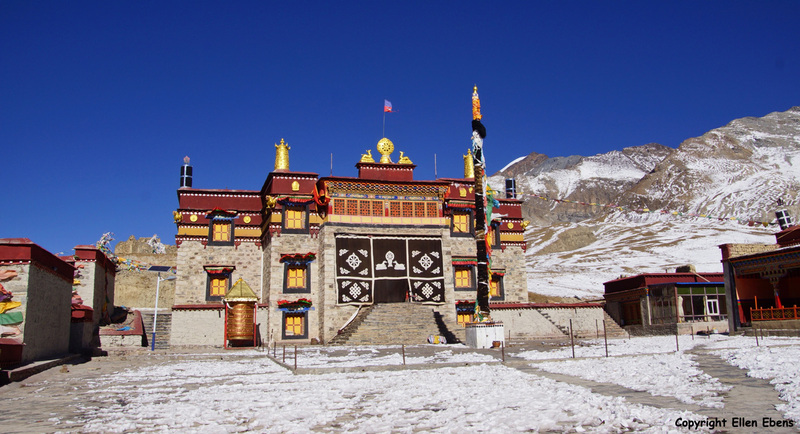 Tsurphu is an important monastery of the Karma Kagyu sect of Tibetan Buddhism. 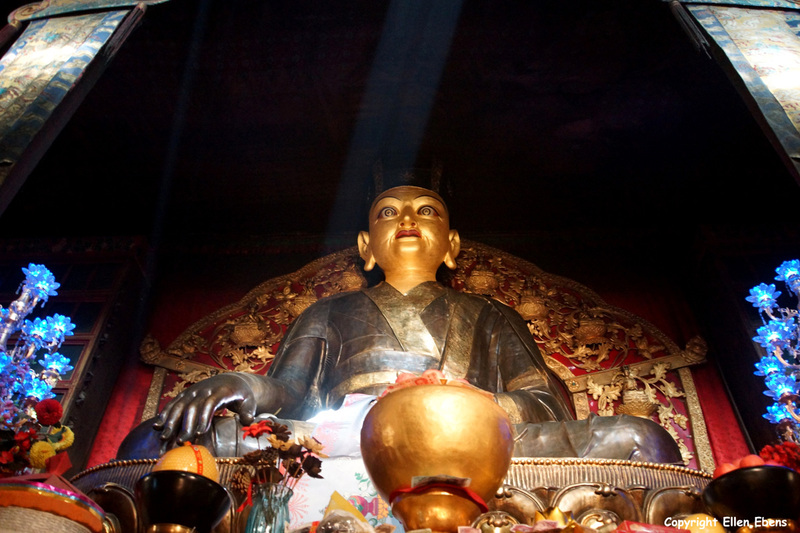 The present head of this sect is the 17th Karmapa. I was at Tsurphu for the first time in 1997 and went on audience with the 17th Karmapa then. 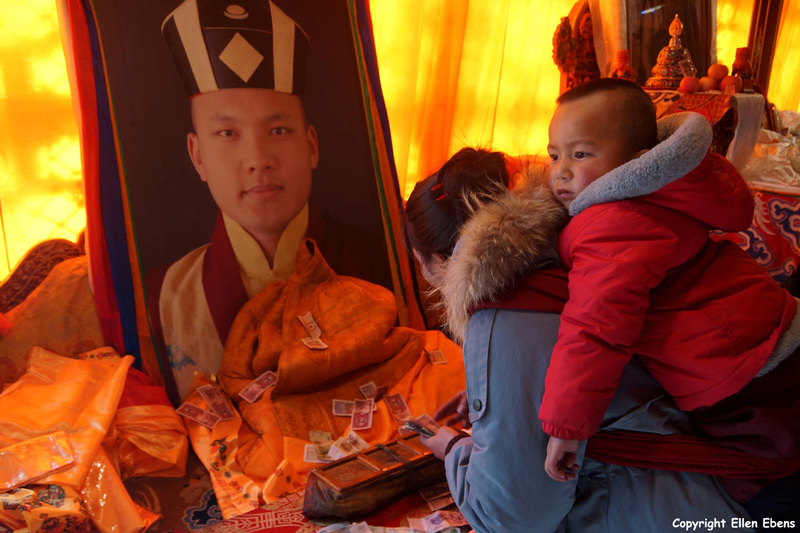 At that time the Karmapa was a boy of 12 years old. Two years later he went to India. 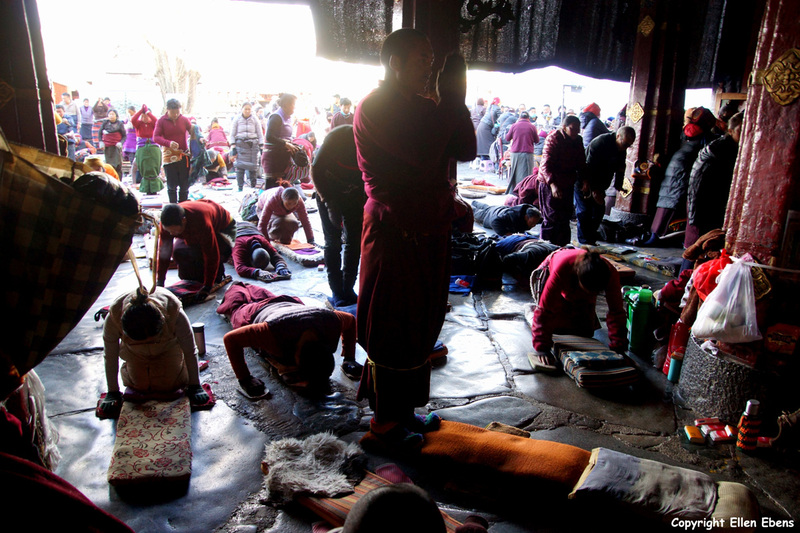 Nowadays a lot of photos of the 17th Karmapa can be seen at Tsurphu and also at other monasteries in Tibet. 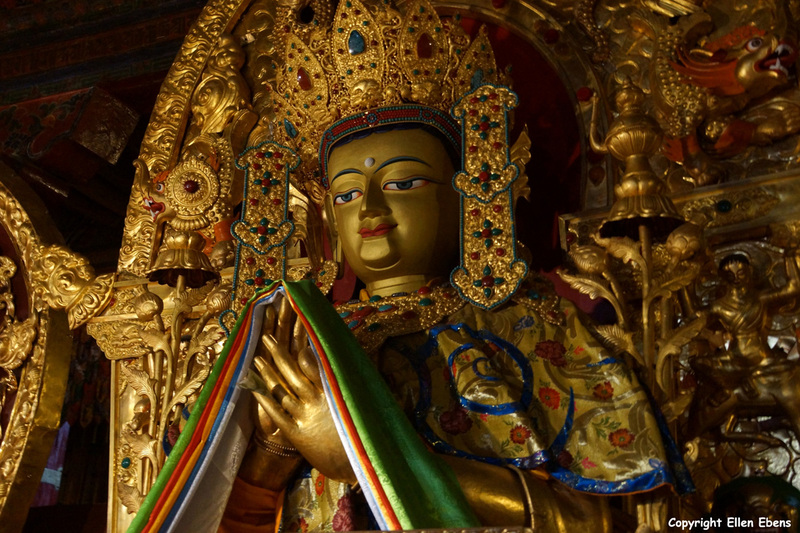 He is very high regarded and an important spiritual leader for the Tibetans. In 1997 I didn’t realize how very special it was to meet the Karmapa and receive his blessing. Nowadays I realize that so very much. 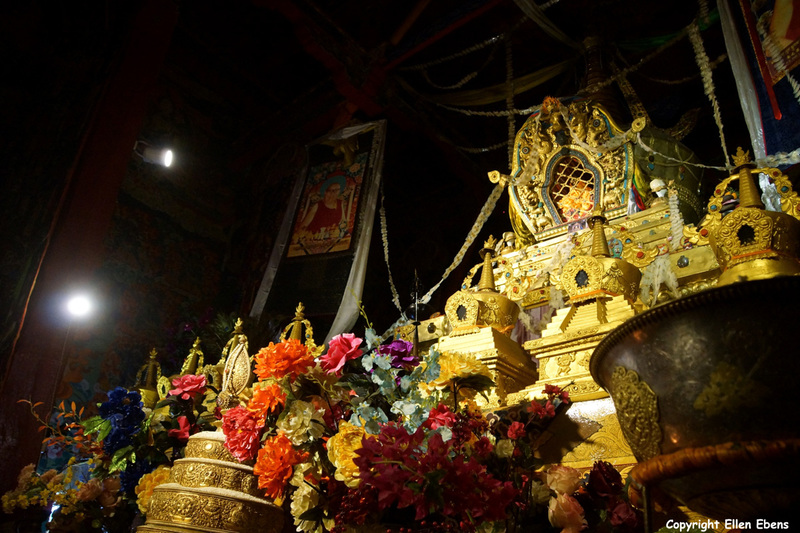 So every visit tot Tsurphu is special to me. 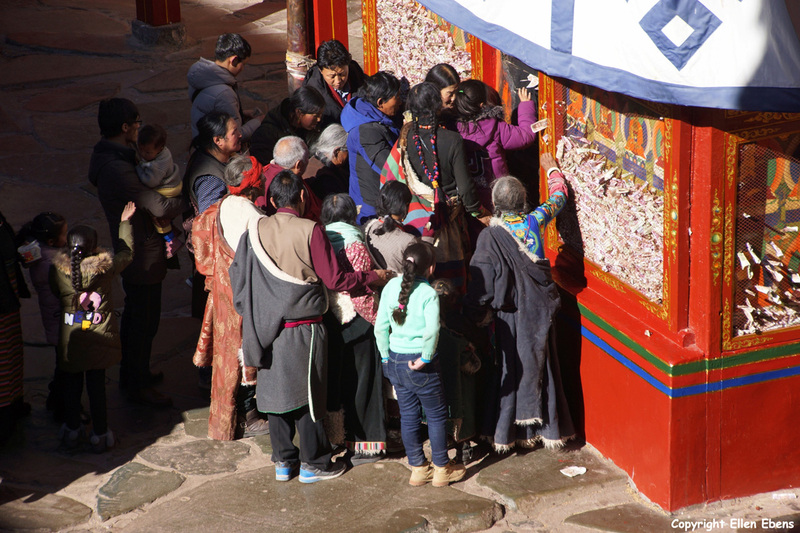 At Tsurphu there were also so many pilgrims. And Tsurpu is a big monastery with a lot of halls and chapels. I went to all of them. 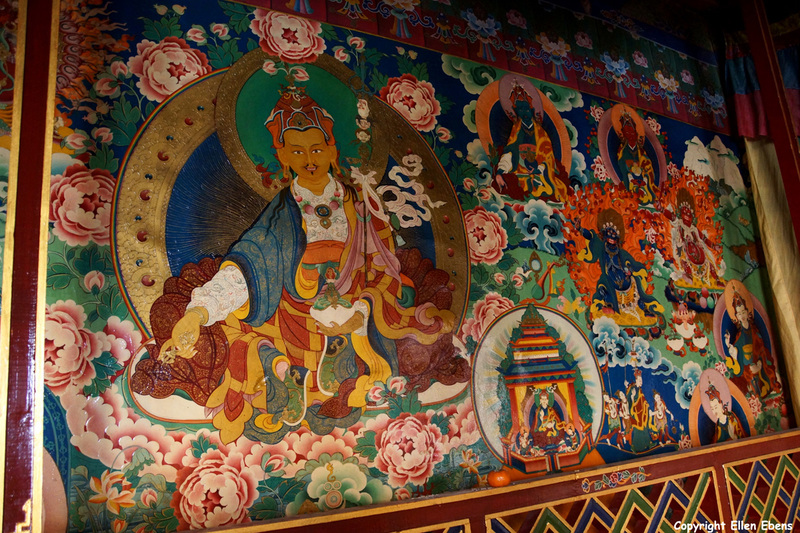 New for me was visiting the summer palace of the 17th Karmapa at Tsurphu. It was a lovely place. 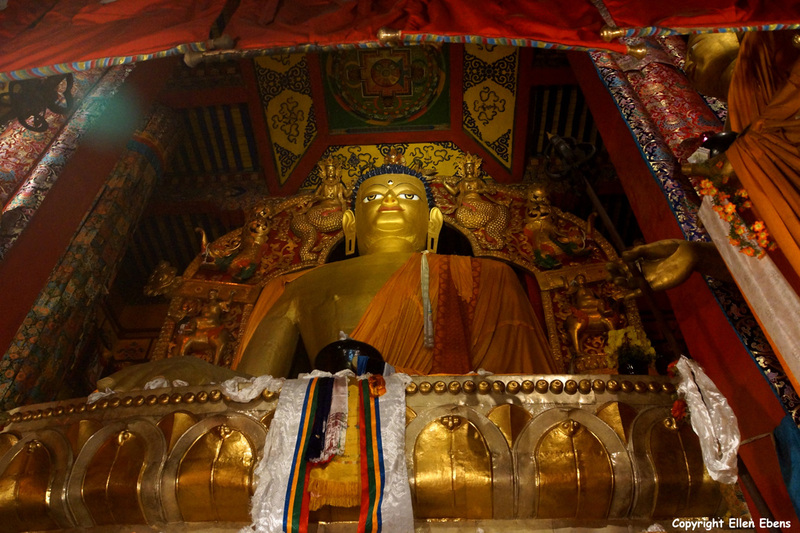 The last four days at Lhasa were used to visit some monasteries and nunneries in and around Lhasa. I went to Garu Nunnery. 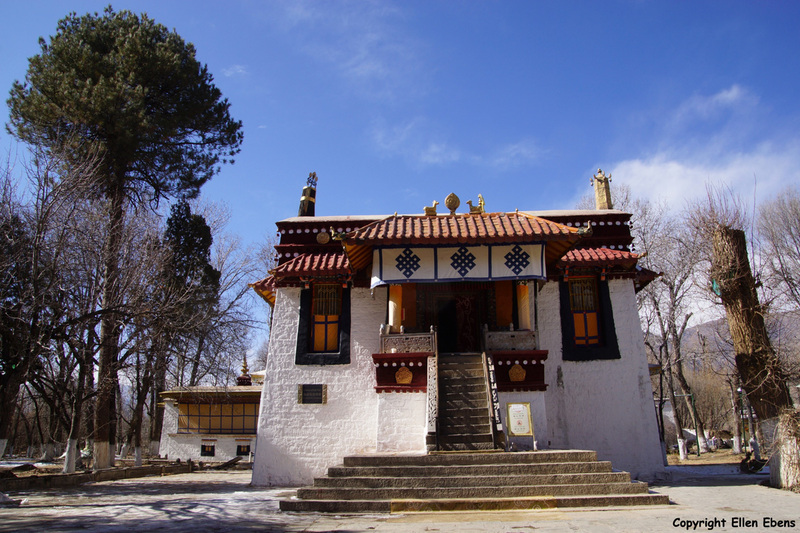 This Nunnery is located high in the mountains behind Lhasa at an altitude of about 4,240 meter. This nunnery was new to me. I hadn’t visited it before. There are living about 95 nuns in the Nunnery. The nuns were gathered at the assembly hall when we arrived and were chanting. We were most welcome and got a katagh from a nun. Also we were offered butter tea at their dining hall. 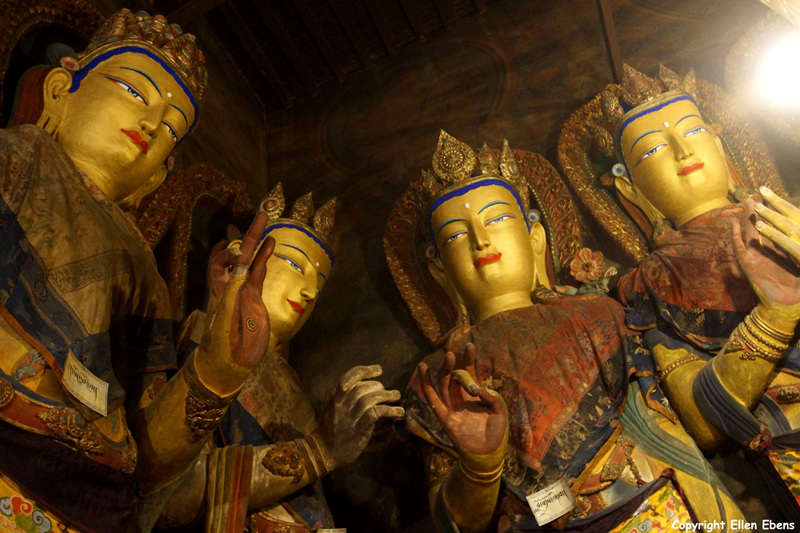 I also visited Sera Monastery. 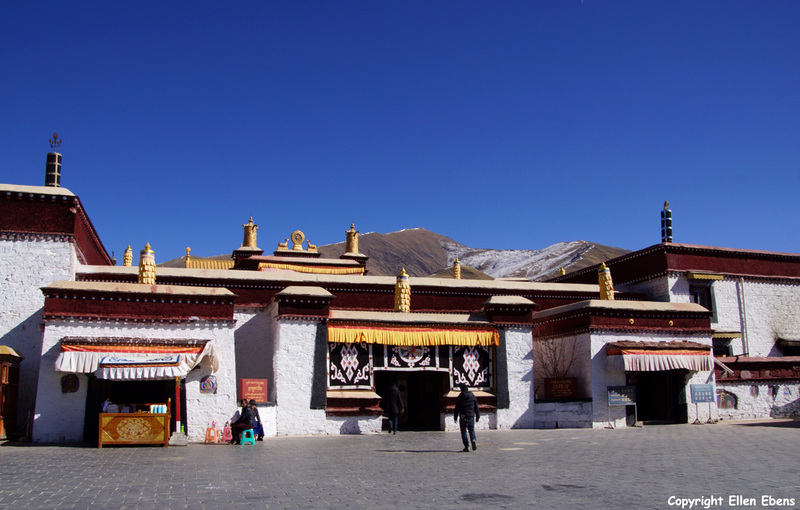 Sera is also a big and important monastery on the outskirts of Lhasa. 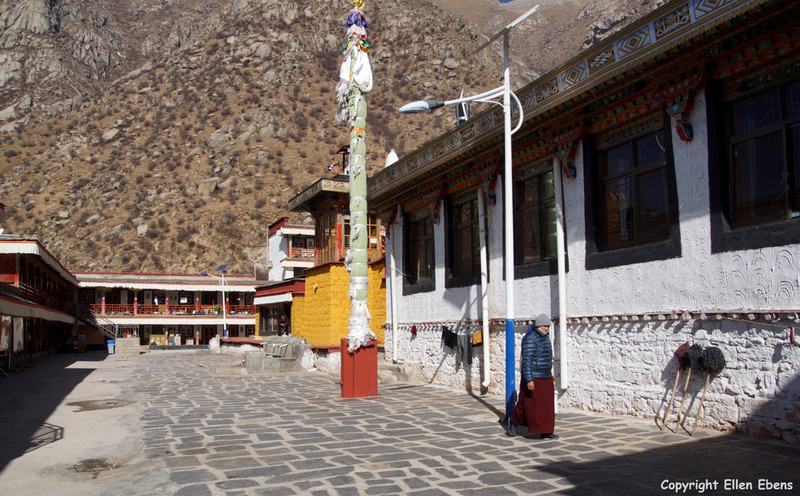 It is well known for it’s debate of the monks at the debating courtyard every afternoon at 15.00 PM. It’s always fun to watch. Already for some years it’s not allowed anymore to make pictures of the debate with a normal camera. But the cameras of smartphones getting better and better every year. 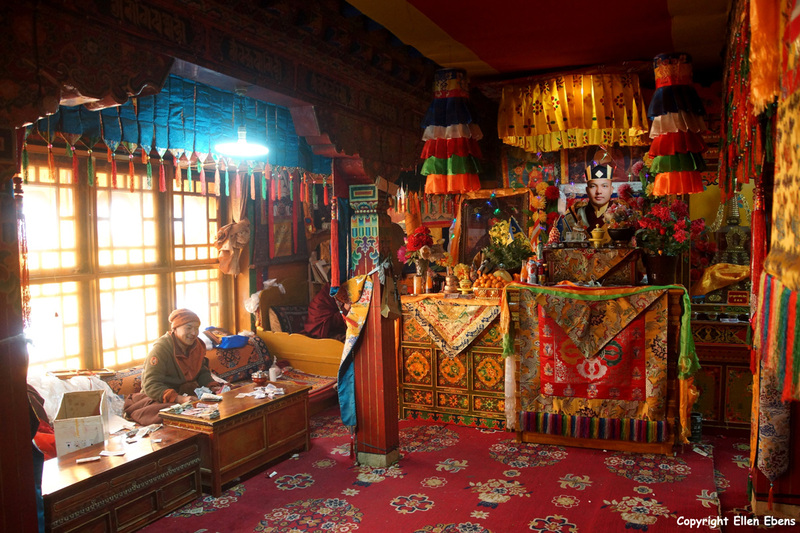 At Sera Monastery I also visited a high lama in his private quarters. 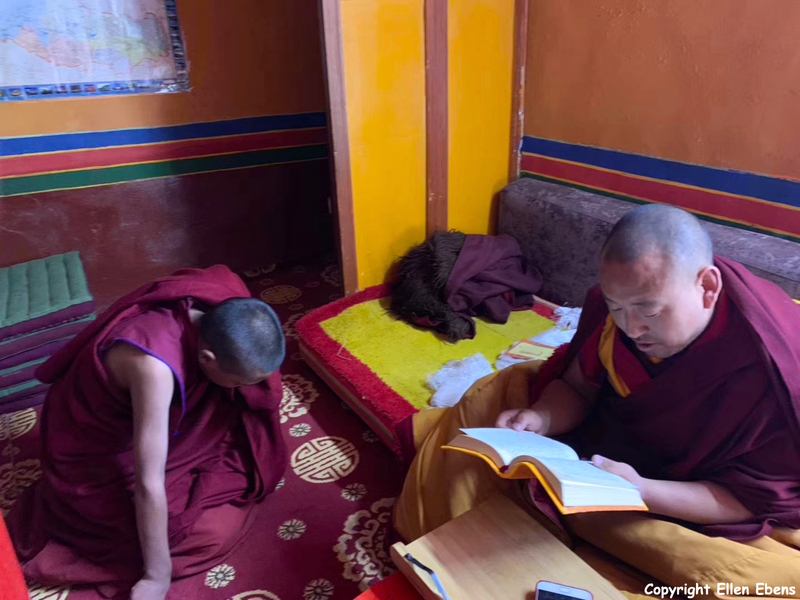 I witnessed this lama succeeding at the highest exams in January 2016 and I also went on audience with him at his monastery at Rebkong (in Amdo) in October 2017. And now I had the privilege to meet him again and pay my respects to him. I’m lucky to be able to do that because he is the uncle of my guide. We sat with him for about half an hour and drank butter tea with him. The photo I show of him on this blog is not of my meeting with him but it’s taken of him in the same room as I visited him. 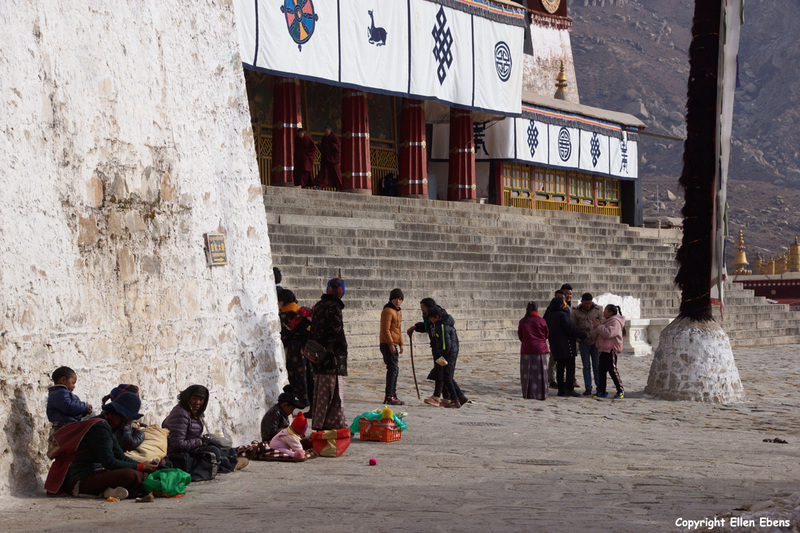 The last three days in Lhasa were easy days. 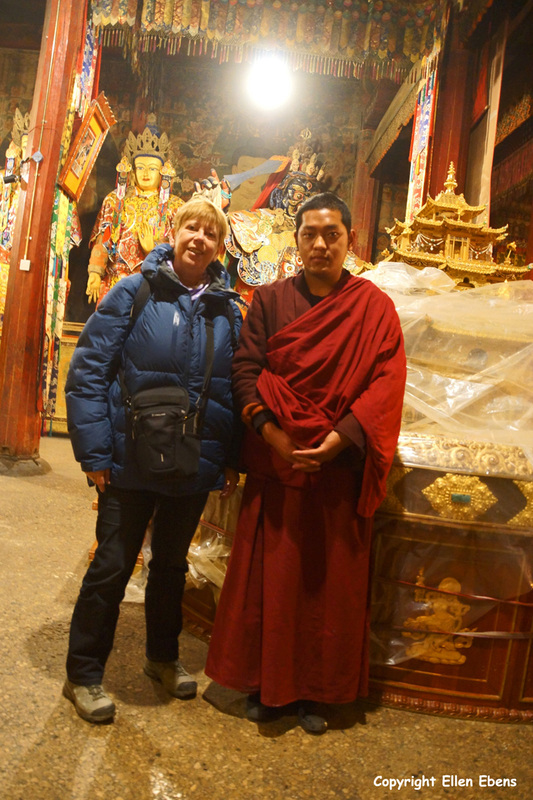 With my guide I visited some smaller monasteries and temples in the old center of Lhasa. So as the Ramoche Temple. 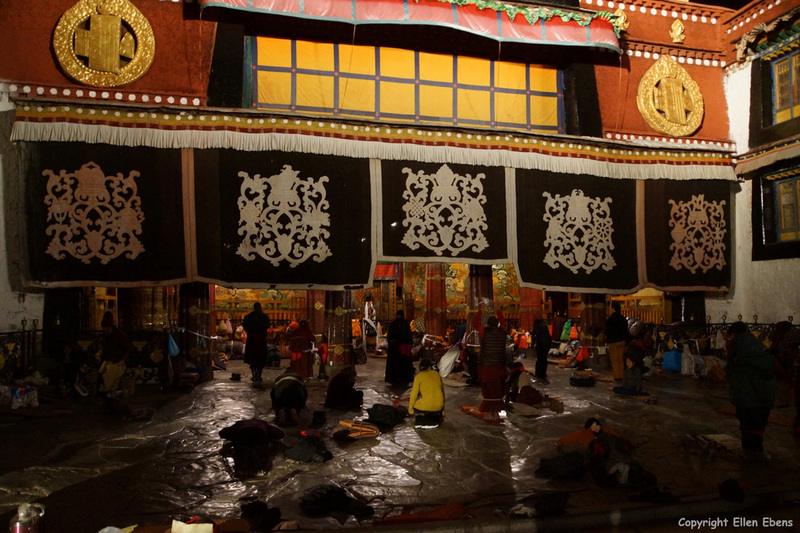 This temple was closed to visitors because they were cleaning it for the coming Tibetan New Year. But my guide and I were allowed to get in and have a look. 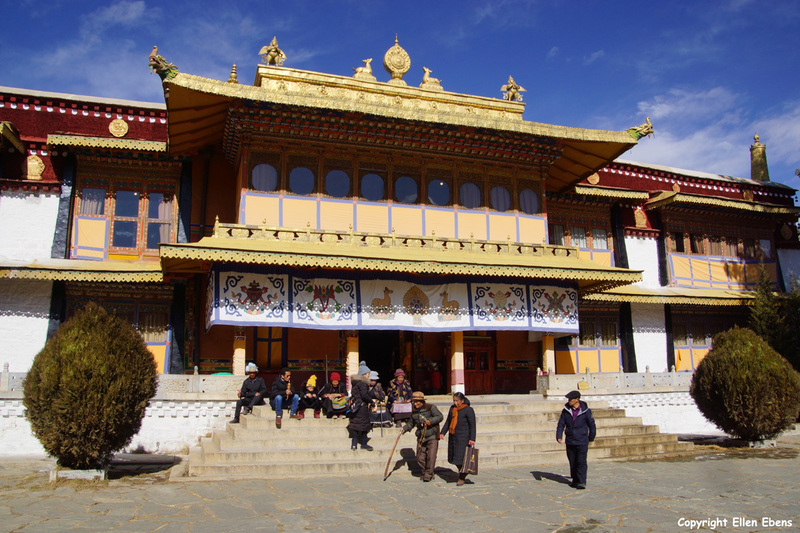 I also visited the Ani Tsankhung Nunnery. 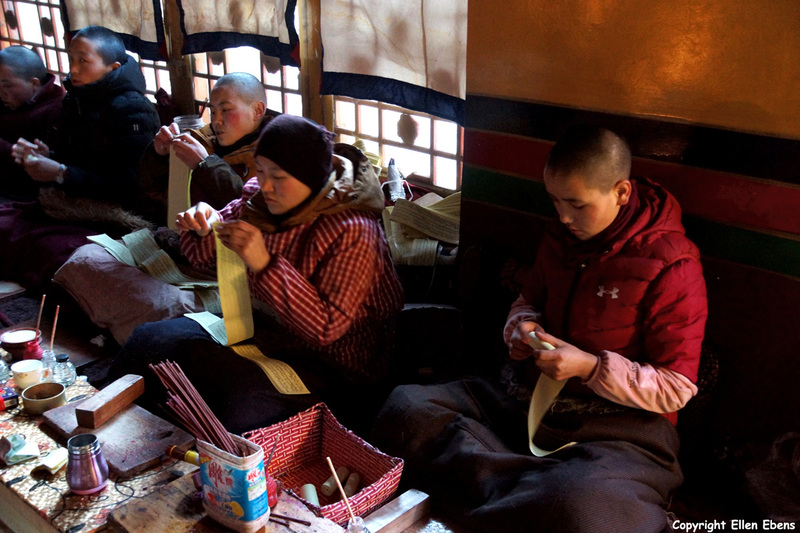 At the nunnery we saw the main assembly hall, the meditation cave of King Songtsen Gampo, and two halls were the nuns were working. 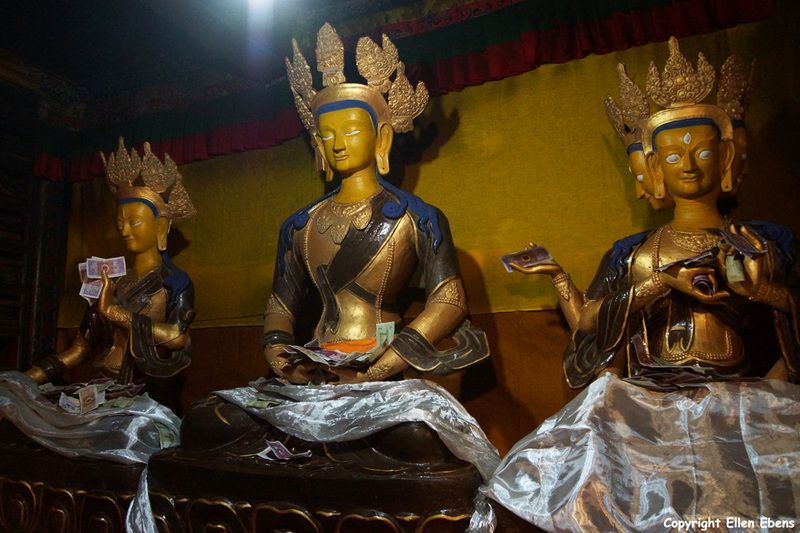 In the first hall they were rolling up holy scriptures so that they can be put inside newly made statues. 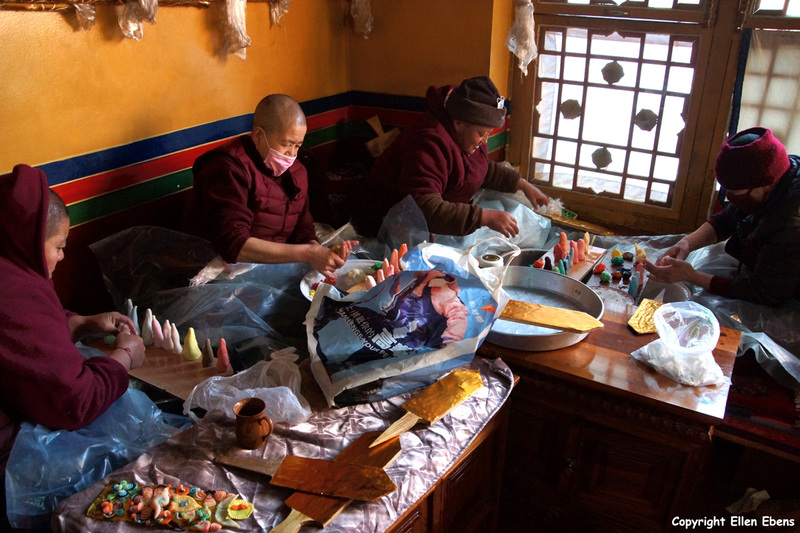 At the other hall the nuns were making colorful decorations from yak butter for the Tibetan New Year. 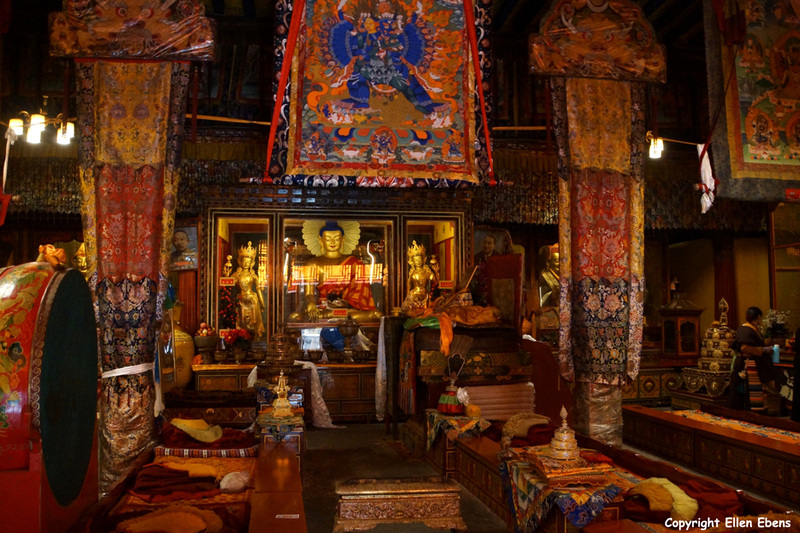 The last temple I visited was the Temple of West Three Protectors (The Western Rigsum Lhakhang). On the top floor of this temple the pilgrims could get a water blessing. Water blessings are seldom done. I have seen it only one time before some three years ago in a remote monastery. But here, today, it was done. Of course I also went to get a water blessing. Like I did three years ago. So fortunate!!! 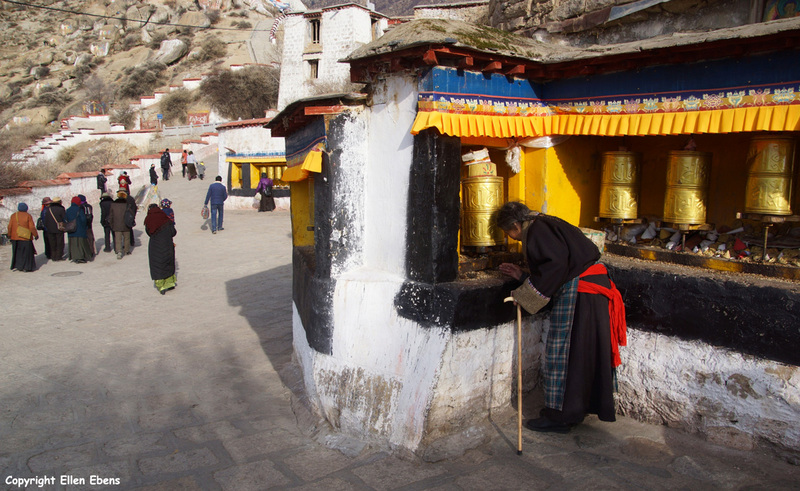 Of course these last days I also walked each day some koras around the Jokhang Temple. It seemed every day there are more and more pilgrims. 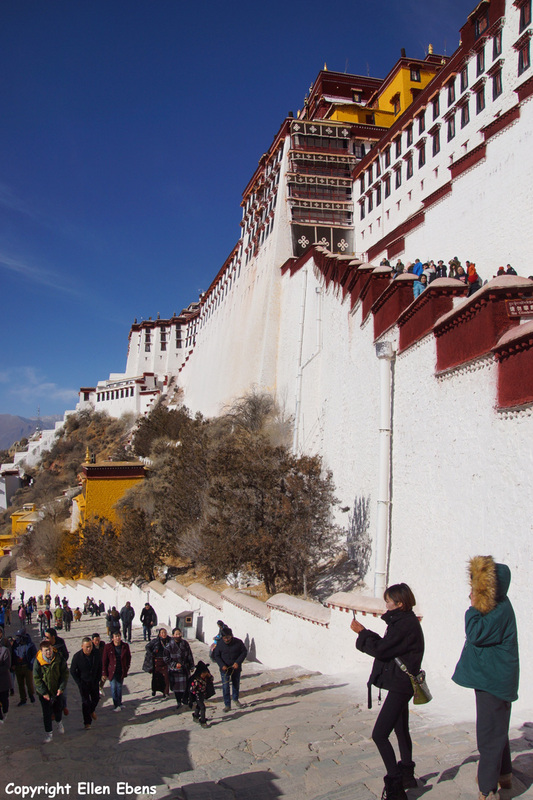 I also walked a kora around the Potala Palace and saw the daily dancing of ordinary Tibetans in the park behind the Potala. 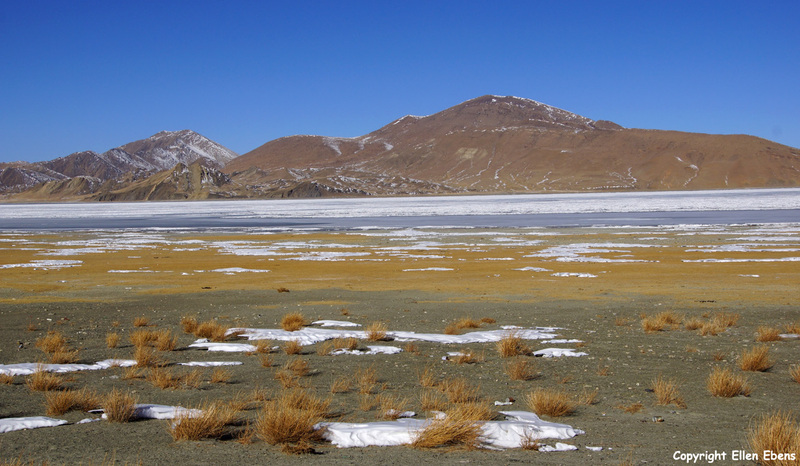 On my last day at Lhasa, I walked the Lingkhor. 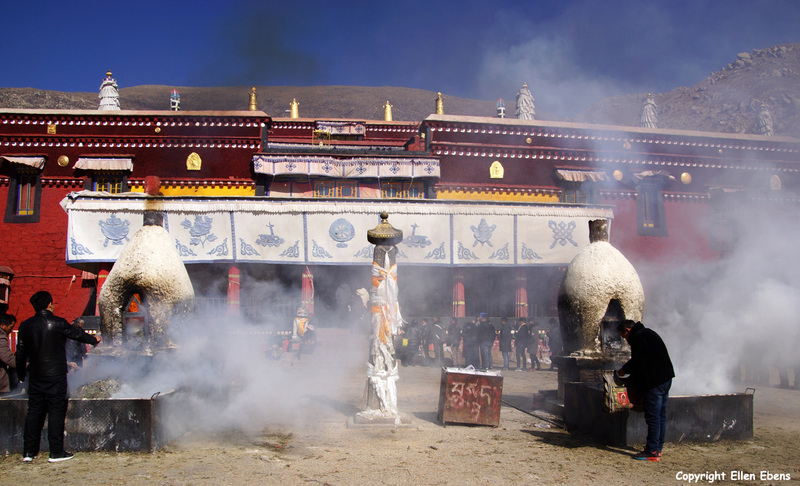 The Lingkhor is a sacred path and the outer pilgrim circumambulation path in Lhasa, while the inner circumambulation path is the Barkhor. It was a 12km walk. 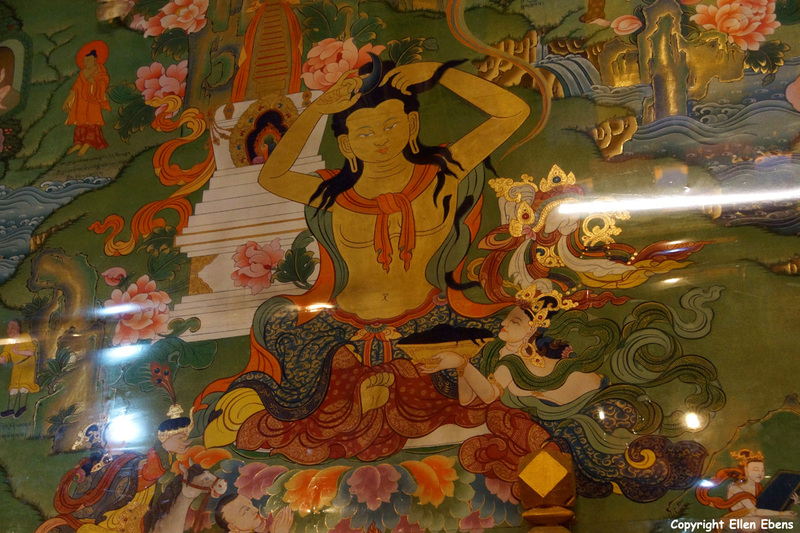 One of the places you see while walking is Chakpori Hill with paintings of all the Buddha’s. I also had a farewell diner and party with the Tibetan guys who made that again I had a wonderful and special time in Tibet. Thank you guys! 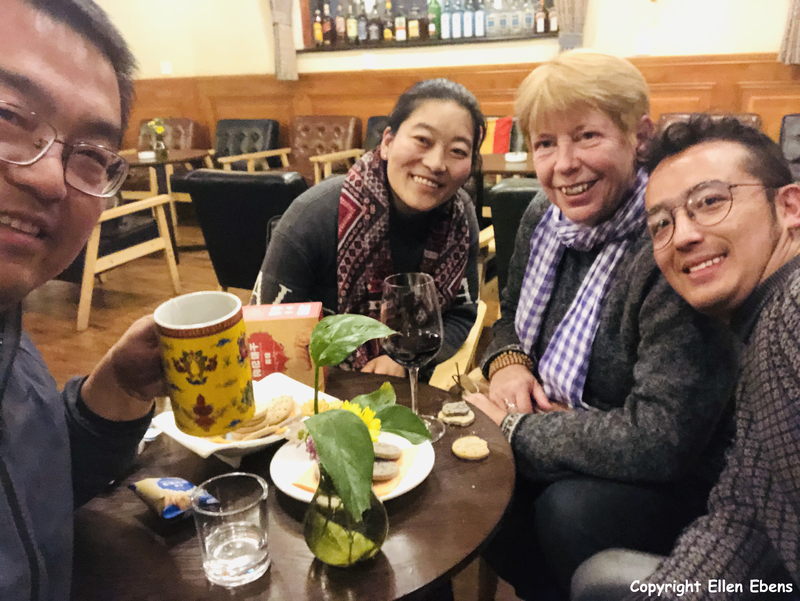 After a flight to Chengdu and a night there – in the evening I visited Jinli street – I flew home to Holland again. 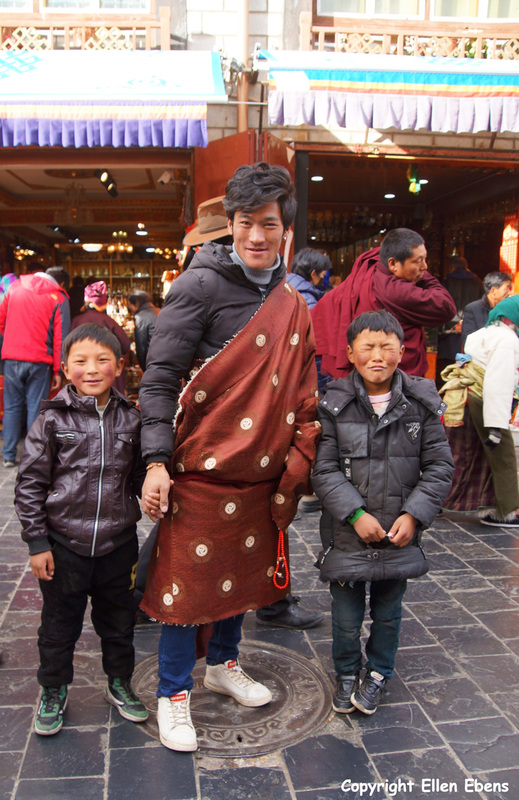 A little sad of leaving Tibet again but with a lot of good and special memories. Till next time Tibet! Day 1 Flying from Amsterdam to Chengdu. Day 2 Arriving in Chengdu and staying the night at a hostel in the Wuhou District. Picking up the Tibet permit at my hostel and buying a Chinese Simcard. Day 3 Flying very early from Chengdu to Lhasa. At Lhasa having lunch at a nice teahouse an exchanging money. 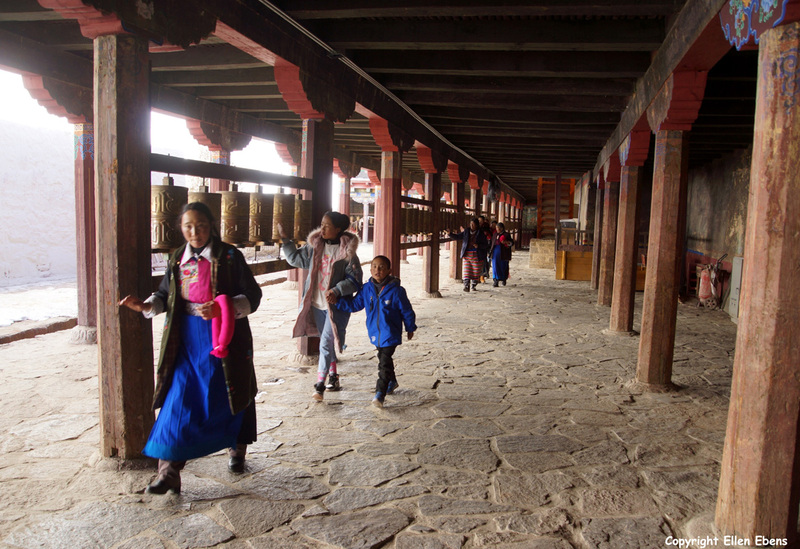 Walking my first kora around the Jokhang Temple. In the evening having a welcome dinner. 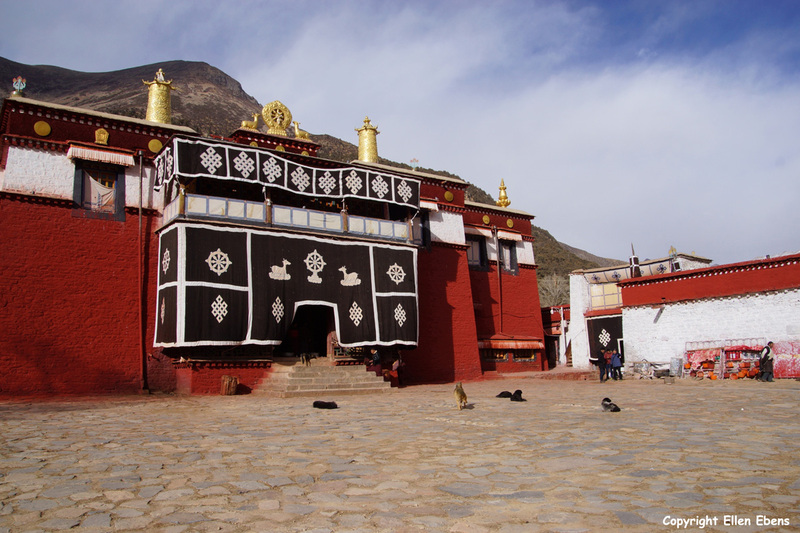 Day 4 In the morning visiting Drepung Monastery and Netchung Monastery on the outskirts of Lhasa. 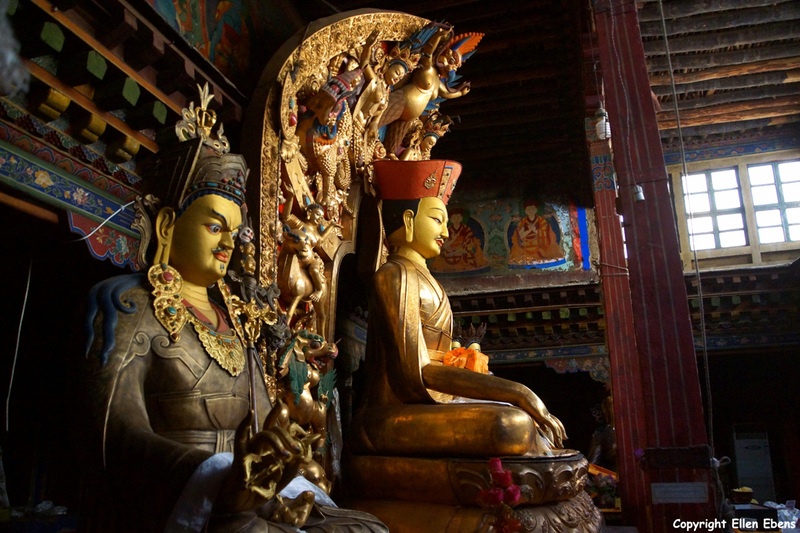 In the afternoon a visit to Norbulingka, the summer palace of the Dalai Lamas. Also visiting a kind of private museum with a lot of thankas, statues, stones and so on (kind of modern art). 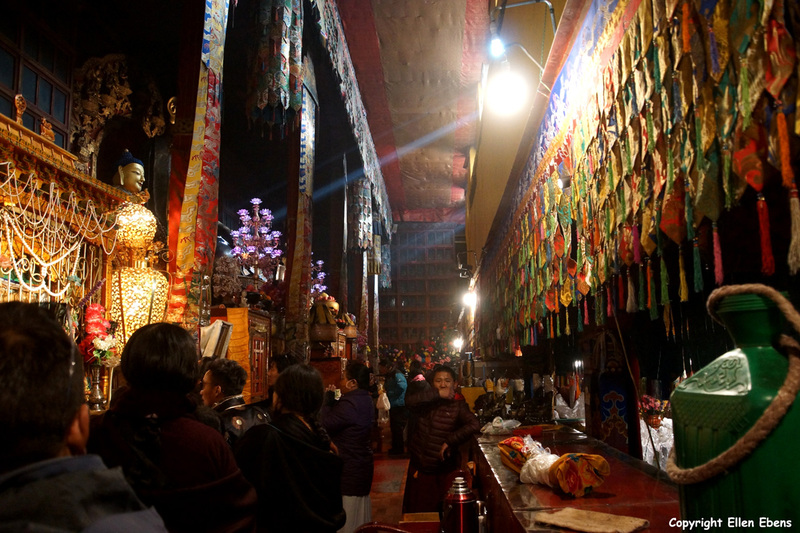 After dinner walking some koras around the Jokhang Temple by evening. 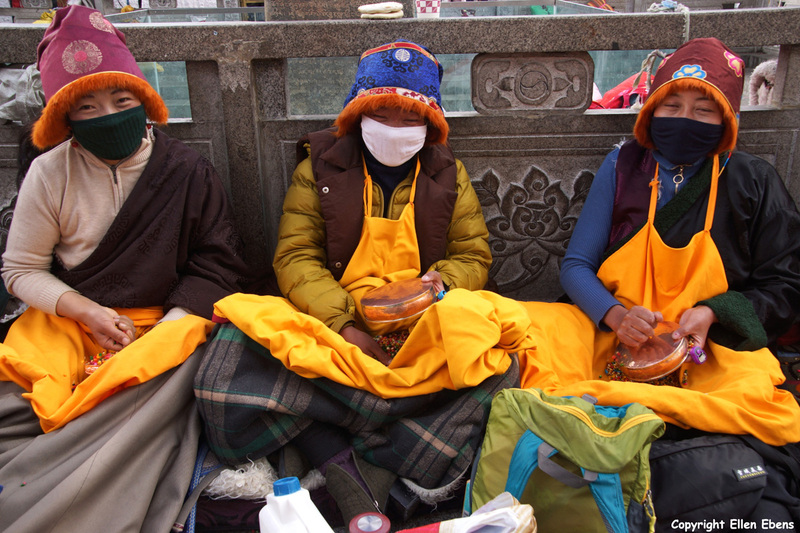 Day 5 Visiting the Jokhang Temple and done some shopping (buying myself a nice and warm down jacket). 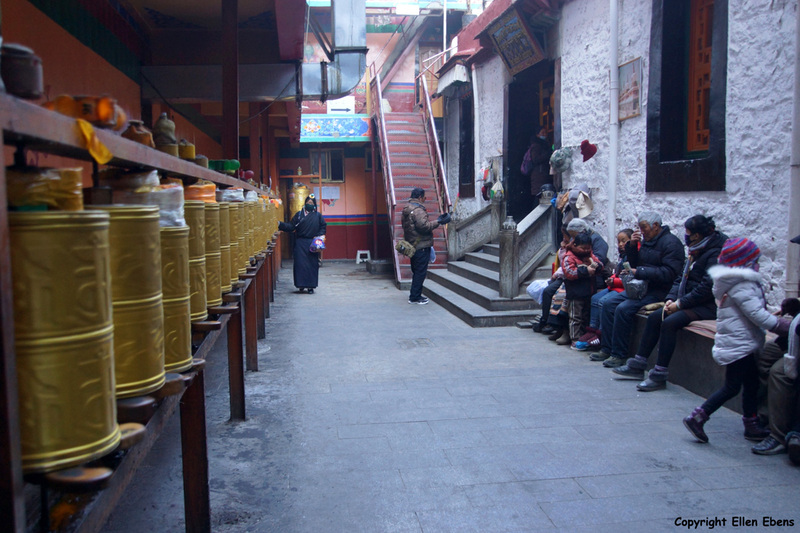 Walking around in Lhasa. Day 6 Visiting the Potala Palace during the morning. 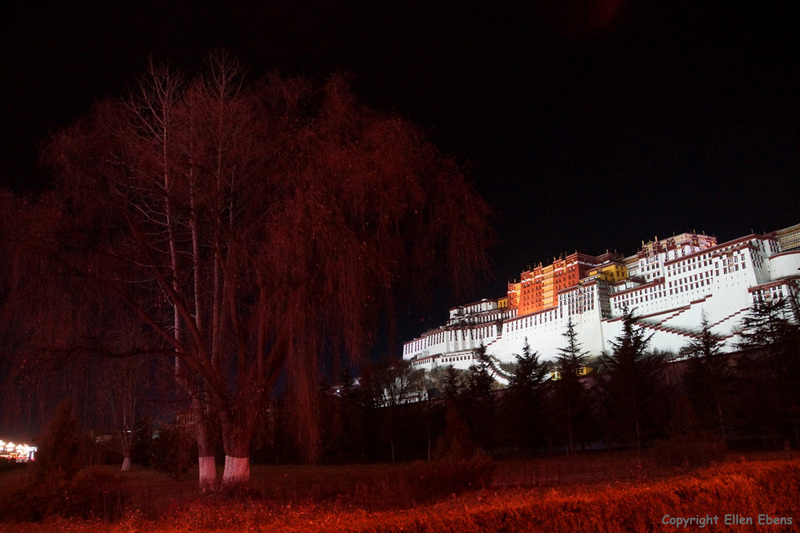 Returning there again in the evening to make some night photos of the Potala Palace. 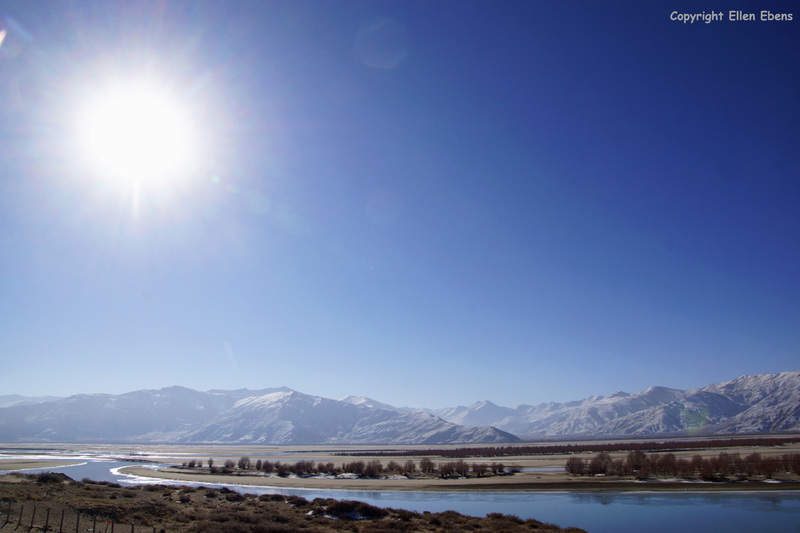 Day 7 Driving from Lhasa along the Yarlung Tsangpo river to the city of Tsedang. 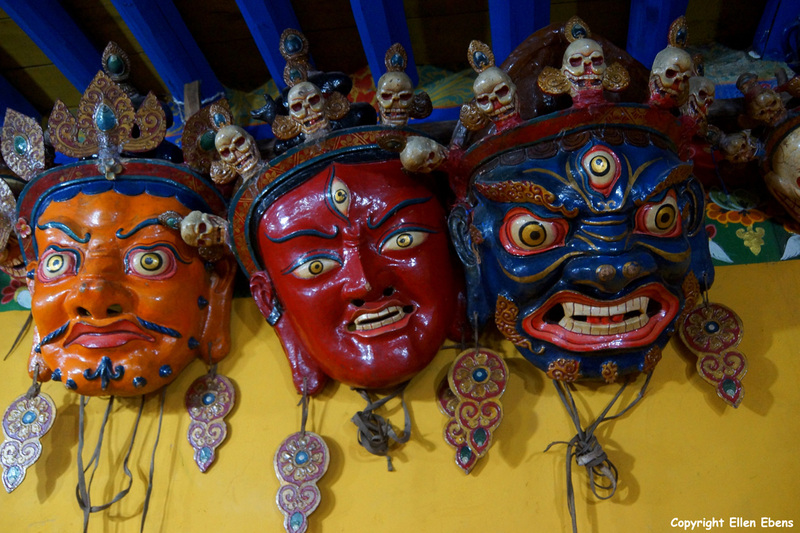 At Tsedang visiting the well known Tandruk Temple and two smaller monasteries. 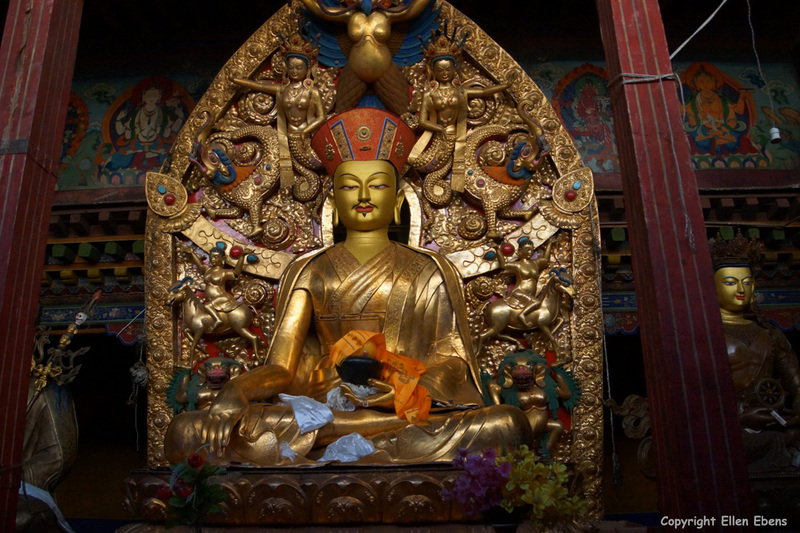 Day 8 Driving from Tsedang to Samye and visiting Samye Monastery. 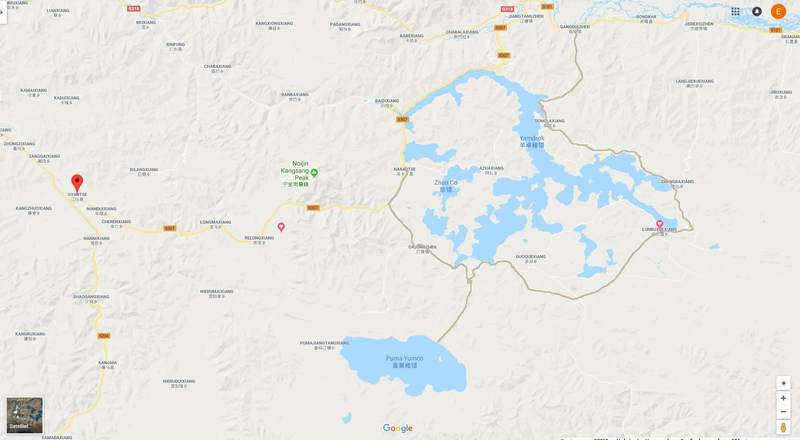 Day 9 Driving from Samye to Yamdrok Tso lake and visiting Mindrolling Monastery and Gongkar Chöde Monastery on the way. 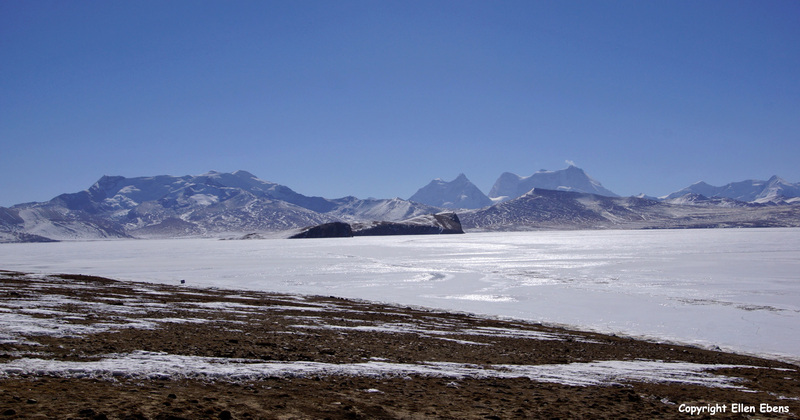 Start (first day) of the kora Yamdrok Tso Lake. Staying the night at a very basic guesthouse in the village of Lhunboxoi (Lunbuxuexiang op Google maps). 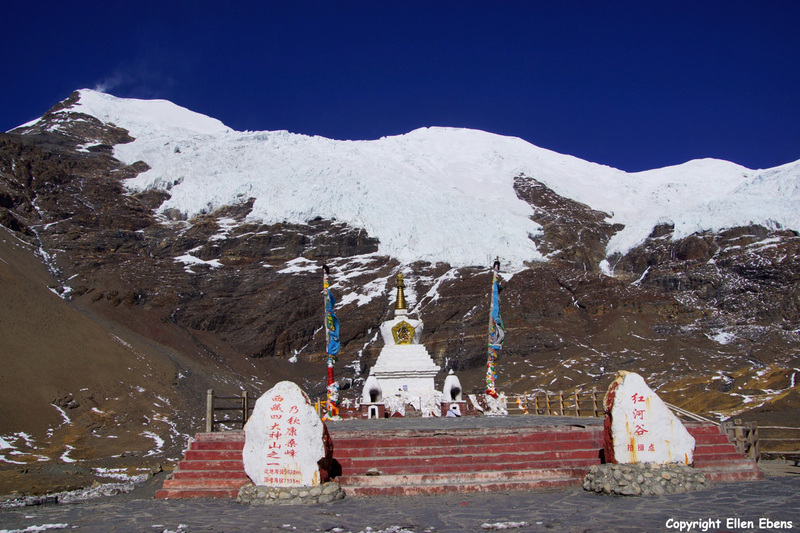 Karo La pass, with the glacier Nonjin Katsang, the Simu La pass and Ralung Monastery on the way. 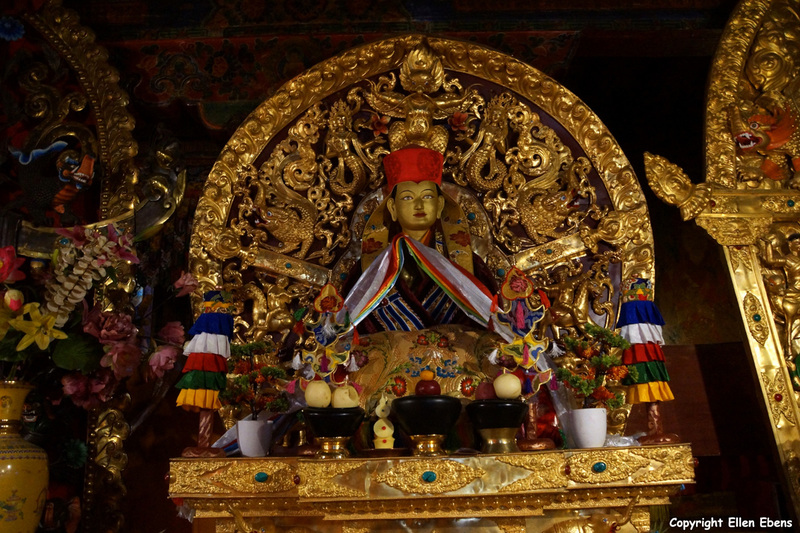 Day 11 Visiting the Pelkor Chöde Monastery with the Kumbum Stupa at Gyantse in the morning. 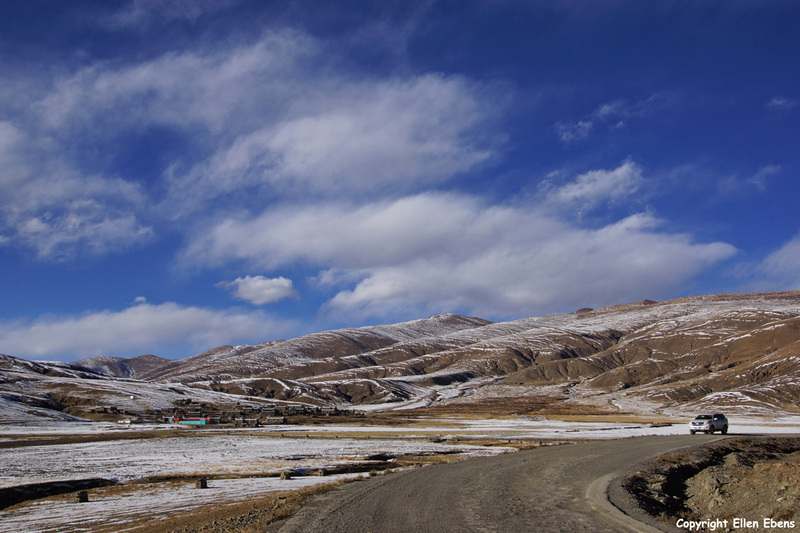 Driving to the city Shigatse. 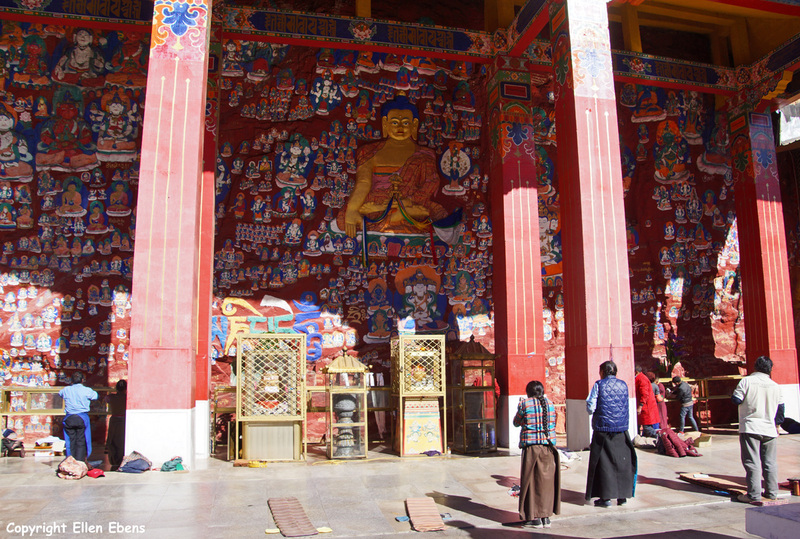 After lunch visiting the big Tashilhunpo Monastery at Shigatse. 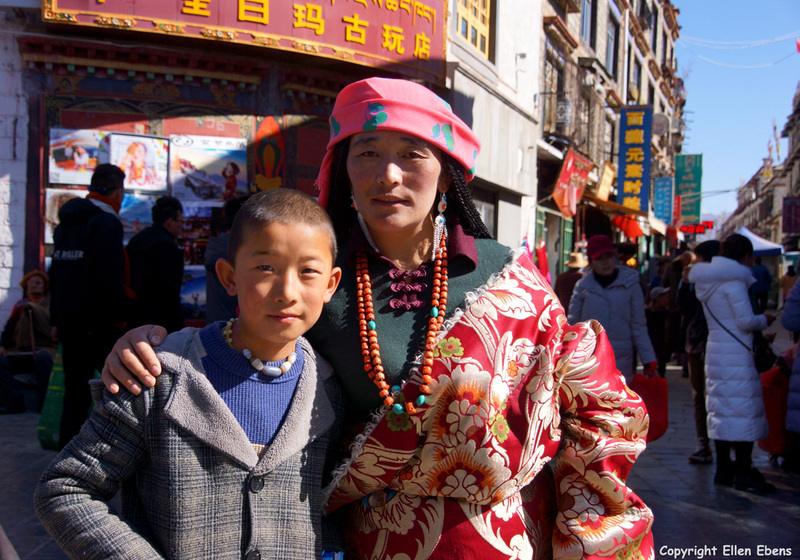 Day 12 Driving from Shigatse to Lhasa and visiting the family home of my guide on the way. 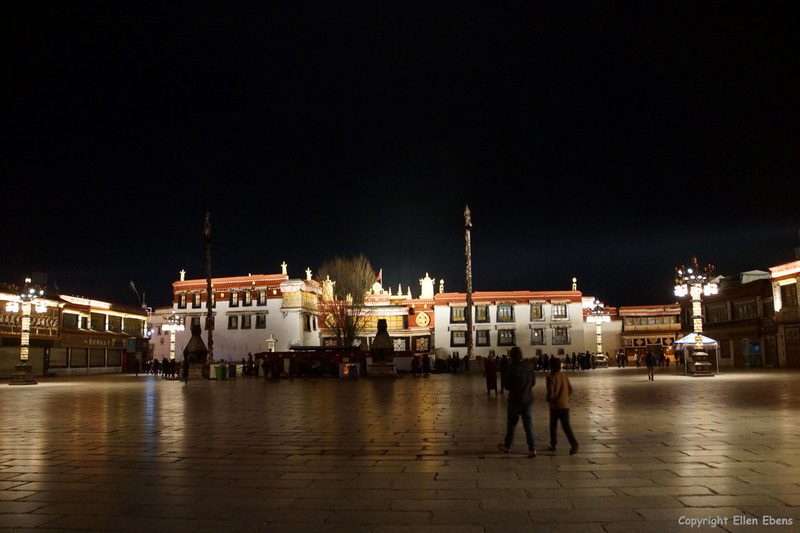 Staying one night in Lhasa and walking some koras around the Jokhang Temple. In the evening doing a film shoot for promoting Tsampa biscuits. 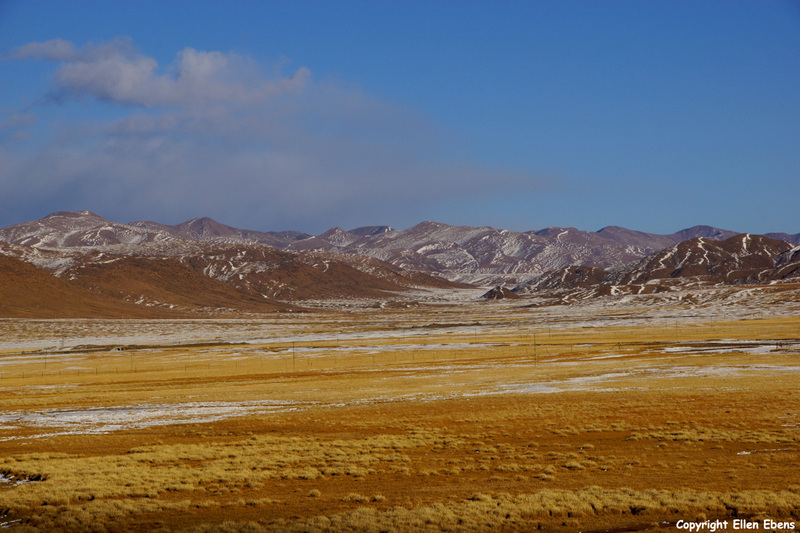 Day 13 Driving from Lhasa to Reting Monastery. 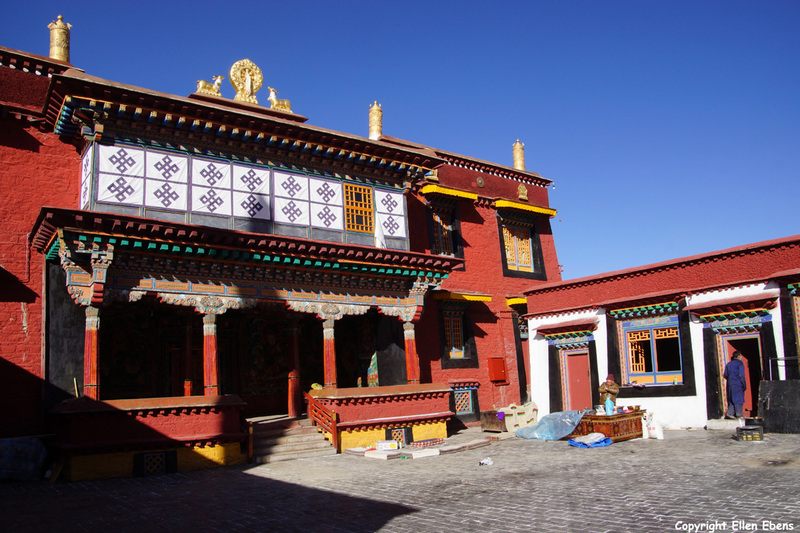 Visiting Reting Monastery and staying at Reting at a basic guesthouse. 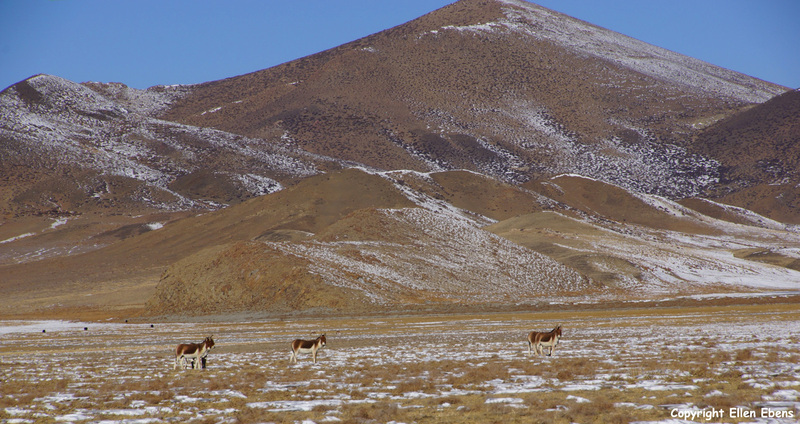 Day 14 Driving from Reting back to Lhasa and visiting Taklung Monastery on the way. Day 15 Daytrip to Tsurphu Monastery. 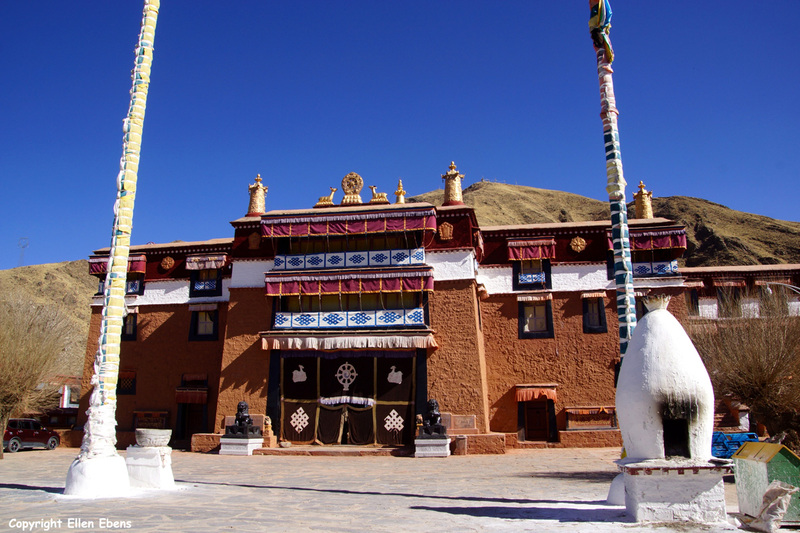 Visiting the monastery there and the summer palace of the 17th Karmapa. 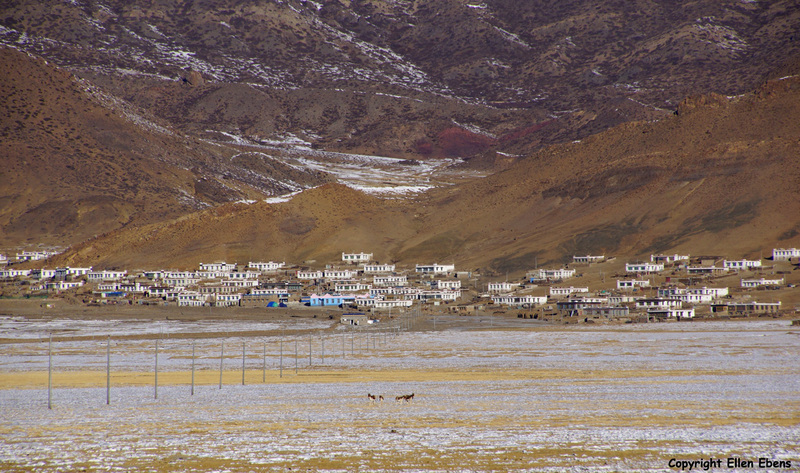 Day 16 Staying at Lhasa. 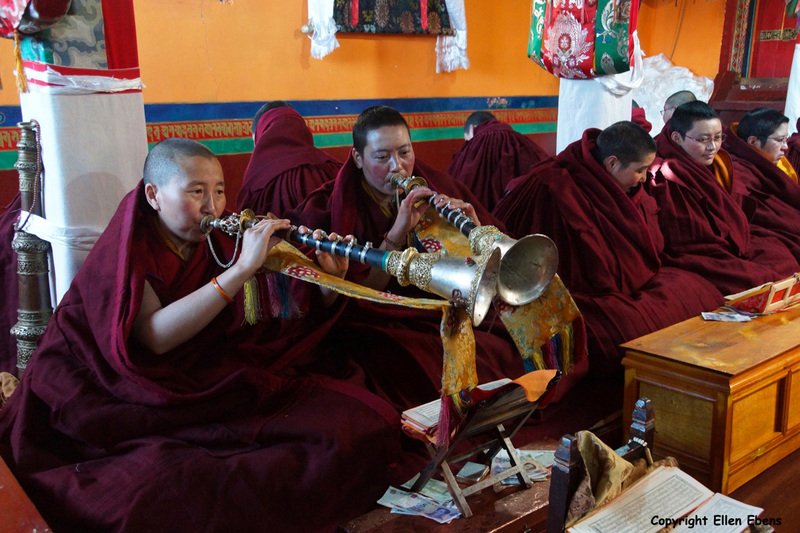 Walking some koras around the Jokhang Temple in the morning and in the afternoon visiting Garu Nunnery and Sera Monastery. Day 17 Staying at Lhasa. 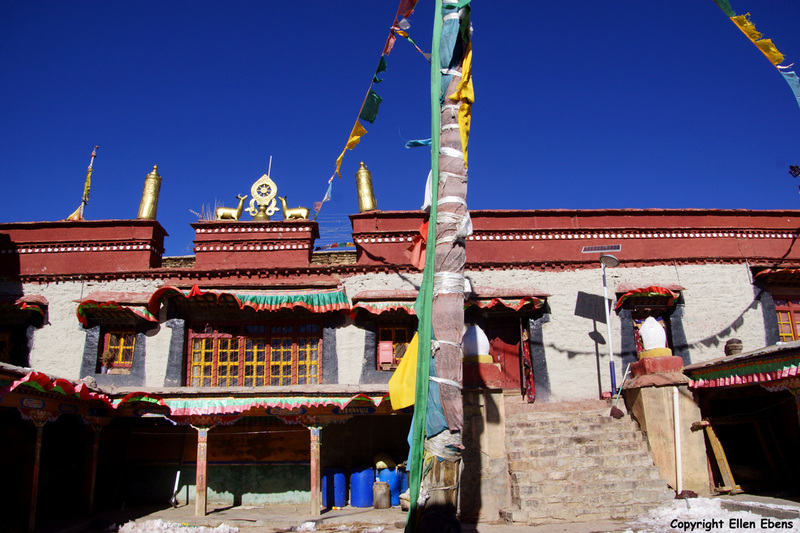 Visiting the Ramoche Temple and some smaller monasteries and temples in the old center of Lhasa. 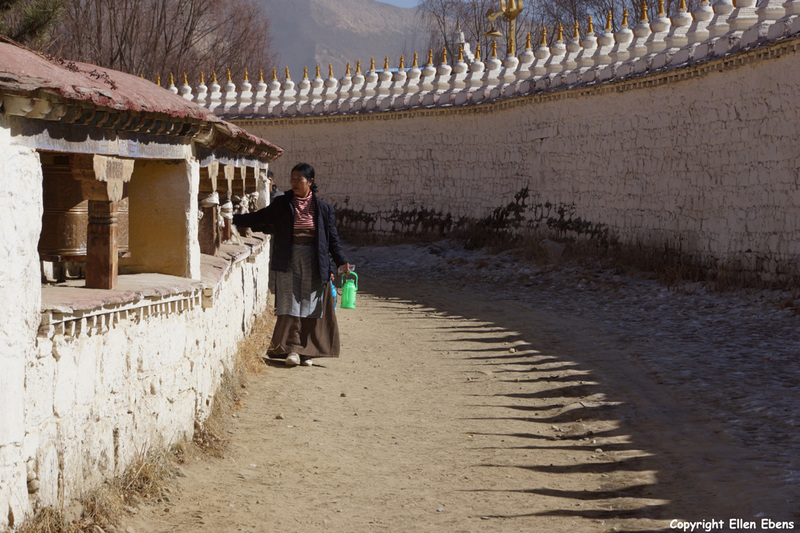 In the afternoon walking a kora around the Potala Palace. 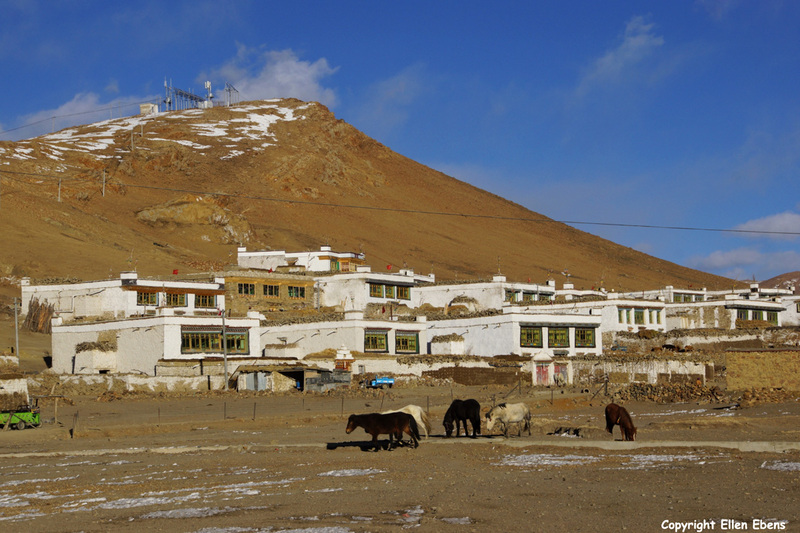 Day 18 Staying at Lhasa. 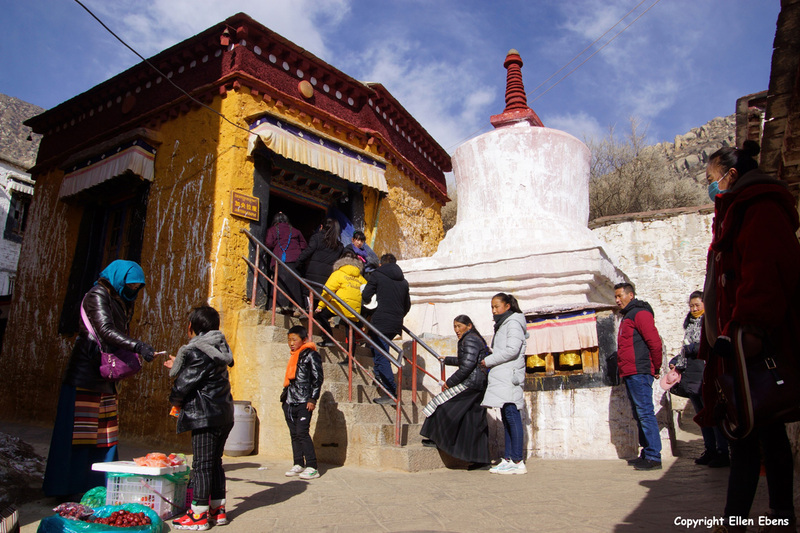 Visiting smaller monasteries and temples in the old centre of Lhasa, starting with the Ani Tsankhung Nunnery and ending with the the Temple of West Three Protectors (The Western Rigsum Lhakhang). Having my goodbye dinner. 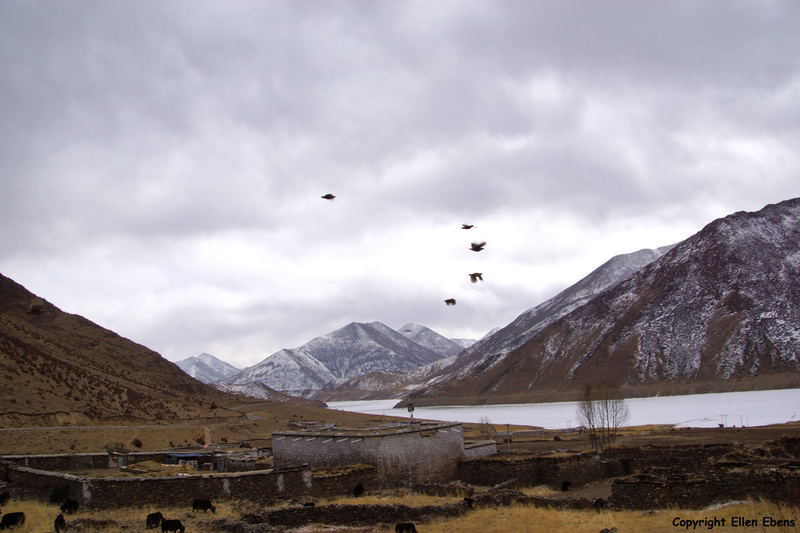 Day 19 Staying at Lhasa. 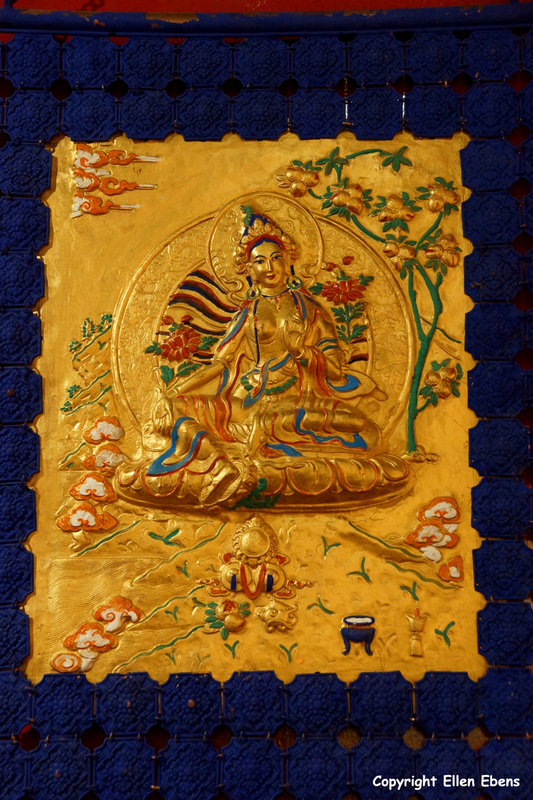 Walking the Lingkhor and visiting Chakpori Hill with paintings of all the Buddha’s on the way. Day 20 Flying from Lhasa to Chengdu. Staying in my hostel in the Wuhou District. Visiting Jinli Street. Day 21 Flying from Chengdu to Amsterdam. Thank you for your comment Jessica. 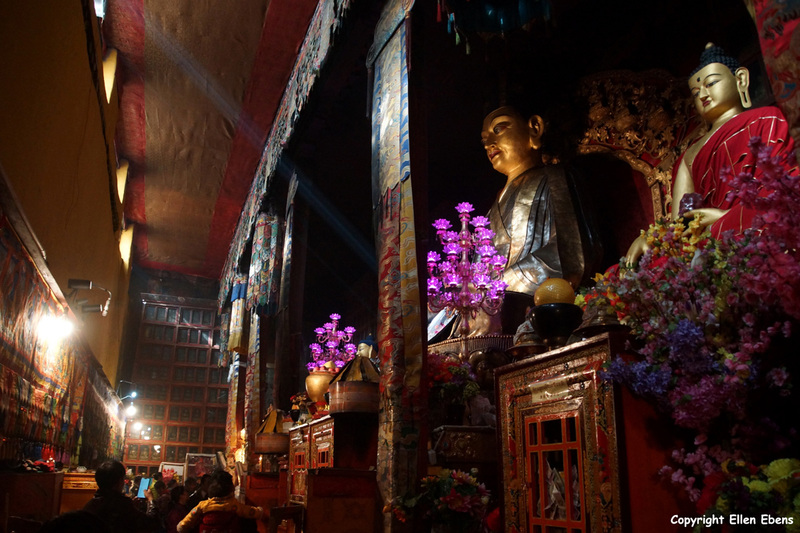 Tibet is a very special destination. If possible you should try to visit there one day!